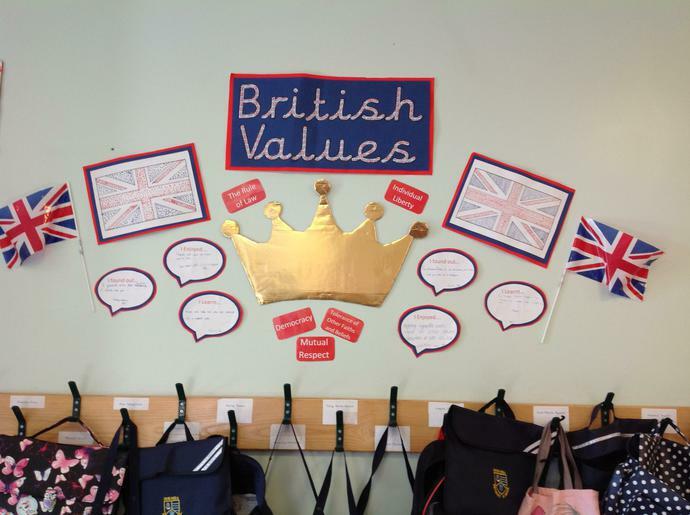 British Values - Where are they to be found in HCPS? 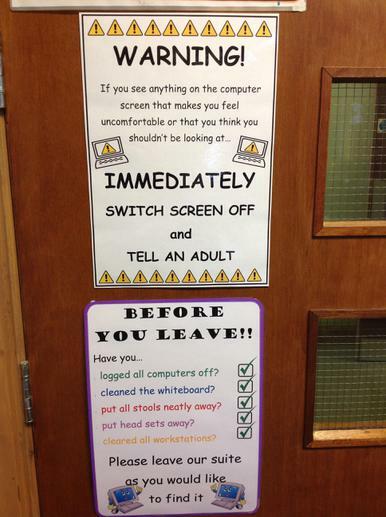 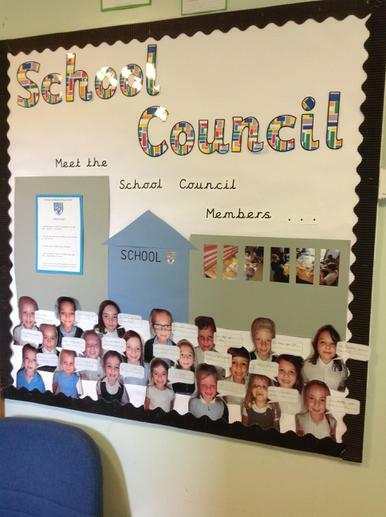 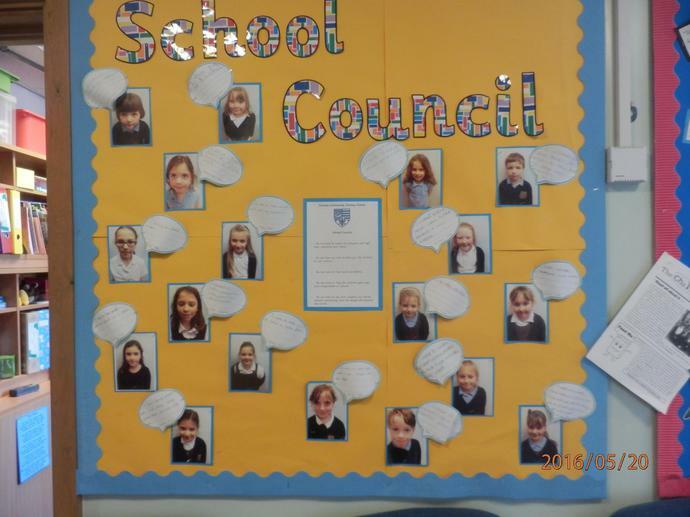 Year 3 have started a new term by choosing a School Council member for their class, and learning about the democratic way to do this... 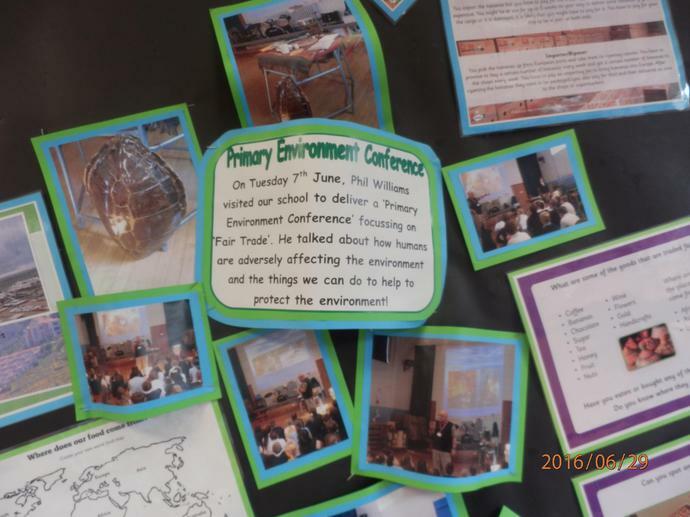 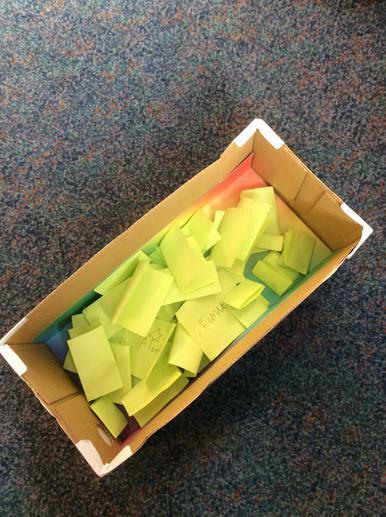 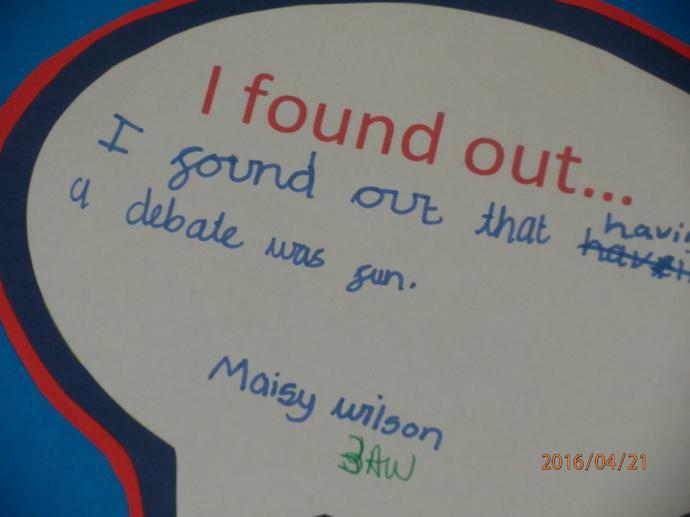 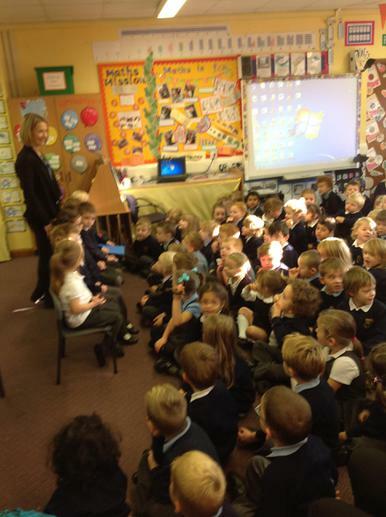 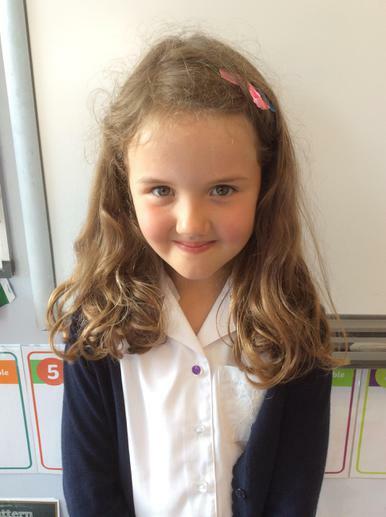 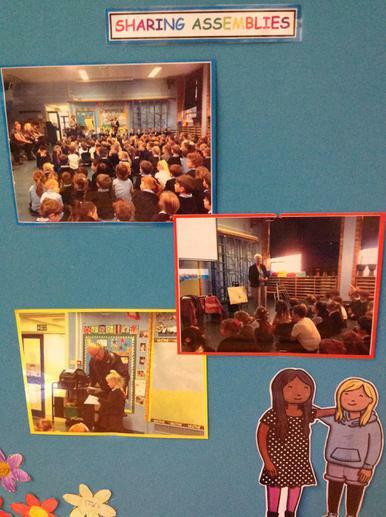 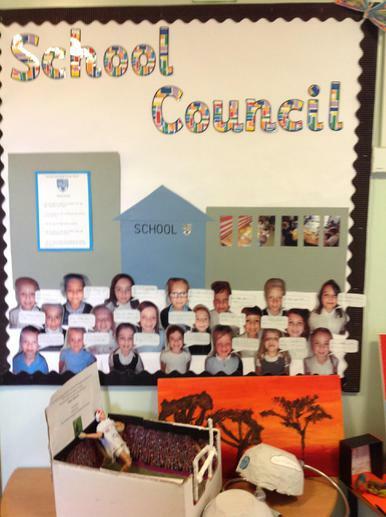 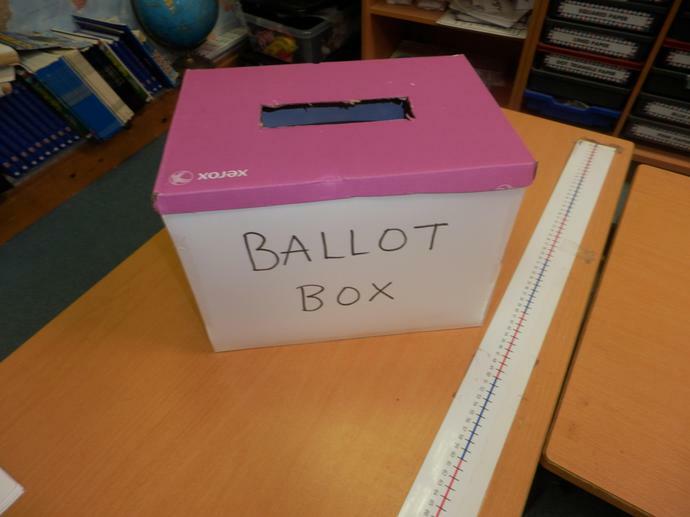 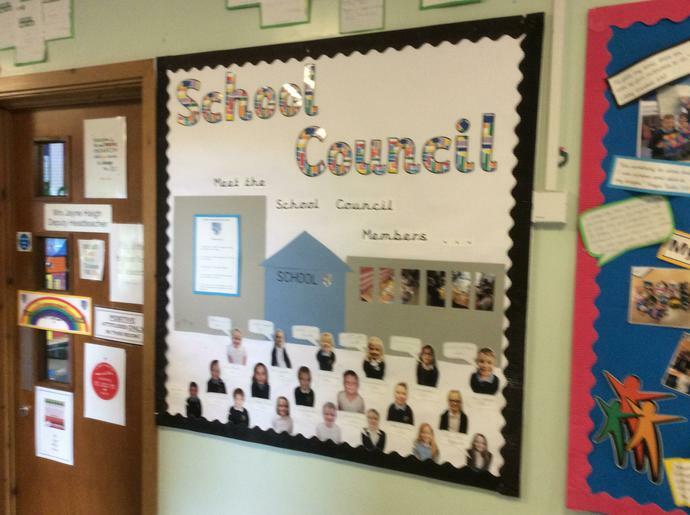 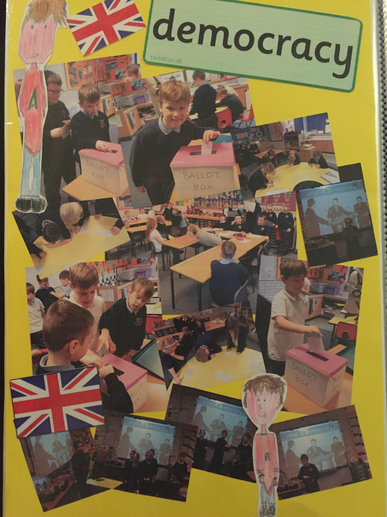 The children placed a vote for the person they felt would be able to represent their views in the Council. 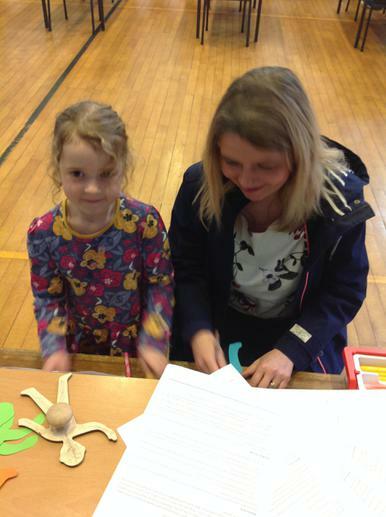 We had fun during our family learning day! 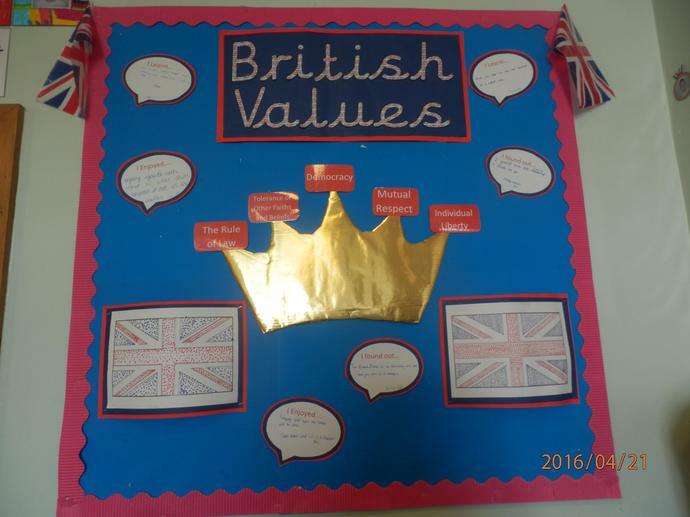 On Friday 23rd February we held a special "British Values Day " where we had another look at the list of British Values; Democracy, the rule of law, individual liberty, mutual respect and tolerance of those of different faiths and beliefs. 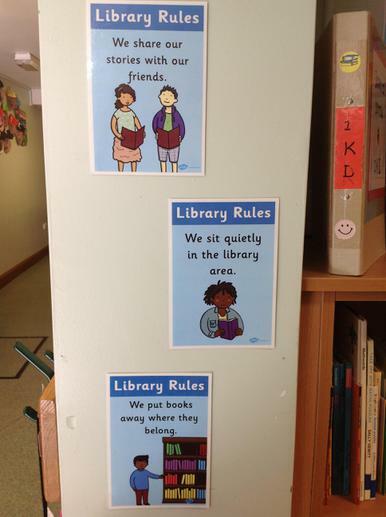 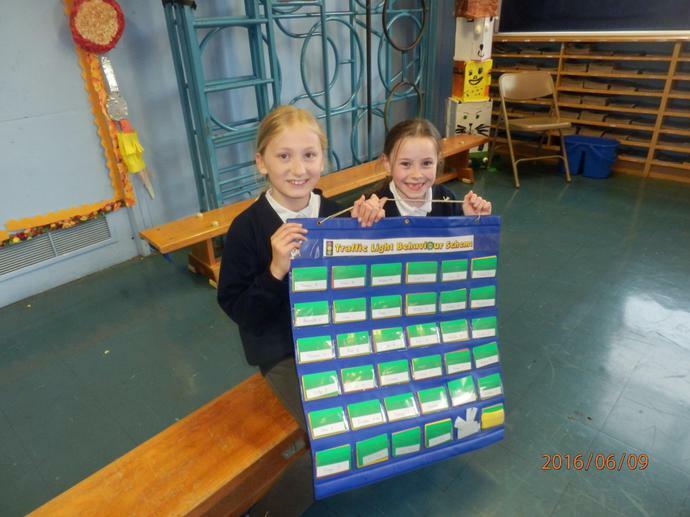 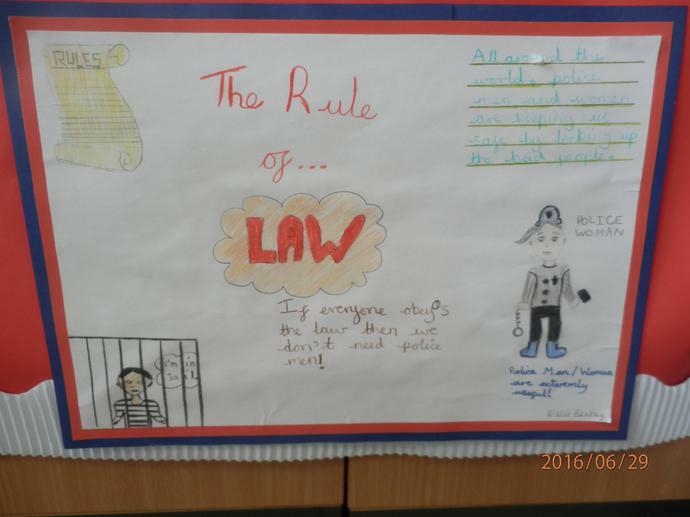 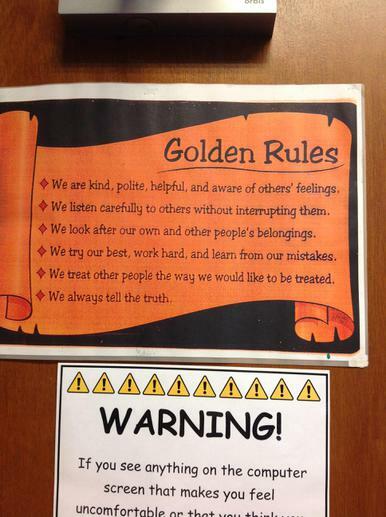 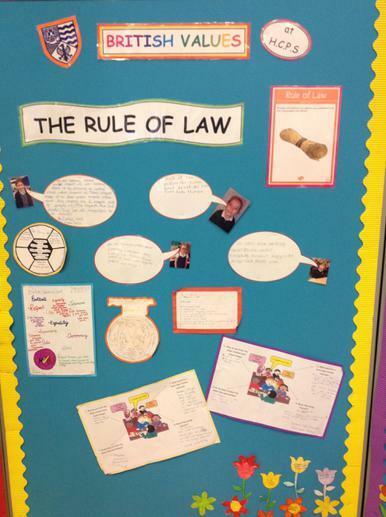 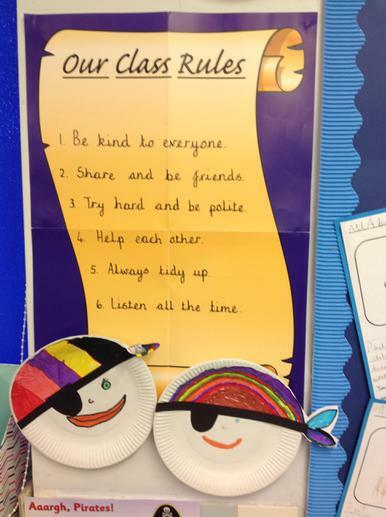 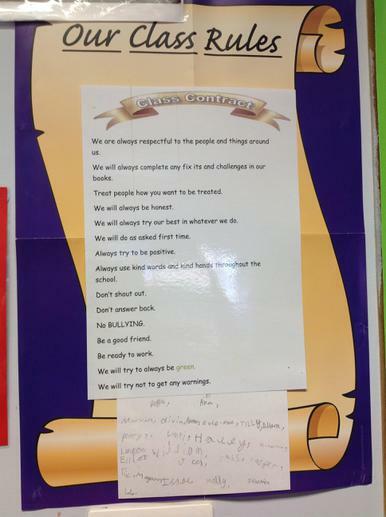 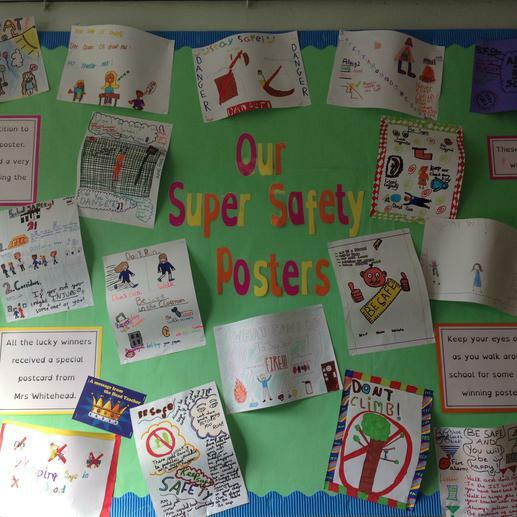 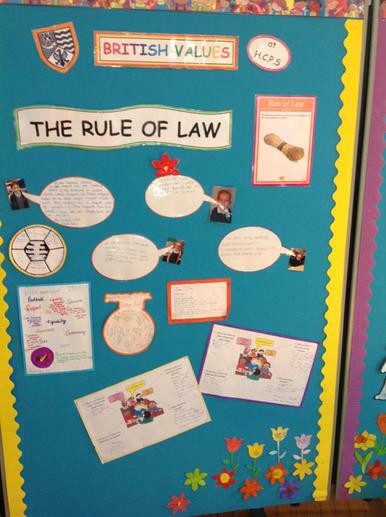 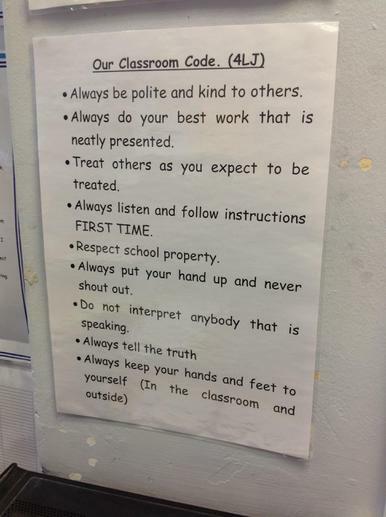 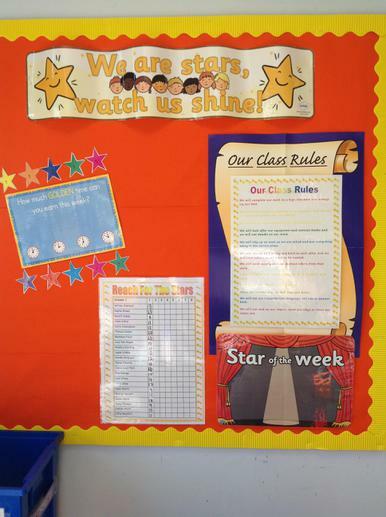 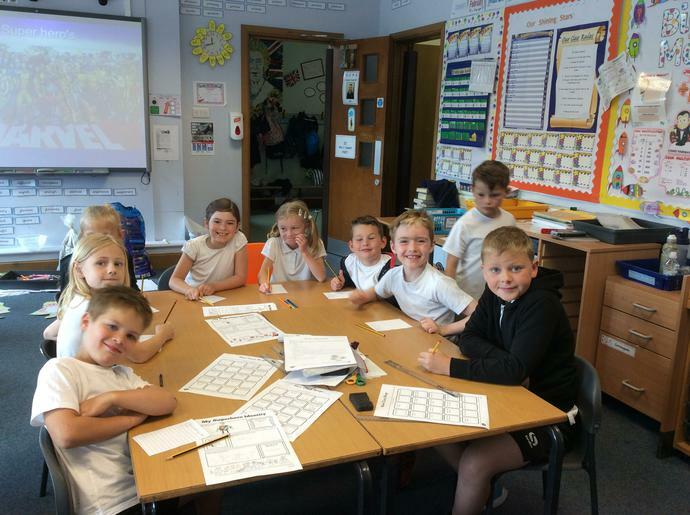 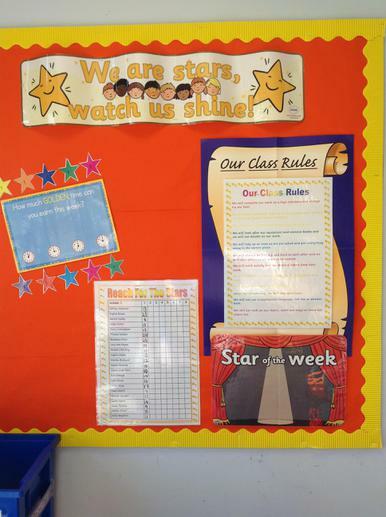 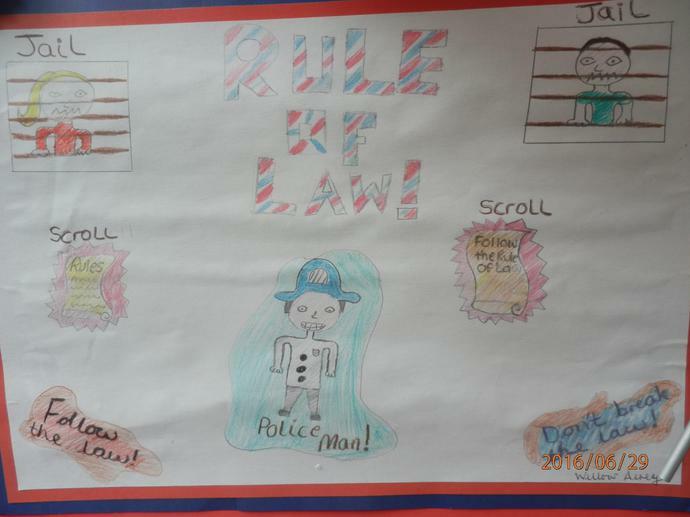 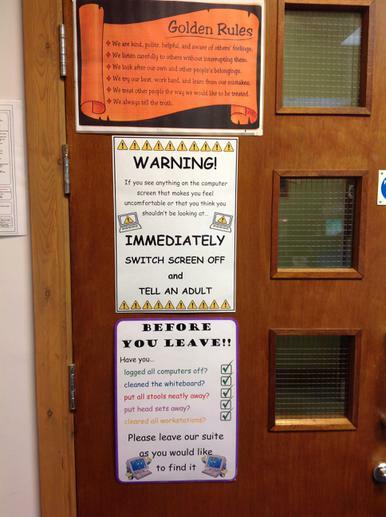 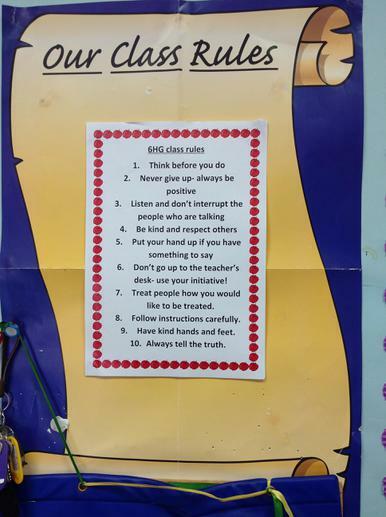 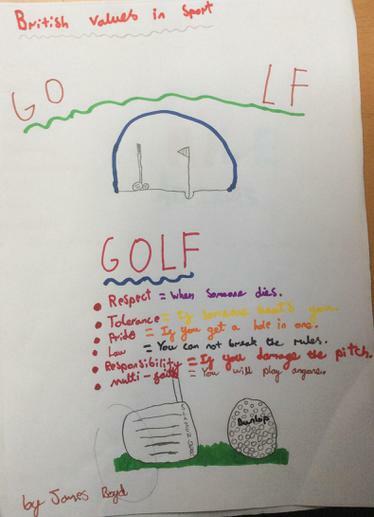 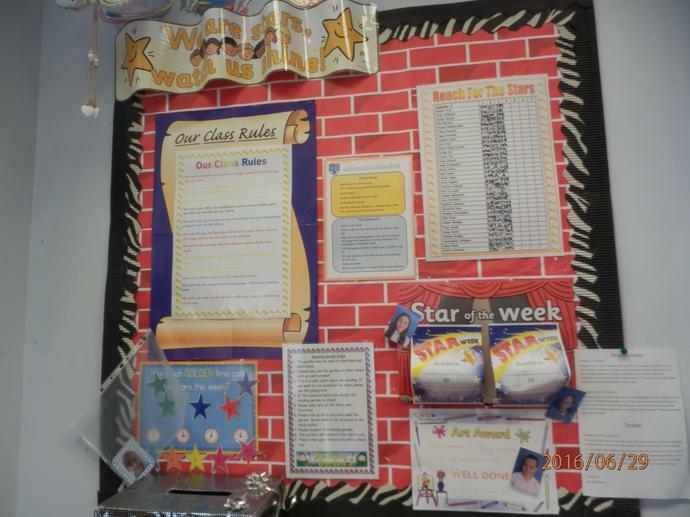 Each class have discussed the importance of rules in school and designed their own "class rules" to match our Golden Rules. 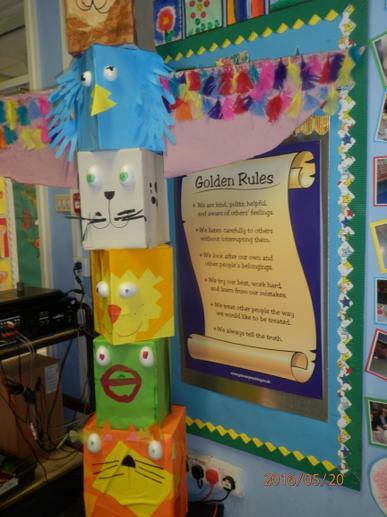 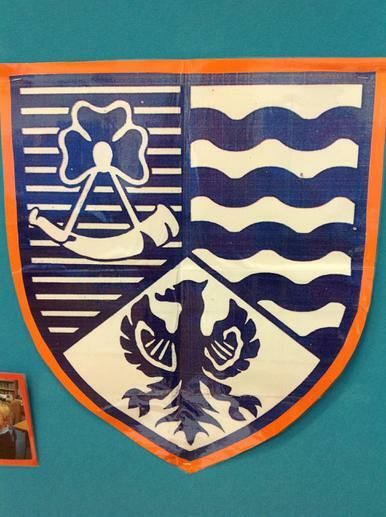 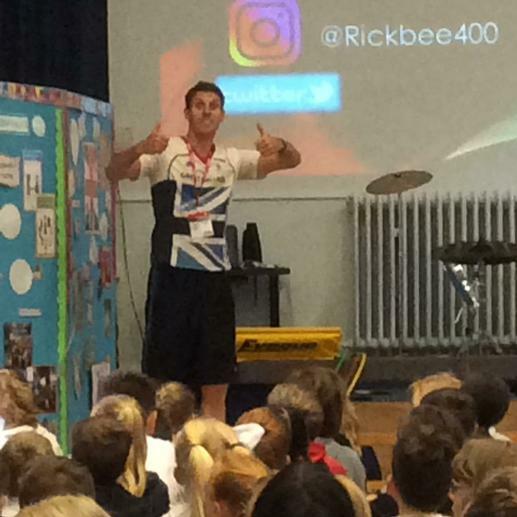 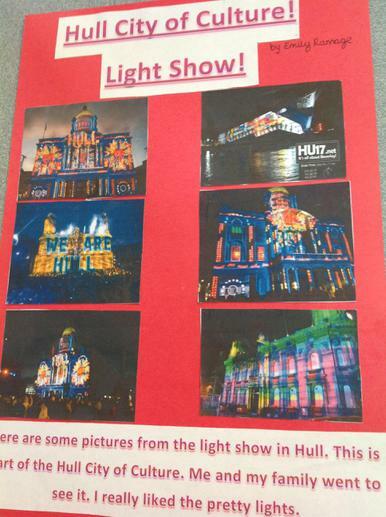 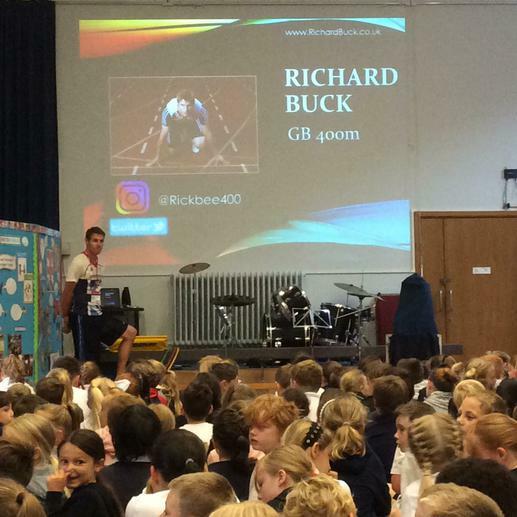 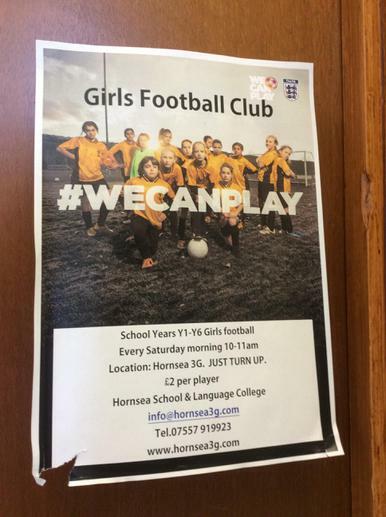 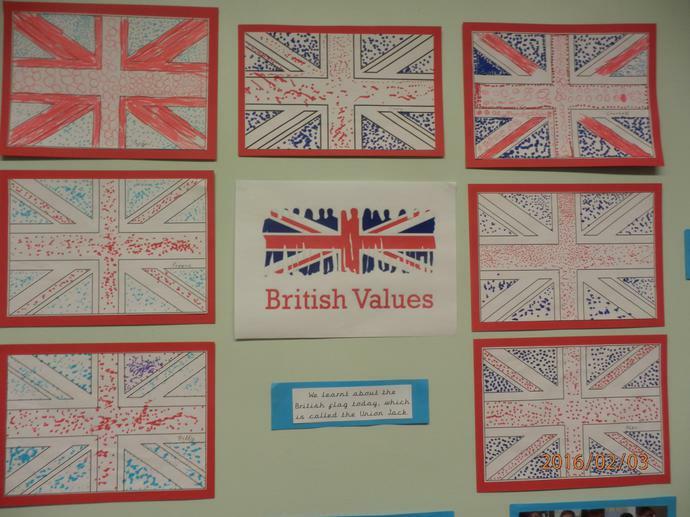 British Values "Our School Rules"
The theme of the Hull City of Culture was a popular choice for a whole school arts week. 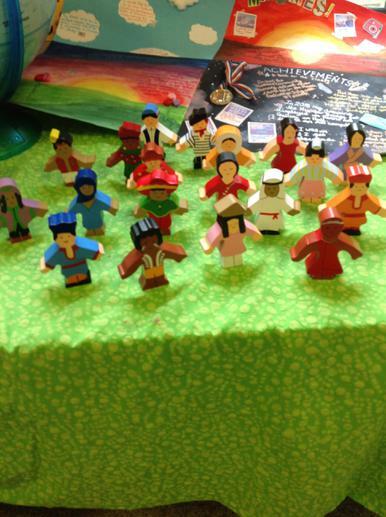 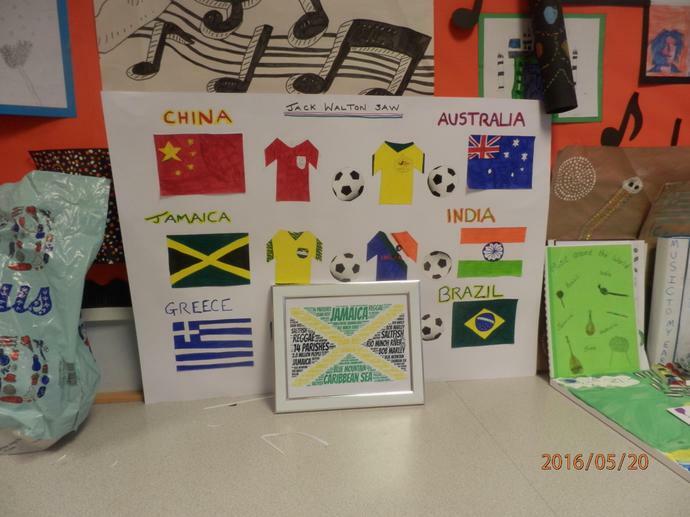 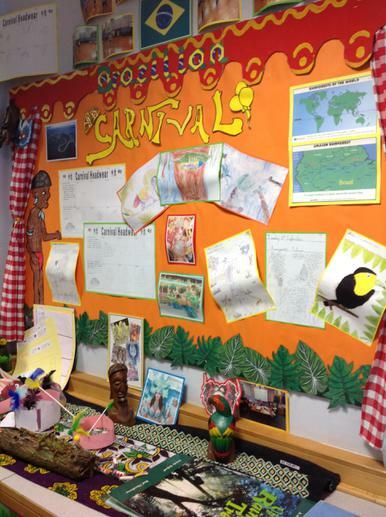 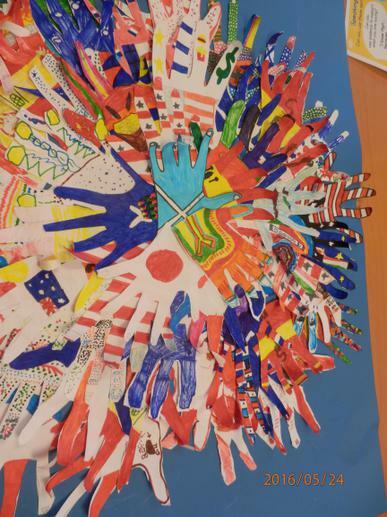 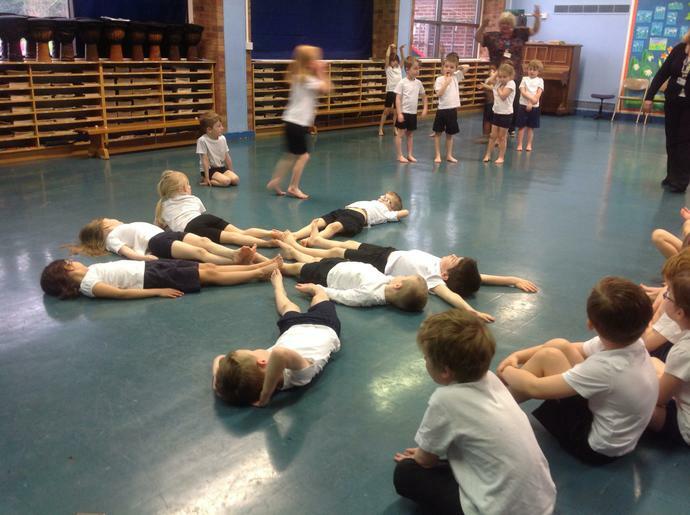 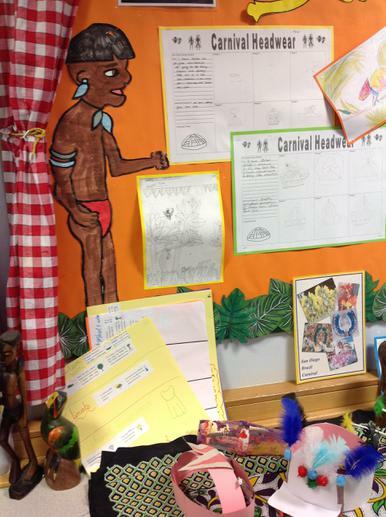 During the project the children worked co-operatively in mixed age groups on different themes organised by teachers. 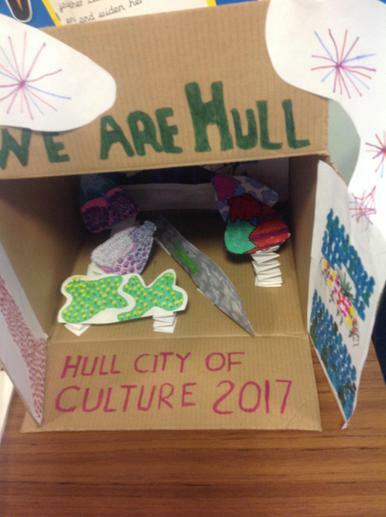 Some of the themes included; the Land of Green Ginger, The Hull Daily Mail, Humber Street Market, Hull's Whaling industry, and an excellent dance and Drama piece based on the Lost Trawlermen. 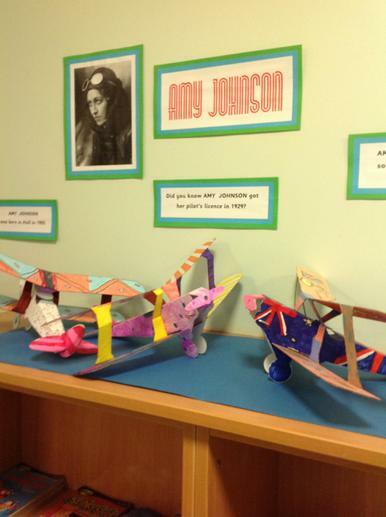 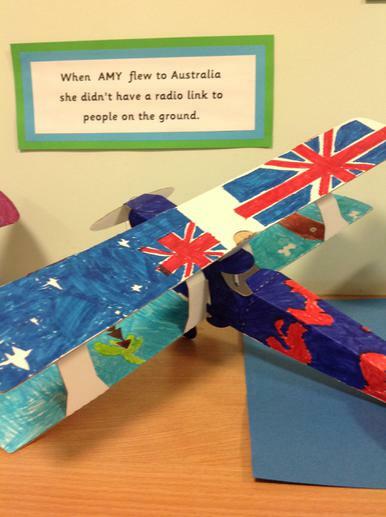 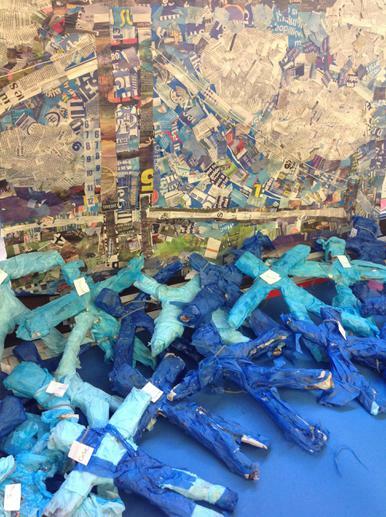 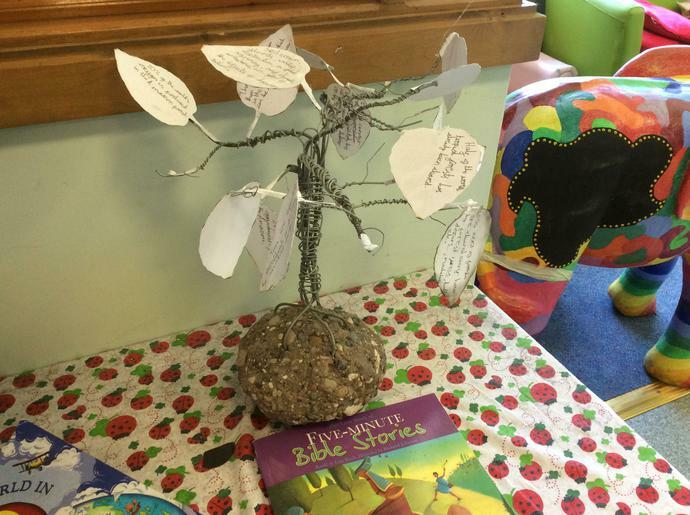 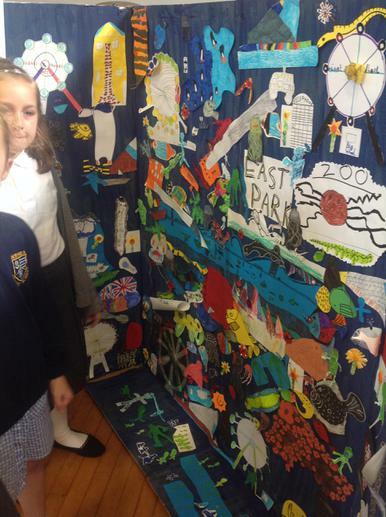 Artwork included a multimedia collage based on East Park, Amy Johnson's Moth sculptures, Papier mache Spencer Tunic 'blue people'and even a baked interpretation of The Land Of Green Ginger. 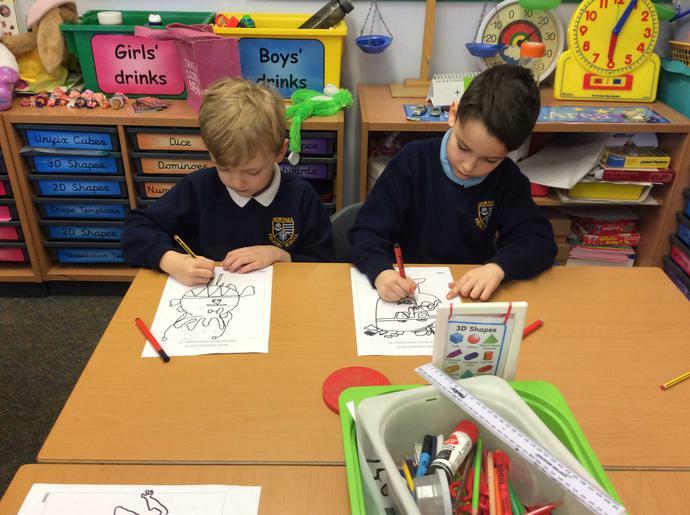 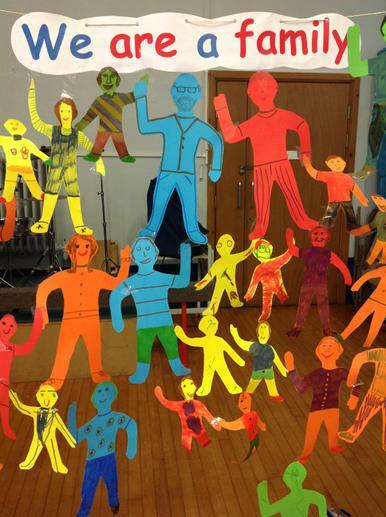 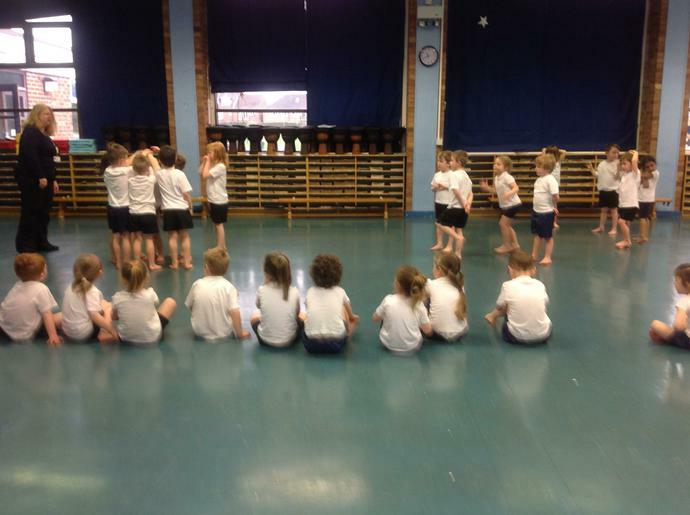 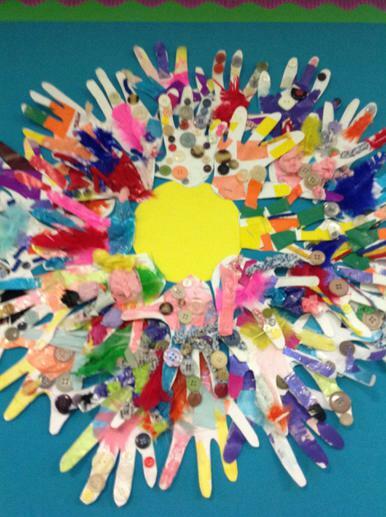 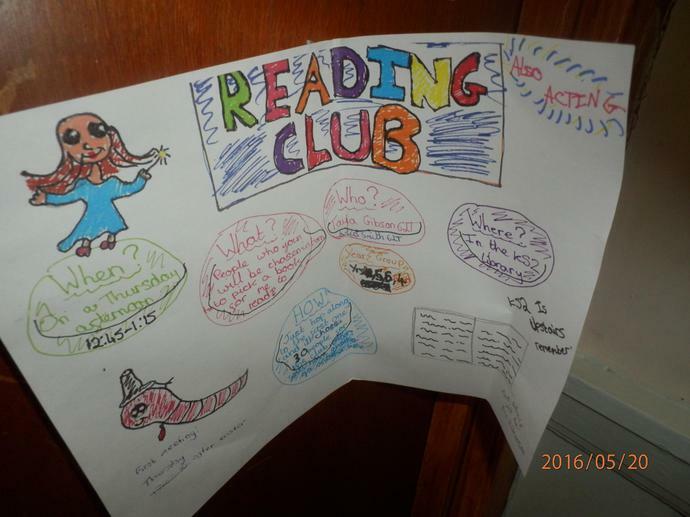 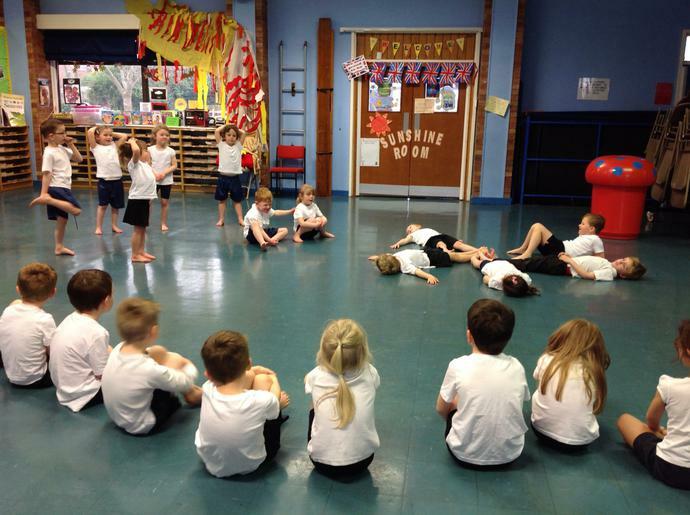 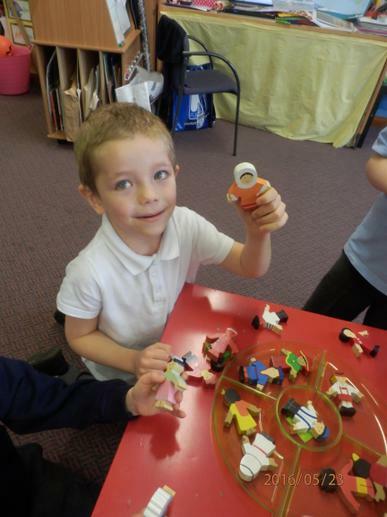 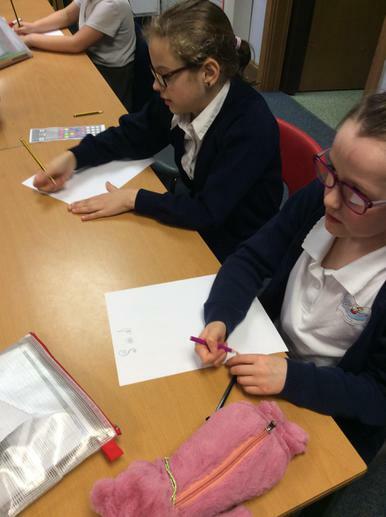 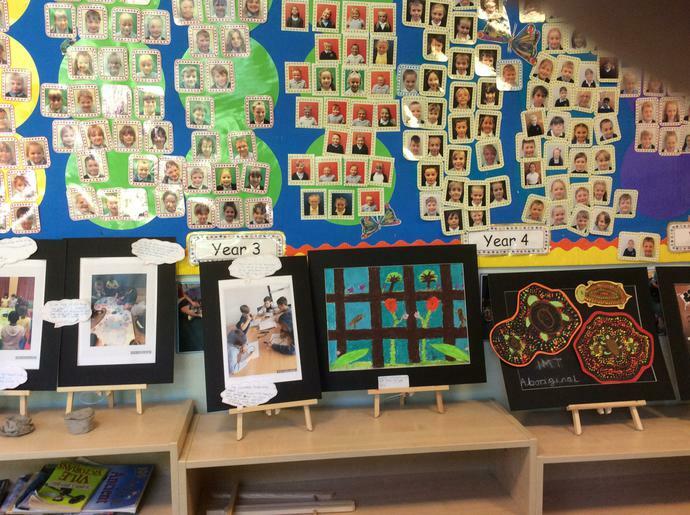 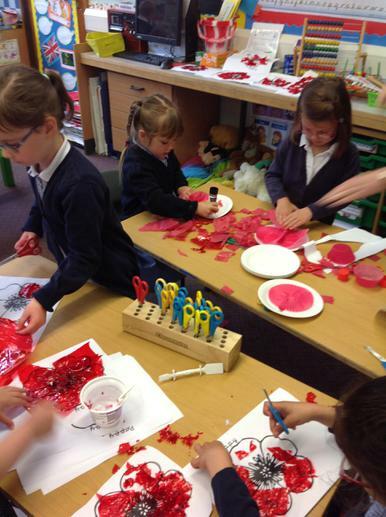 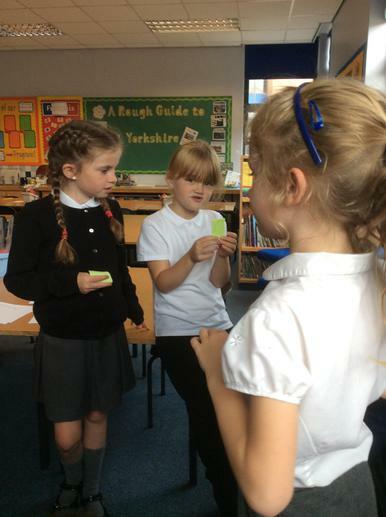 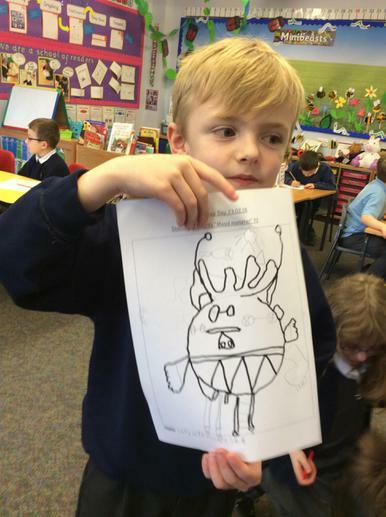 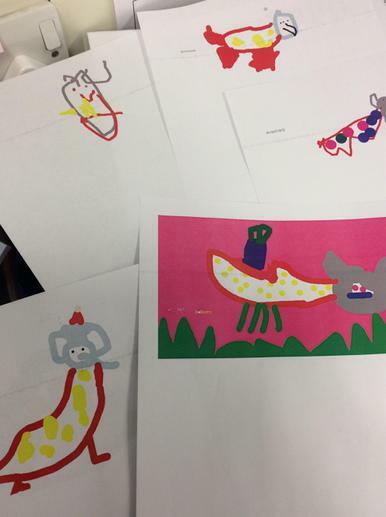 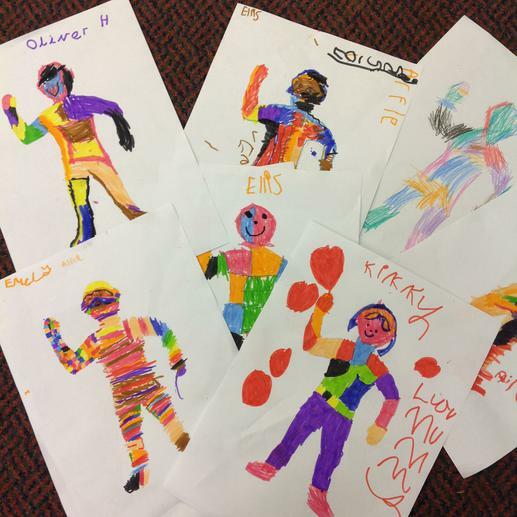 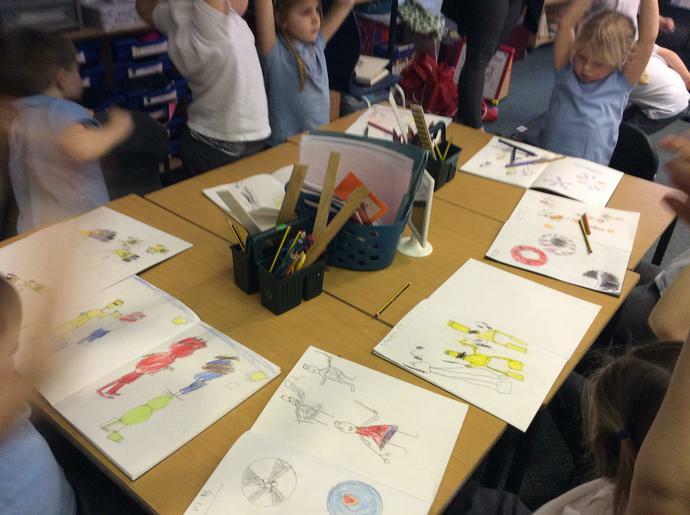 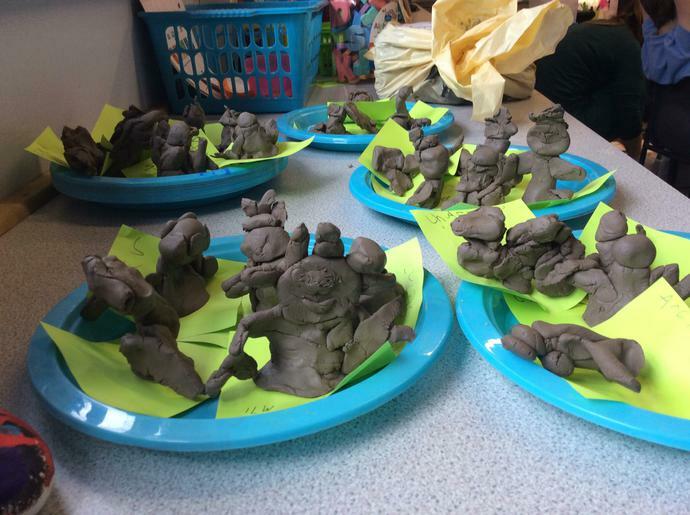 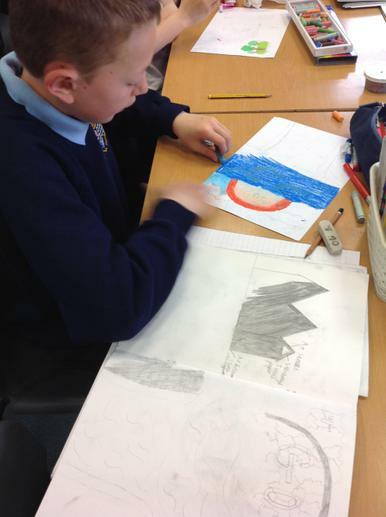 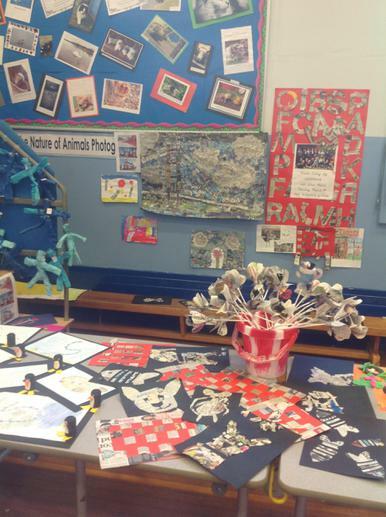 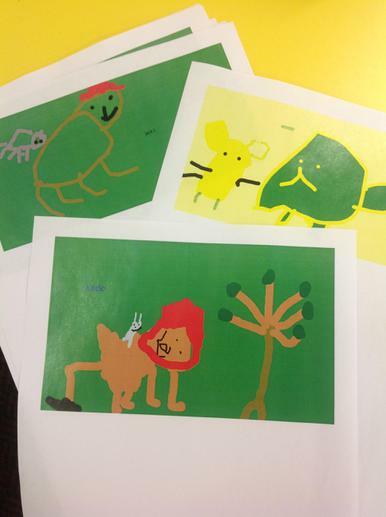 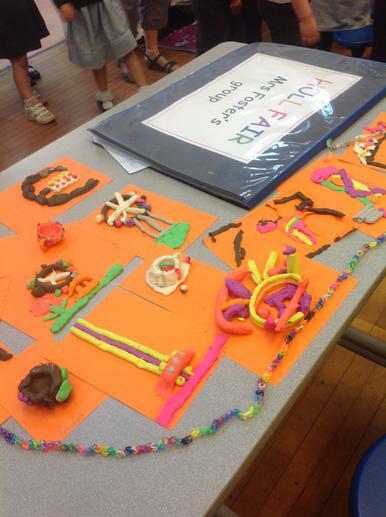 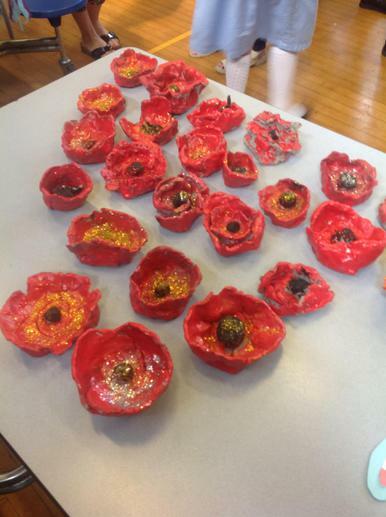 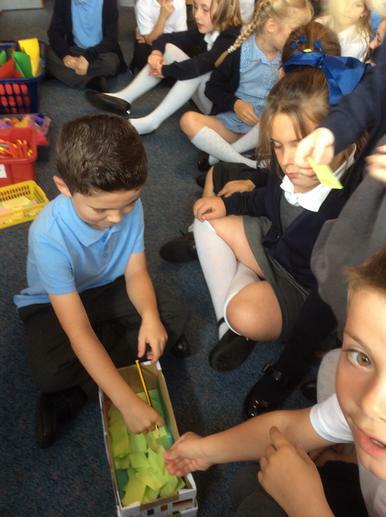 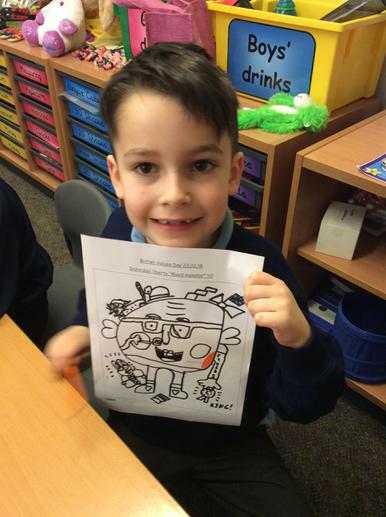 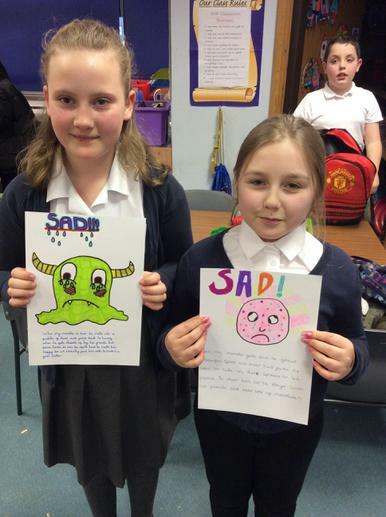 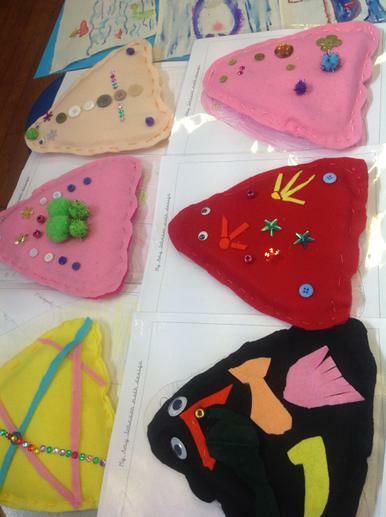 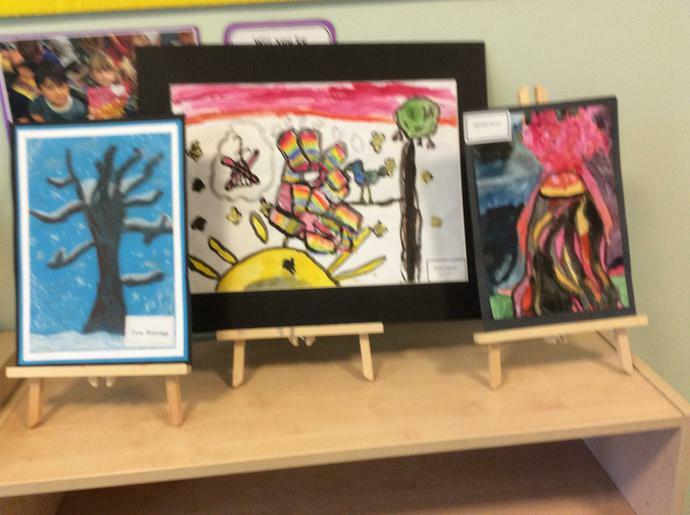 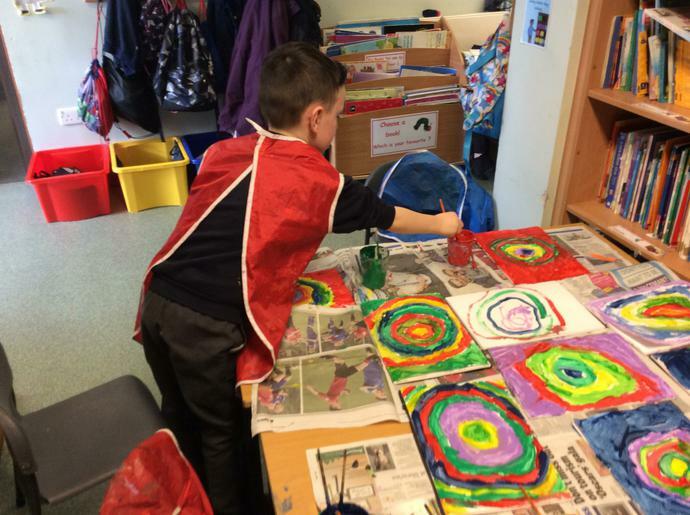 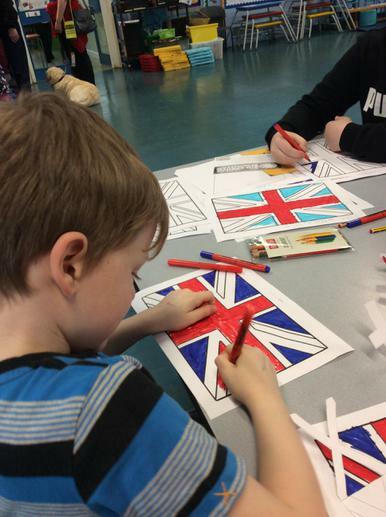 The children all enjoyed working with children of different ages They have gained some new art skills,have increased their cultural knowledge and overall they have gained a greater knowledge and sense of pride in the City of Hull and the local area. 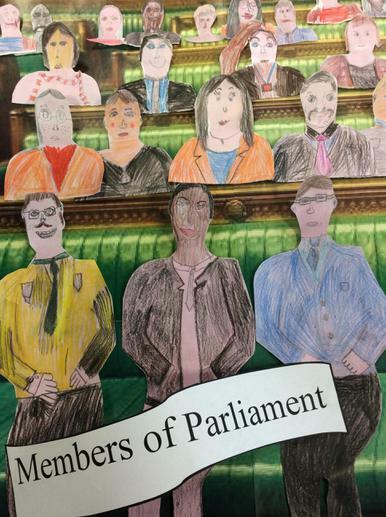 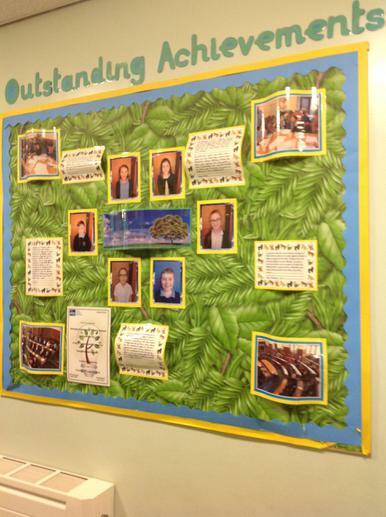 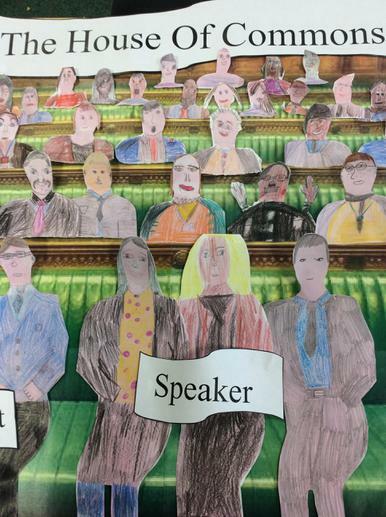 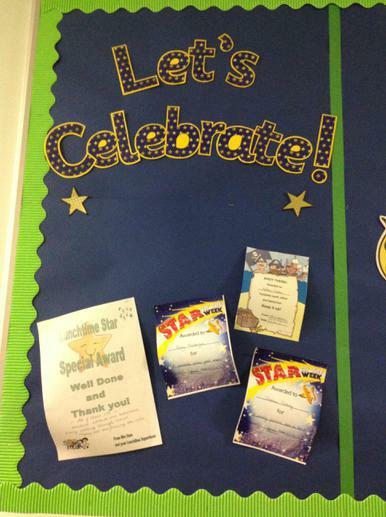 A team of six Year 6 children are entering the Speaker's School Council Awards as part of UK Parliament Week. 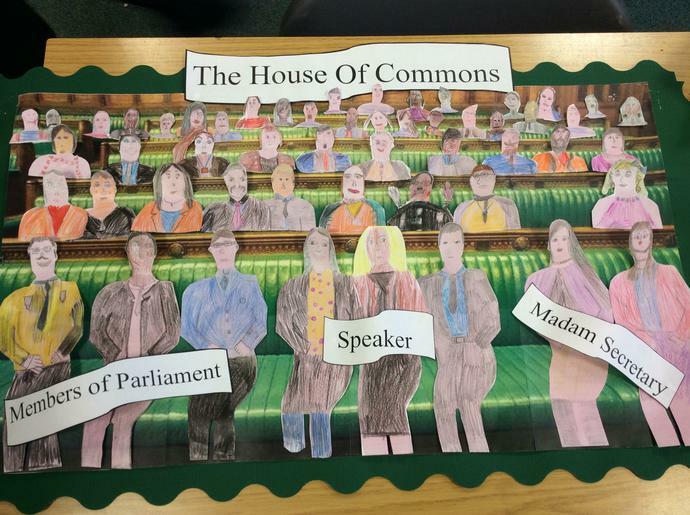 This is an annual festival that engages people from across the UK with Parliament. 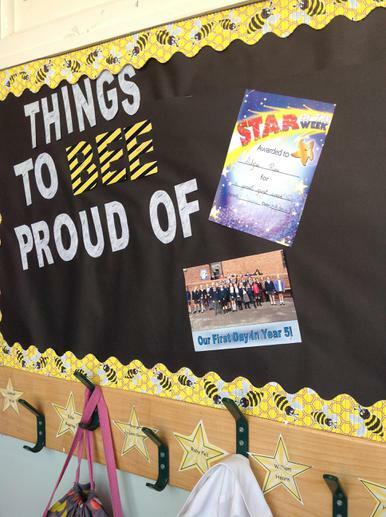 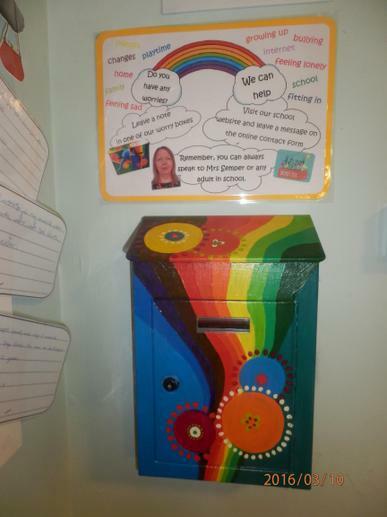 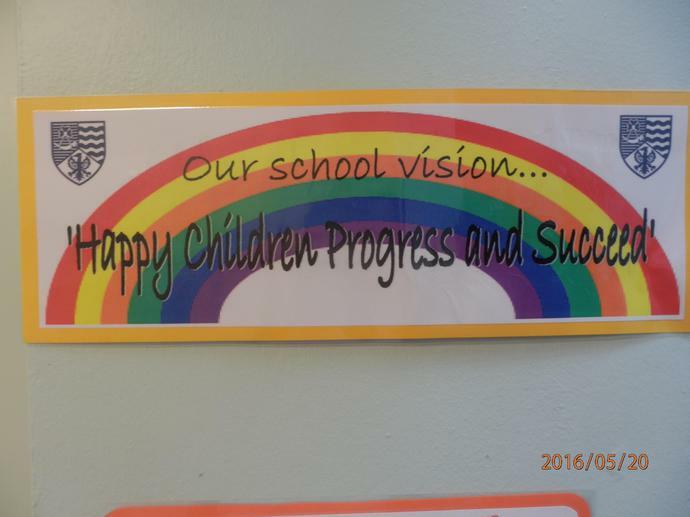 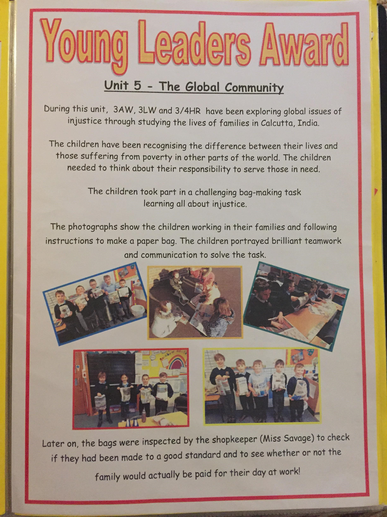 Our pupils will be explaining how children from our school are having a positive impact on the school and the local community by working together to create a positive difference. 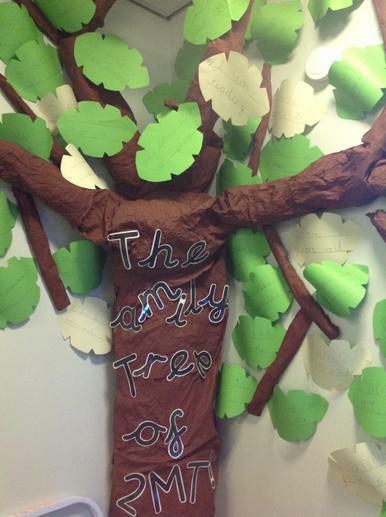 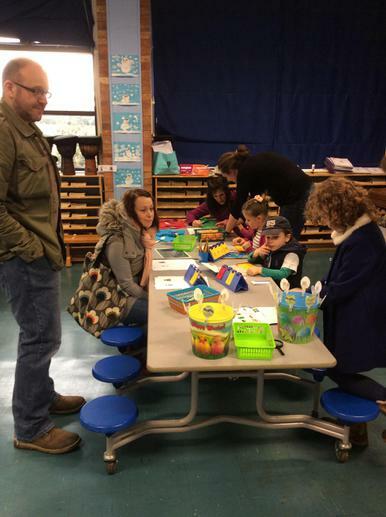 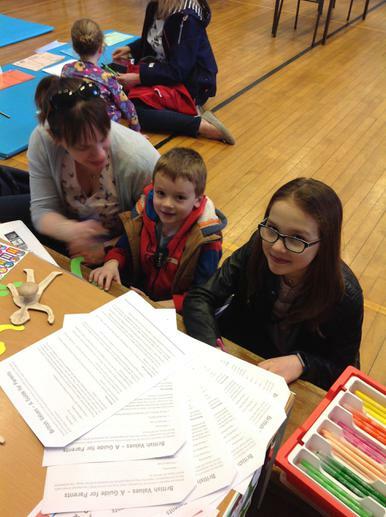 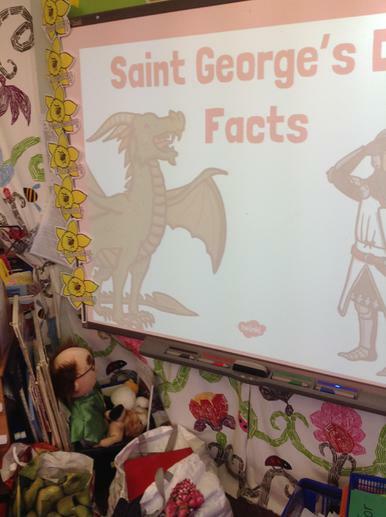 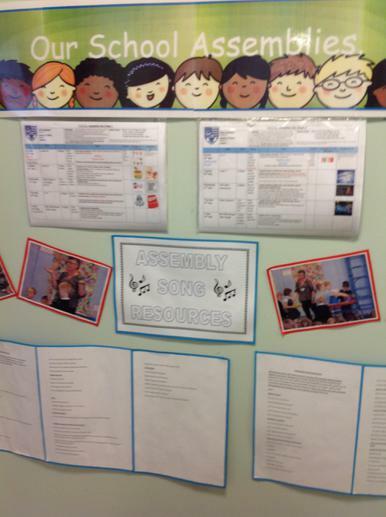 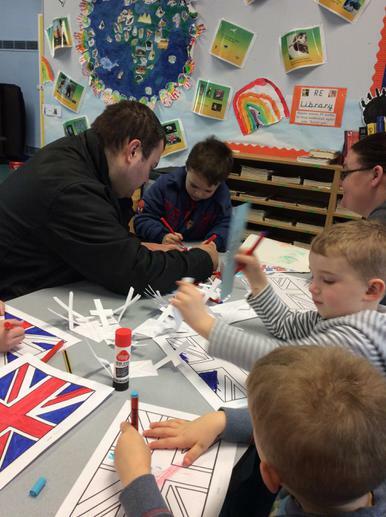 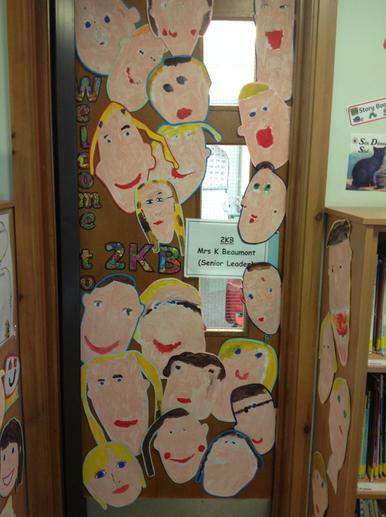 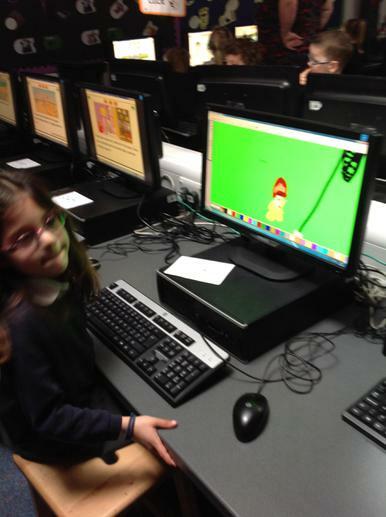 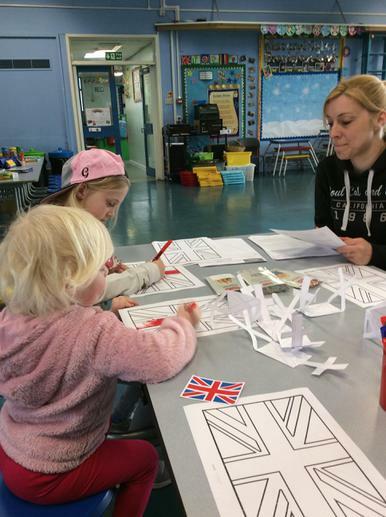 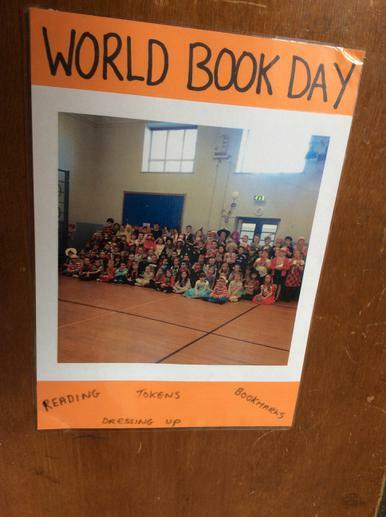 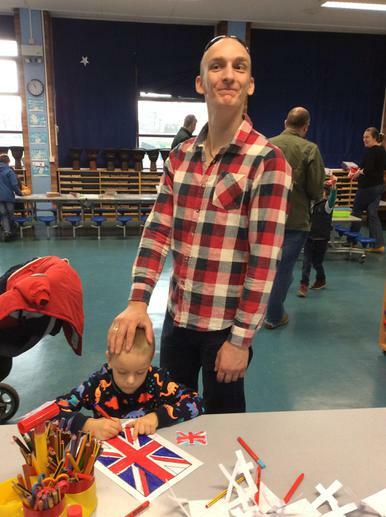 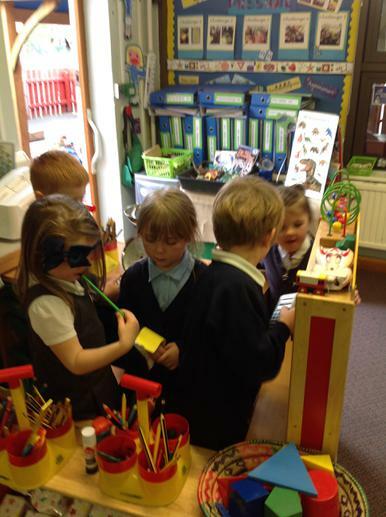 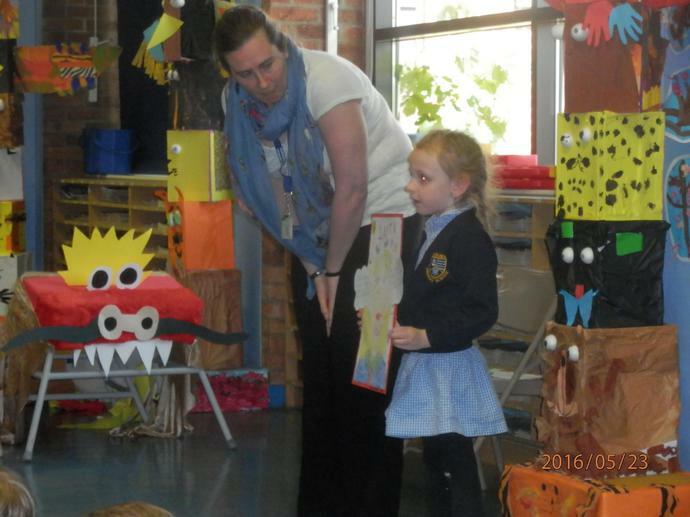 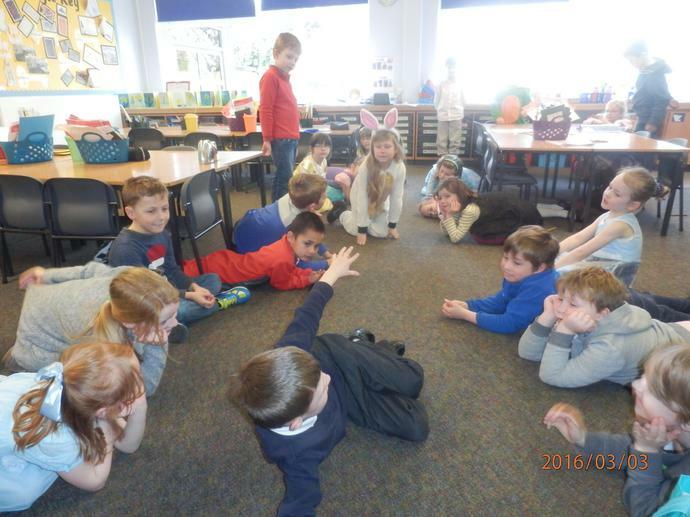 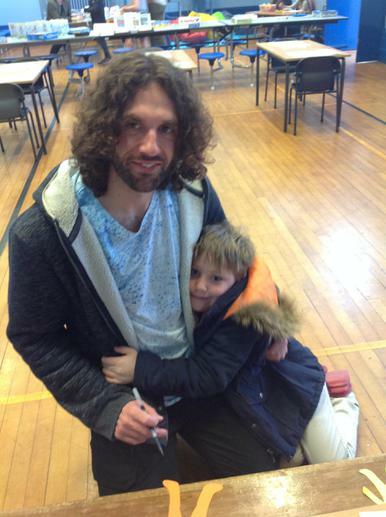 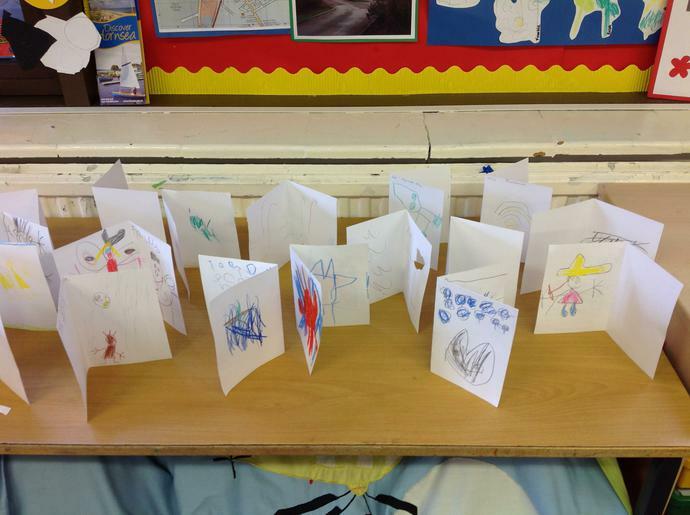 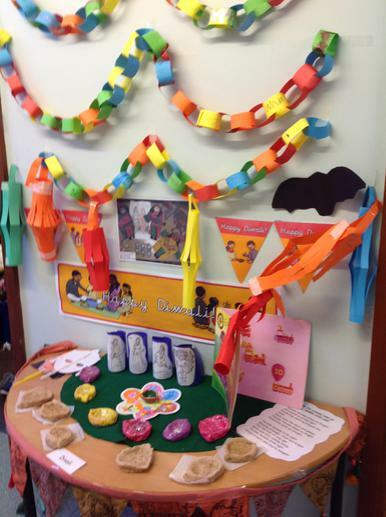 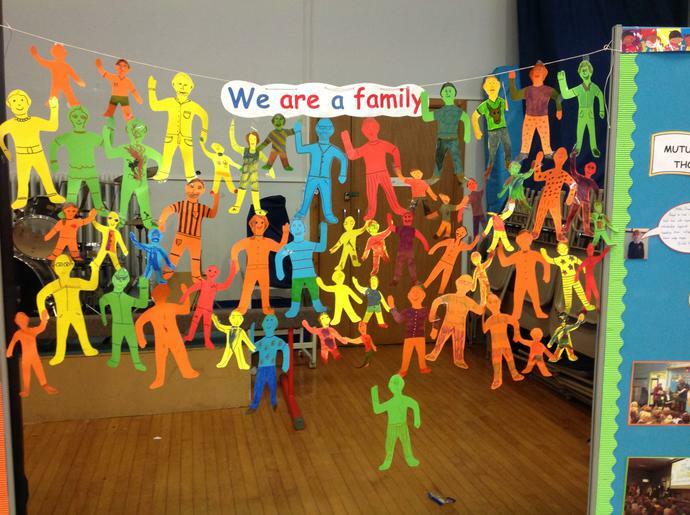 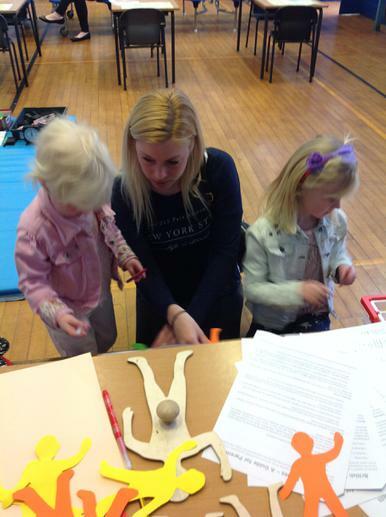 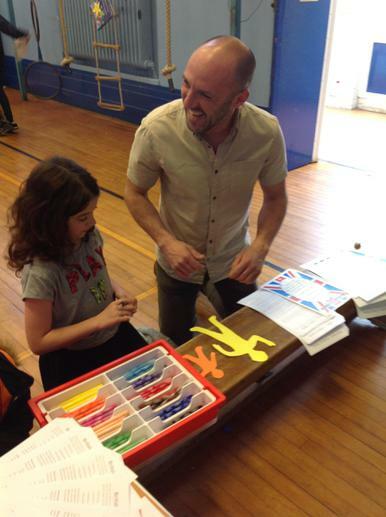 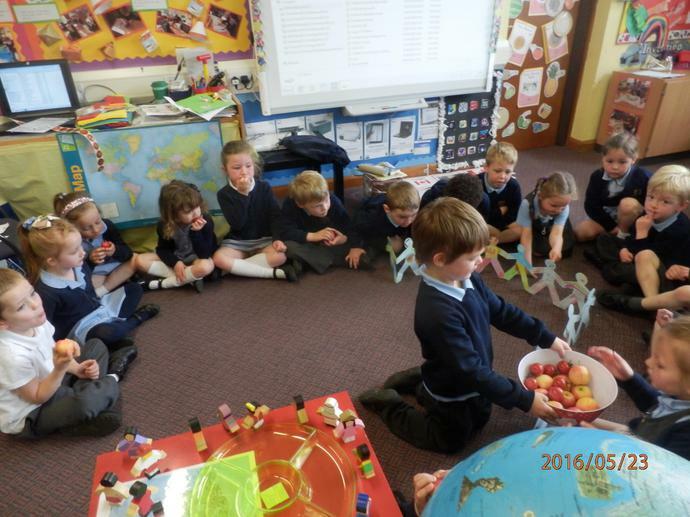 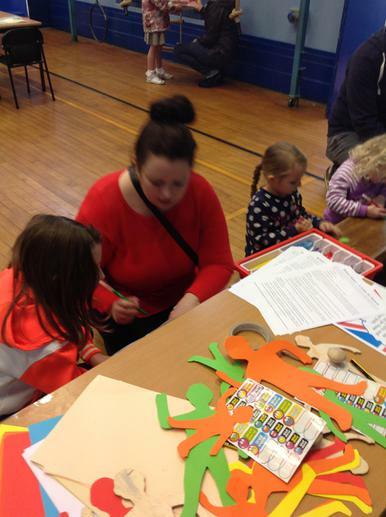 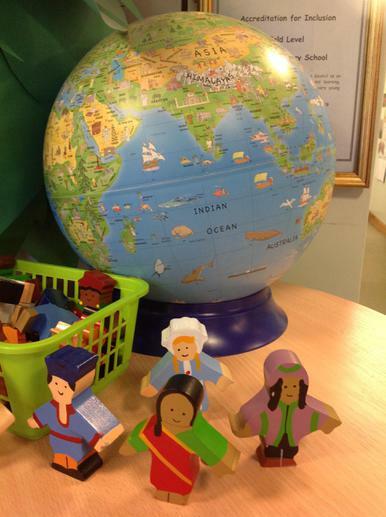 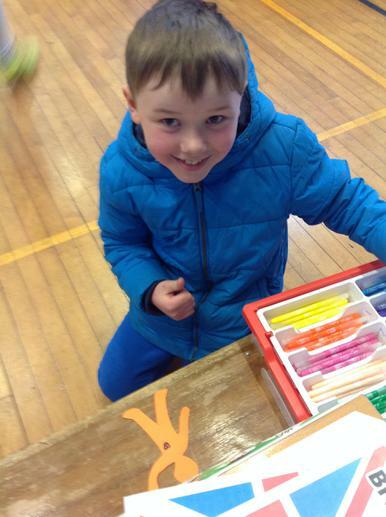 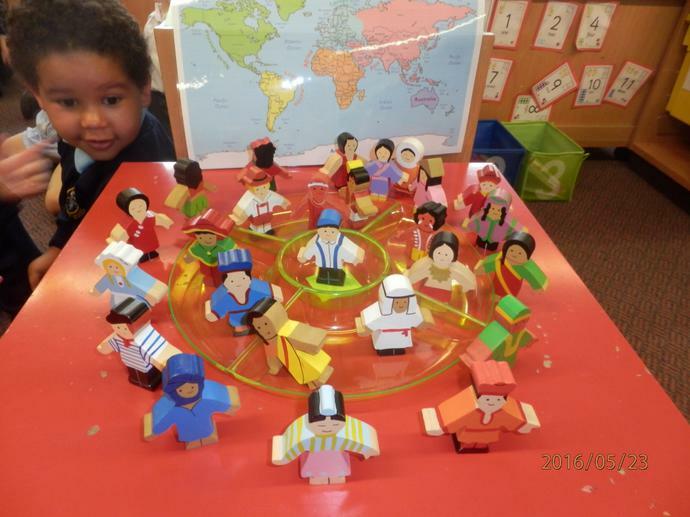 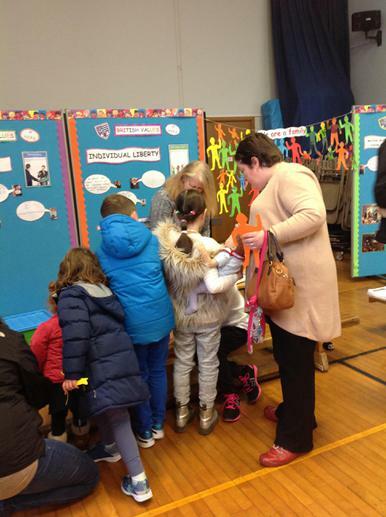 Our special "Family Learning day" took place on Saturday 1st April. 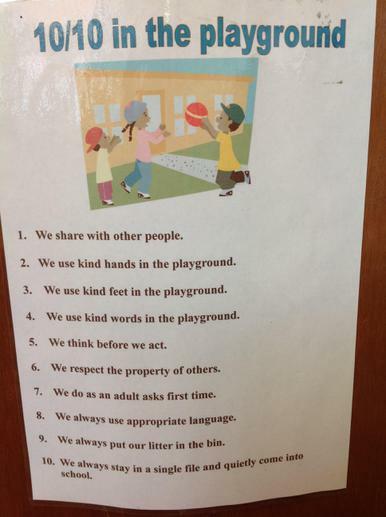 Parents. 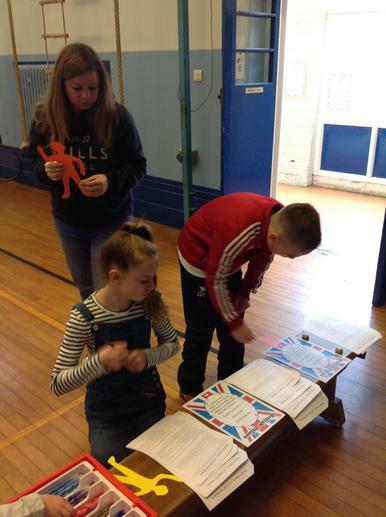 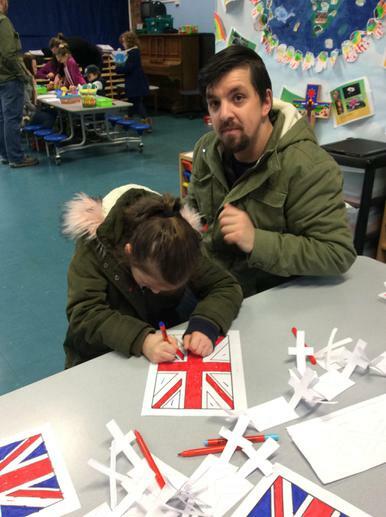 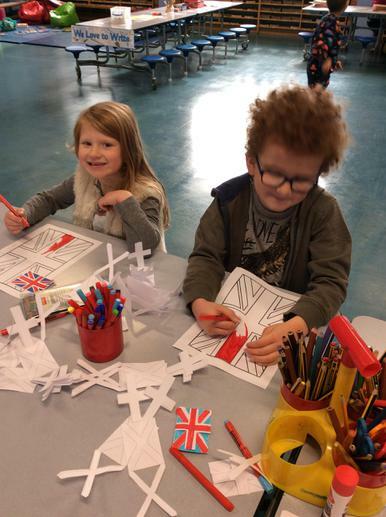 Grandparents and carers were invited to take part in lots of different activities and to also find out about "British Values." 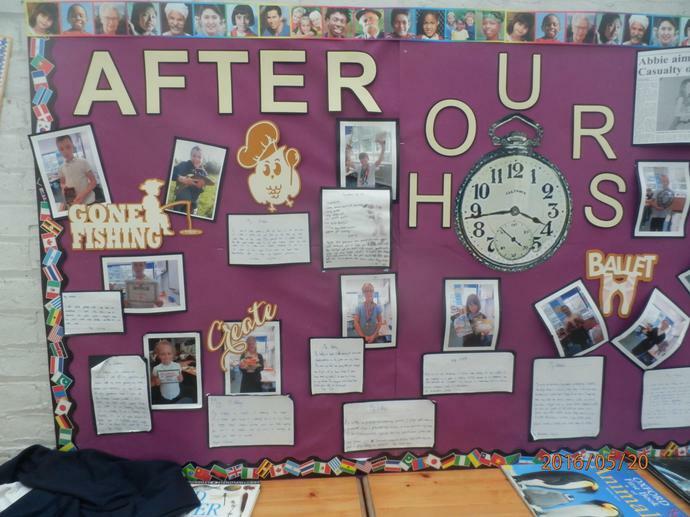 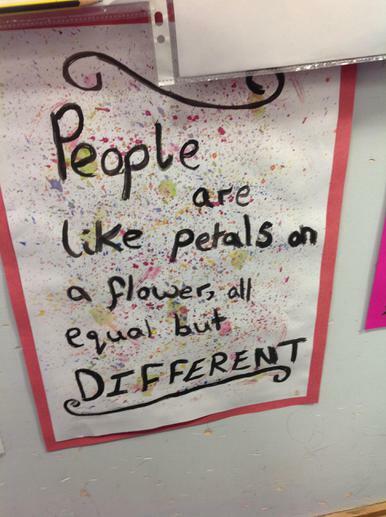 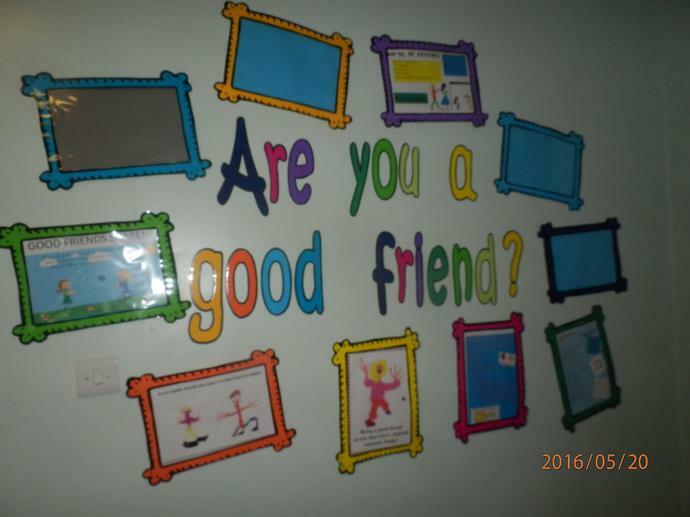 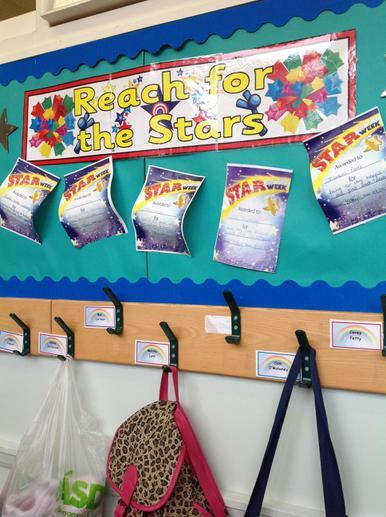 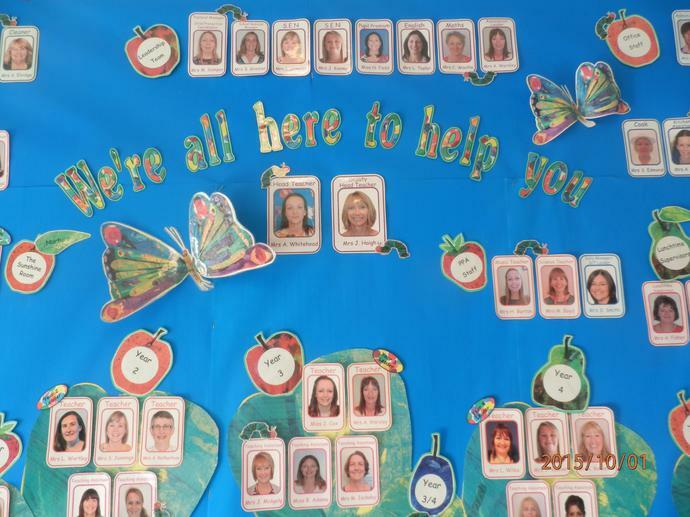 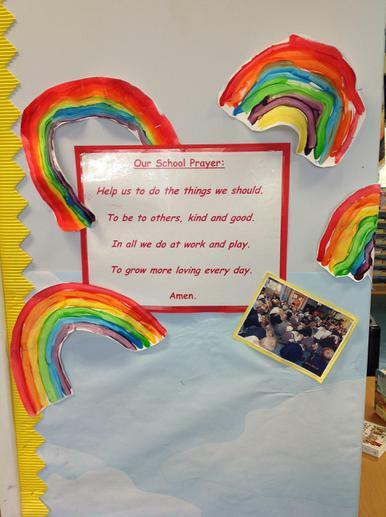 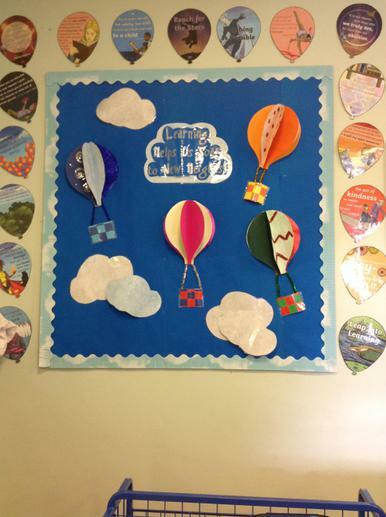 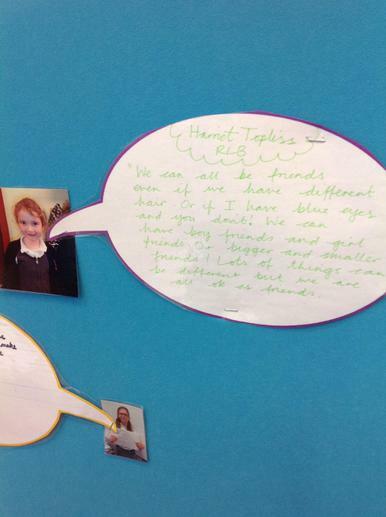 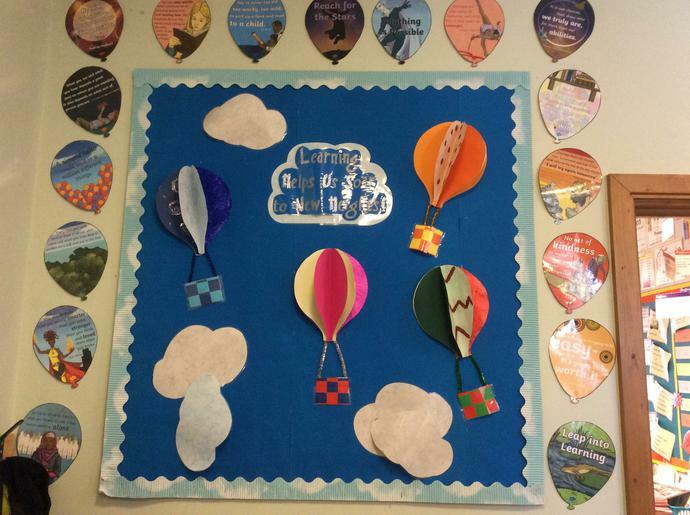 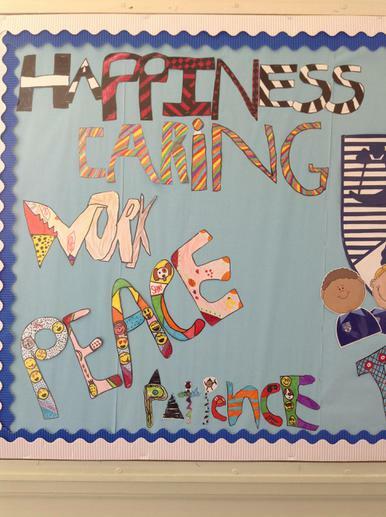 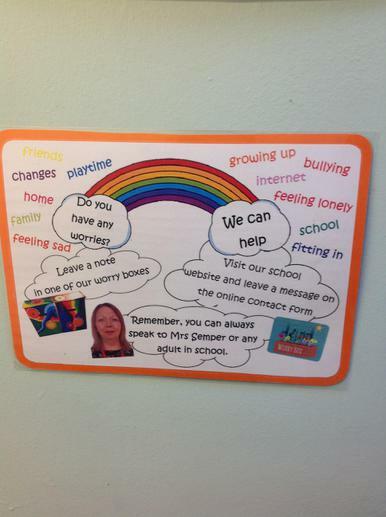 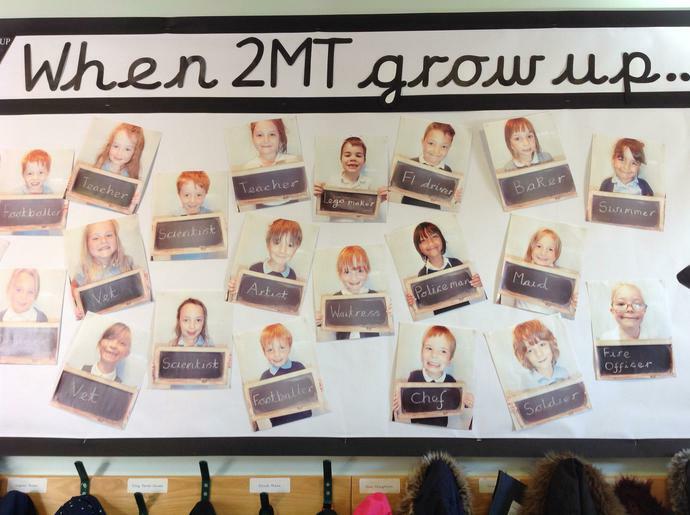 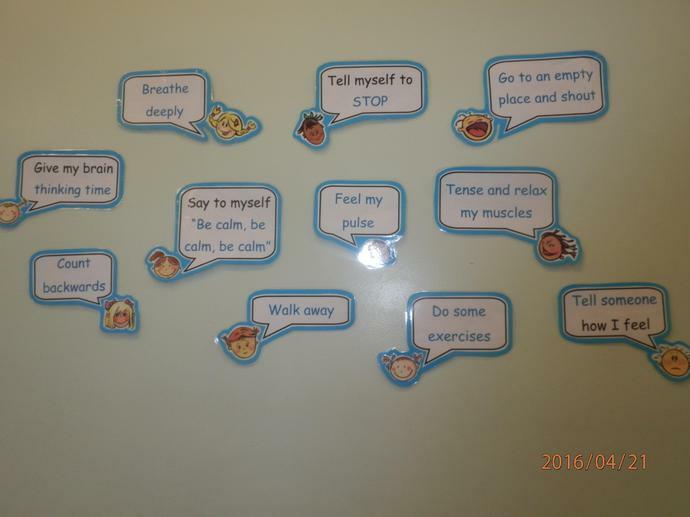 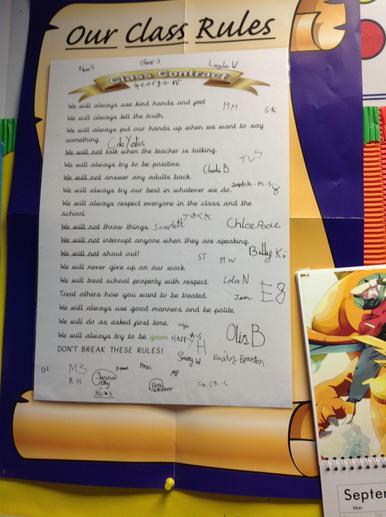 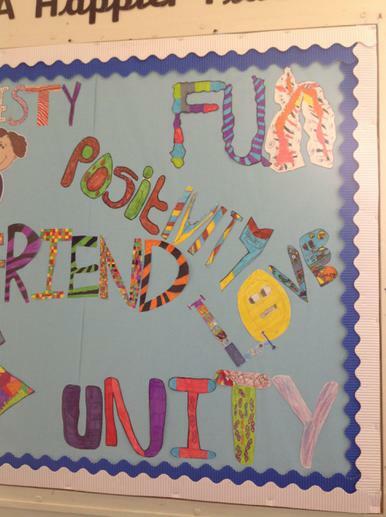 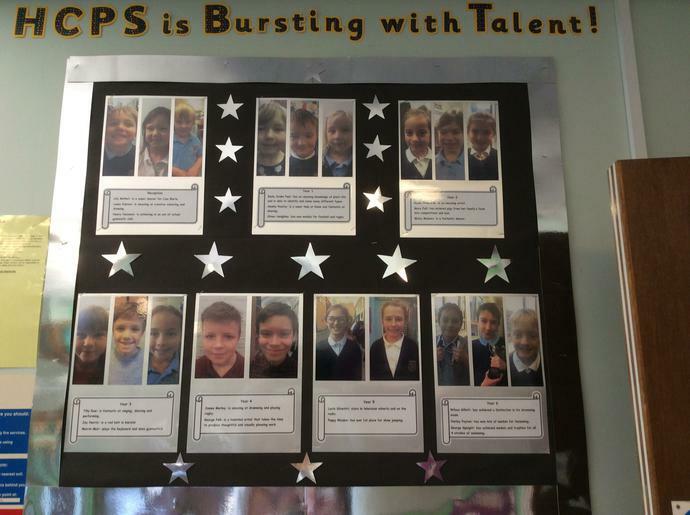 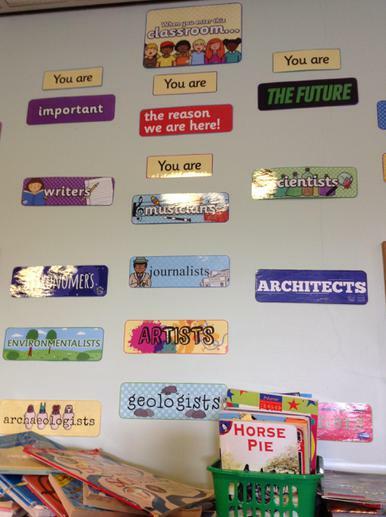 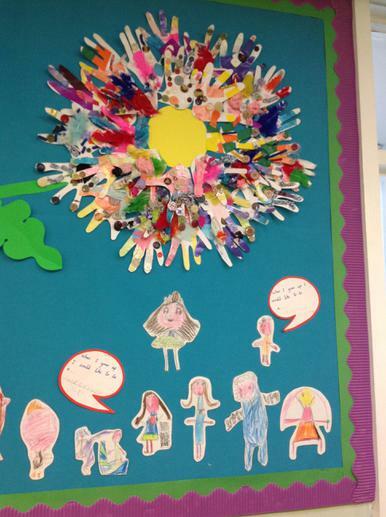 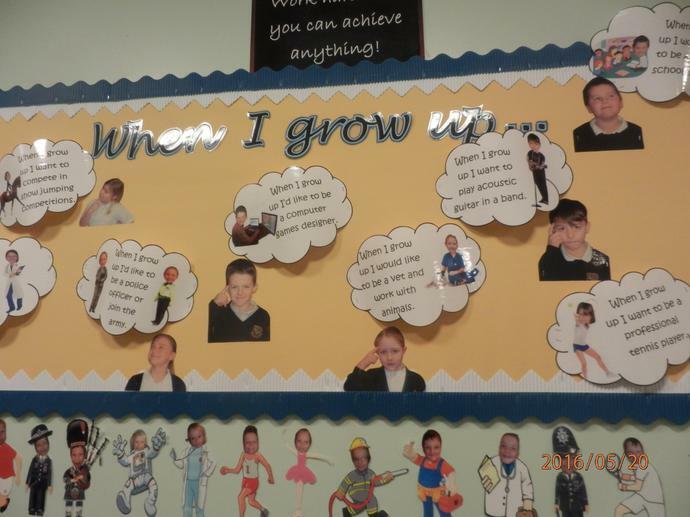 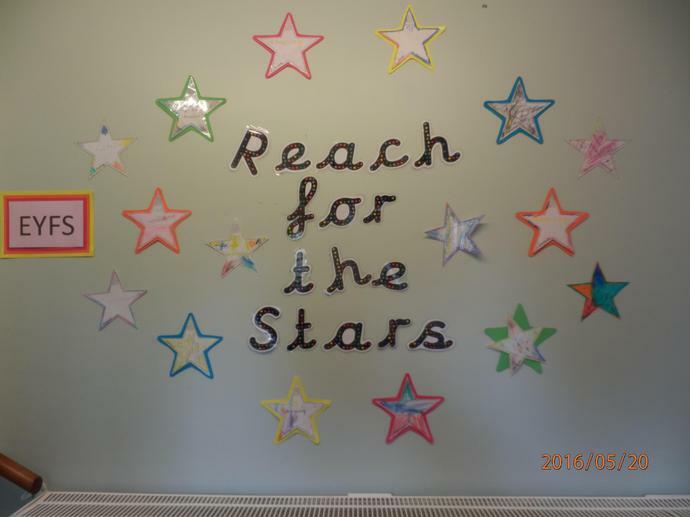 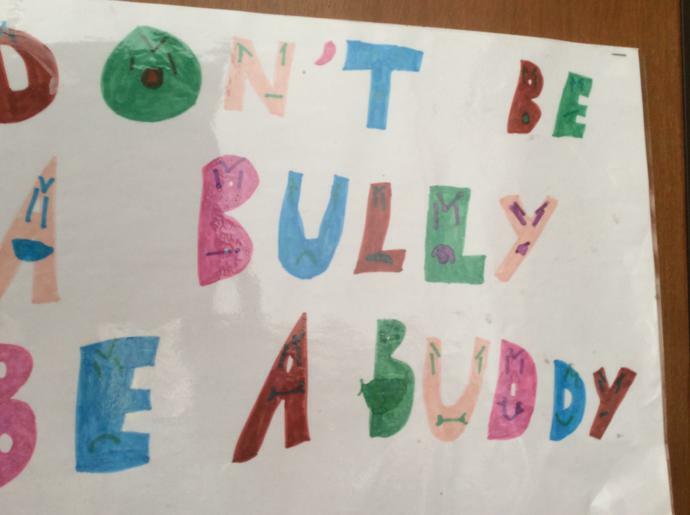 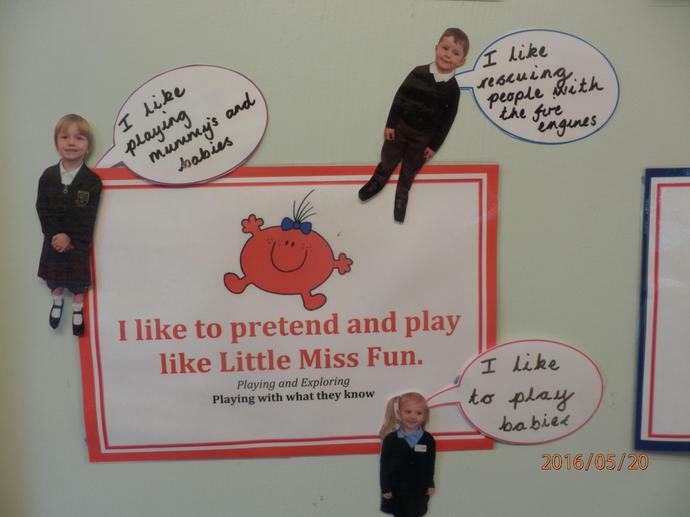 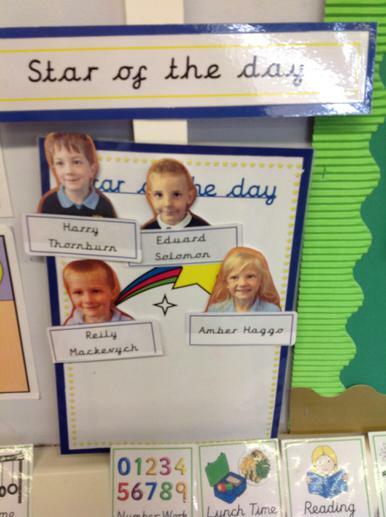 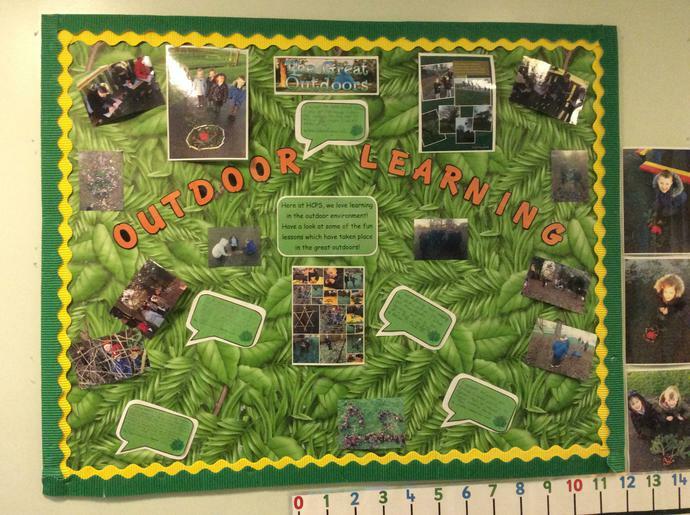 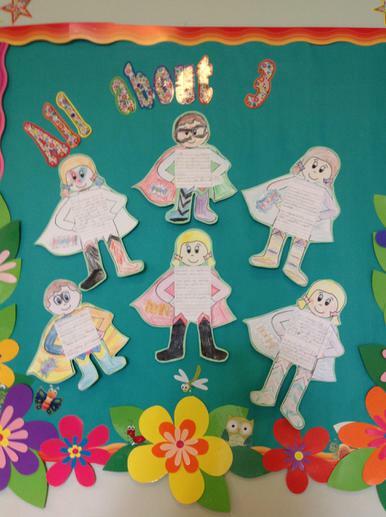 from the children's words and pictures on our wall displays in the KS2 hall. 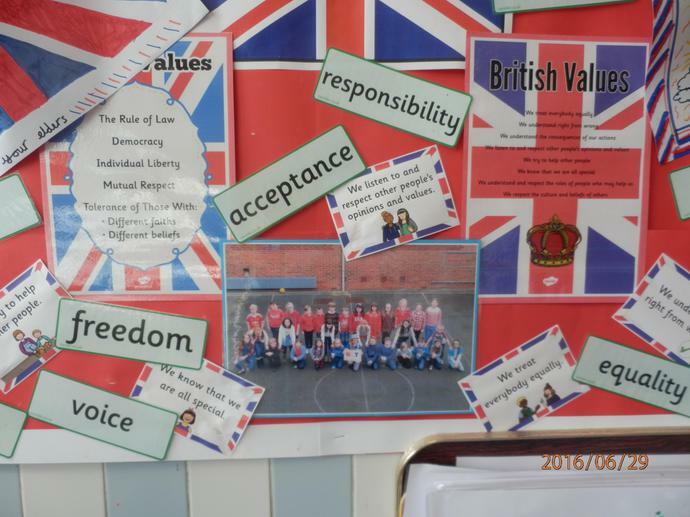 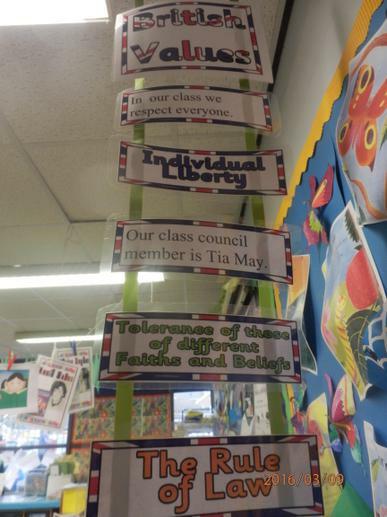 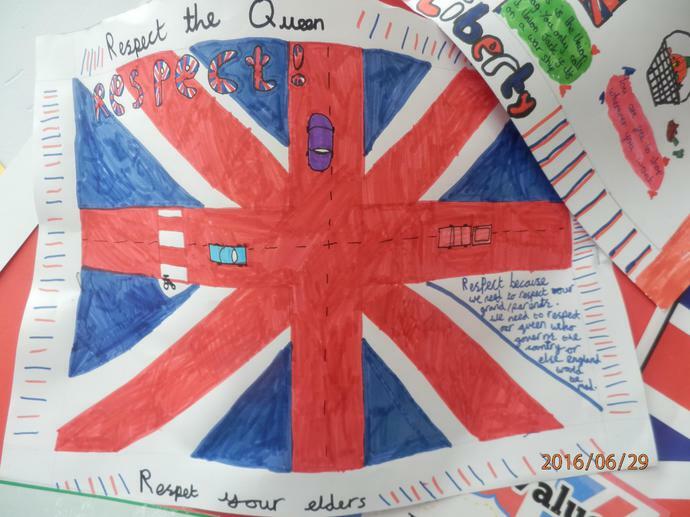 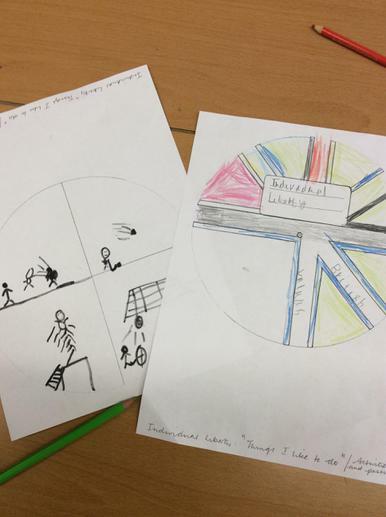 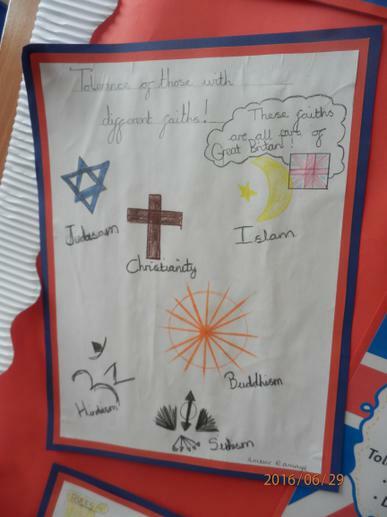 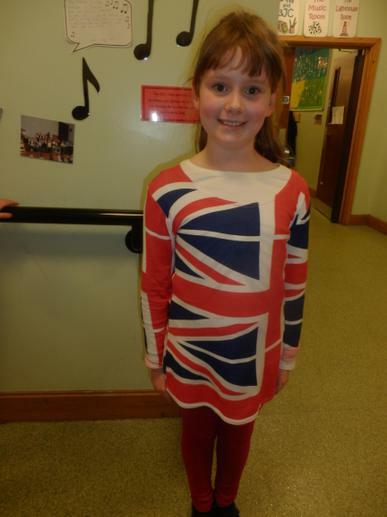 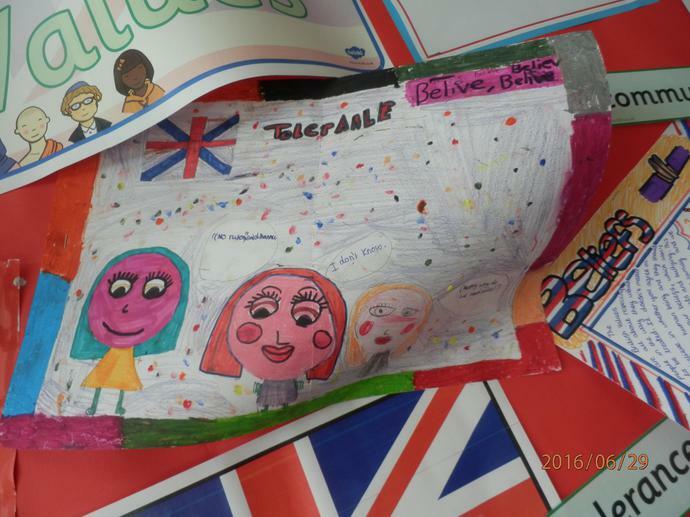 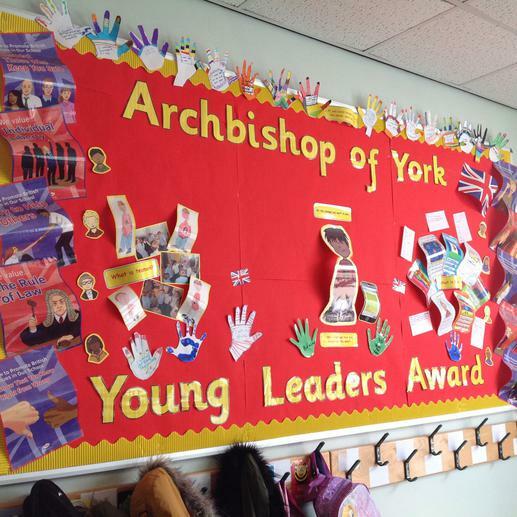 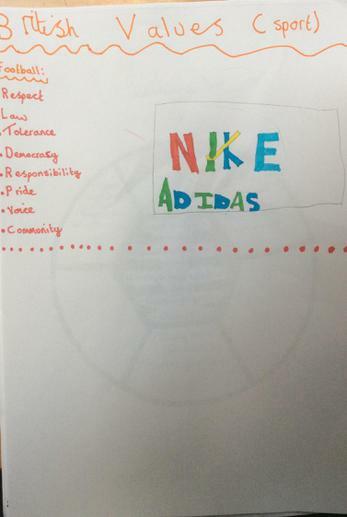 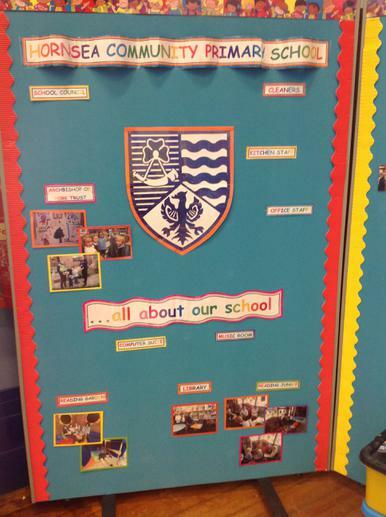 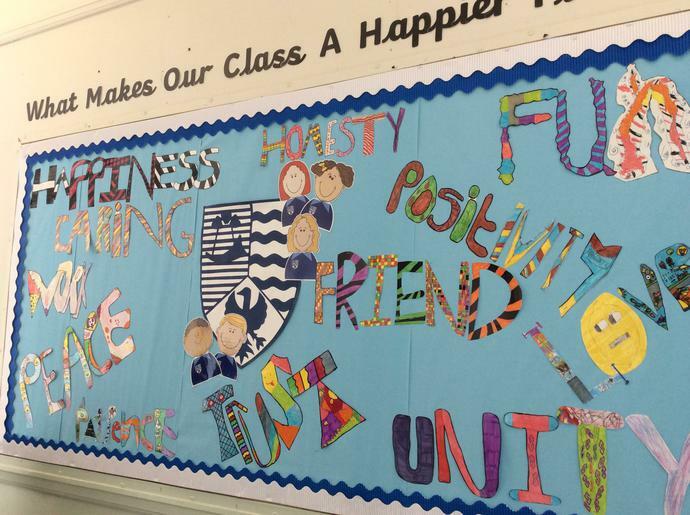 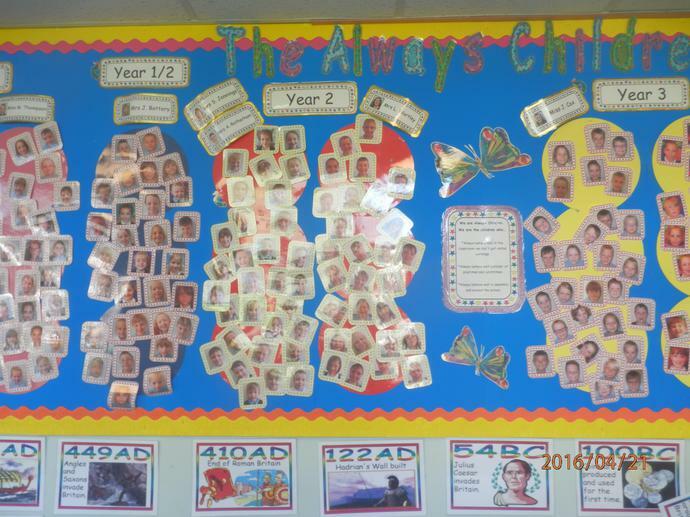 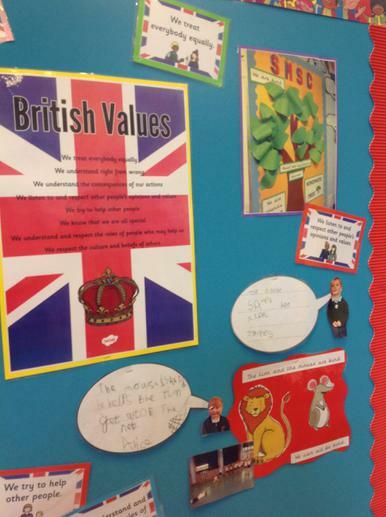 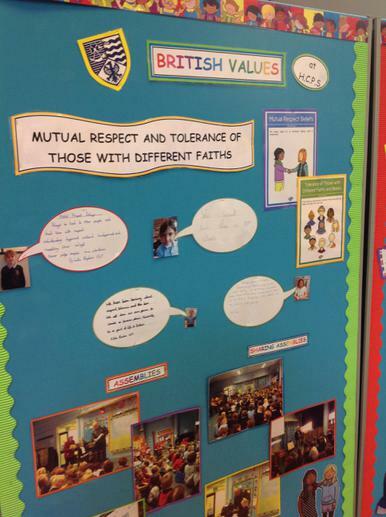 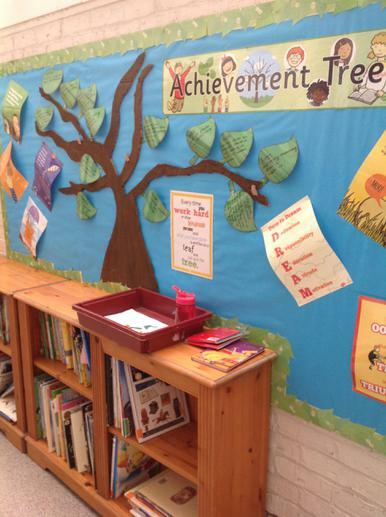 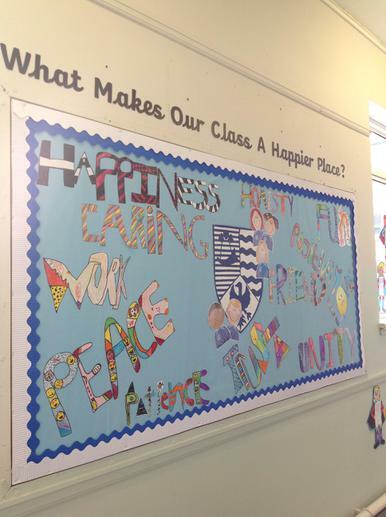 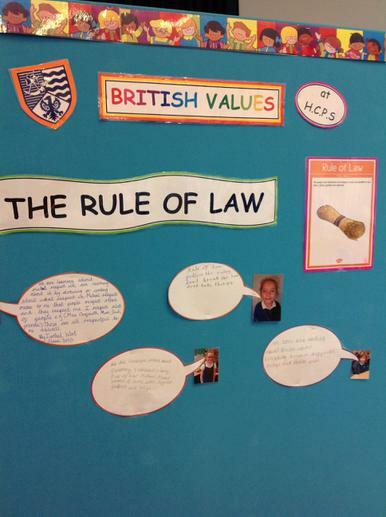 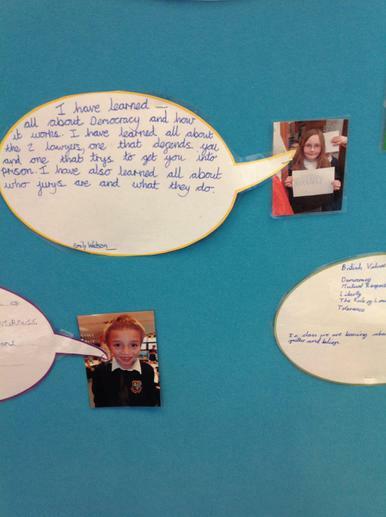 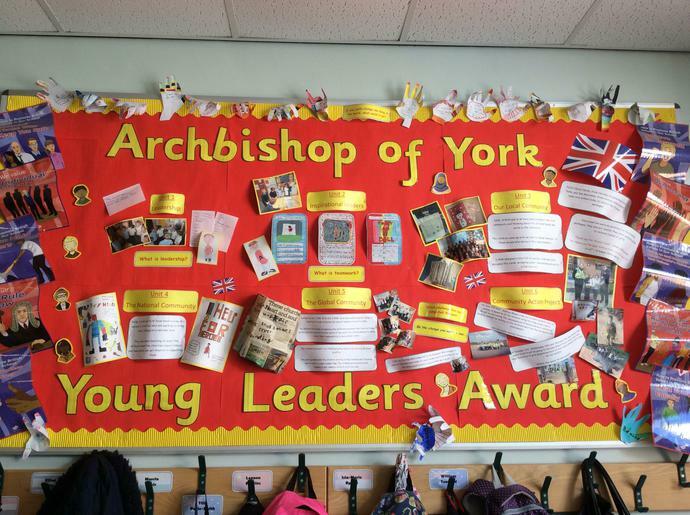 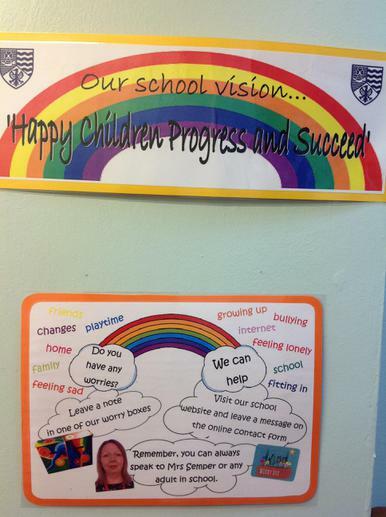 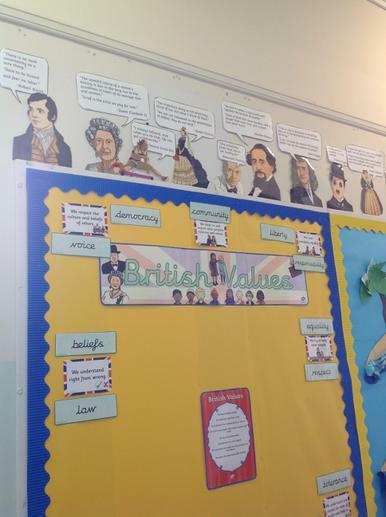 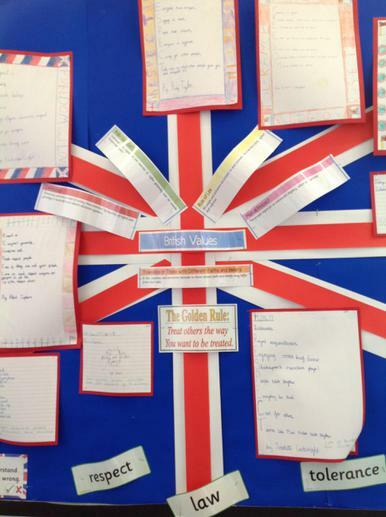 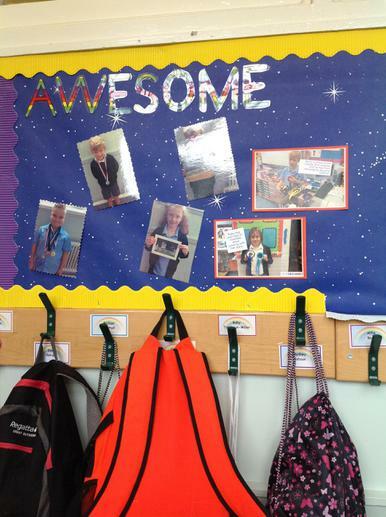 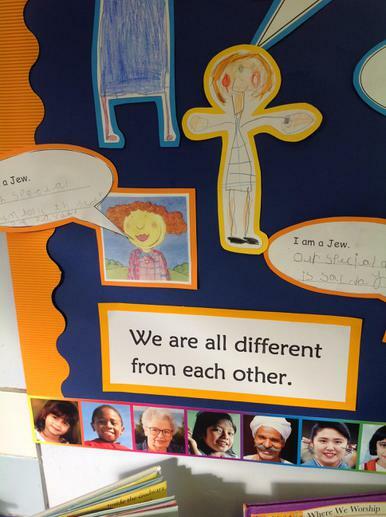 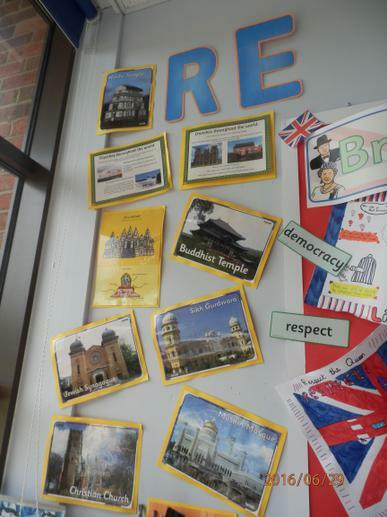 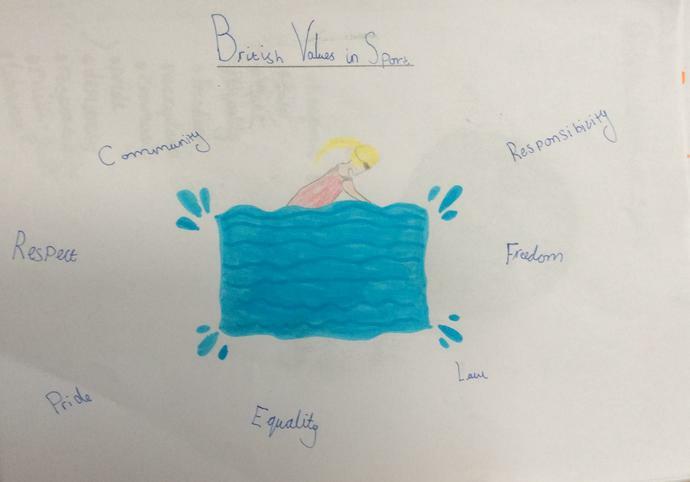 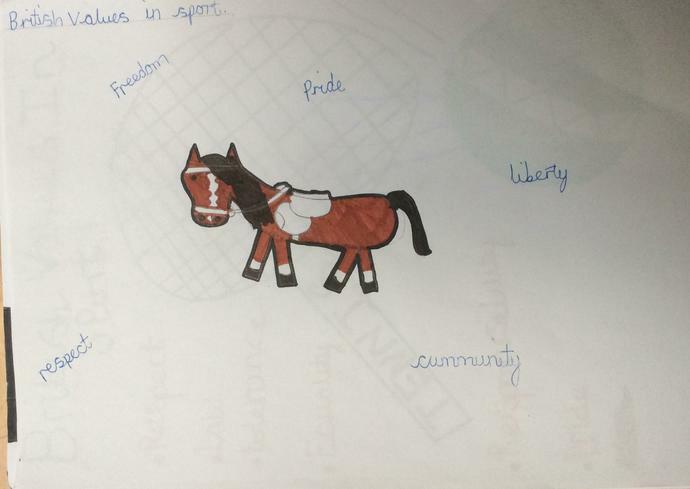 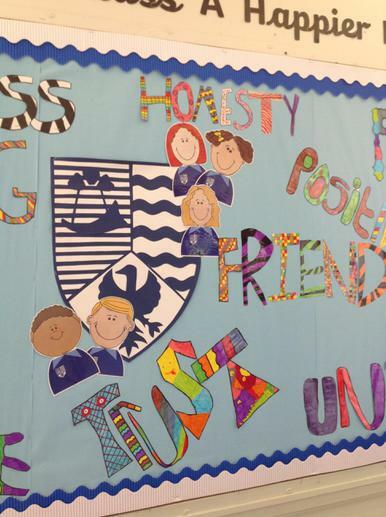 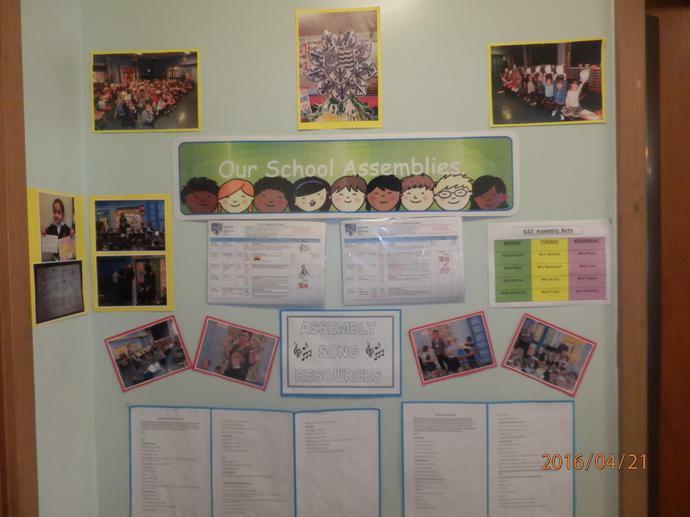 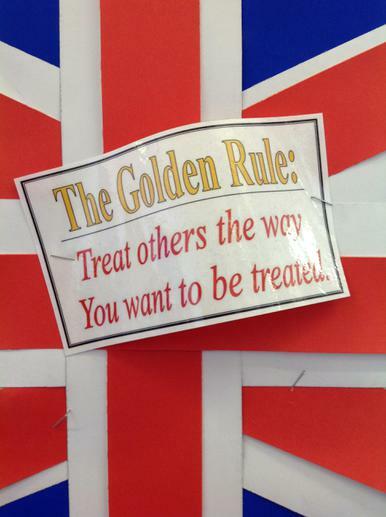 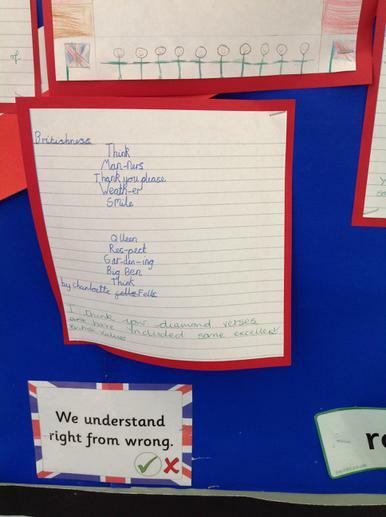 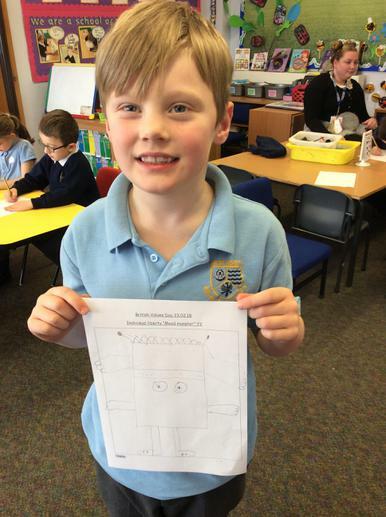 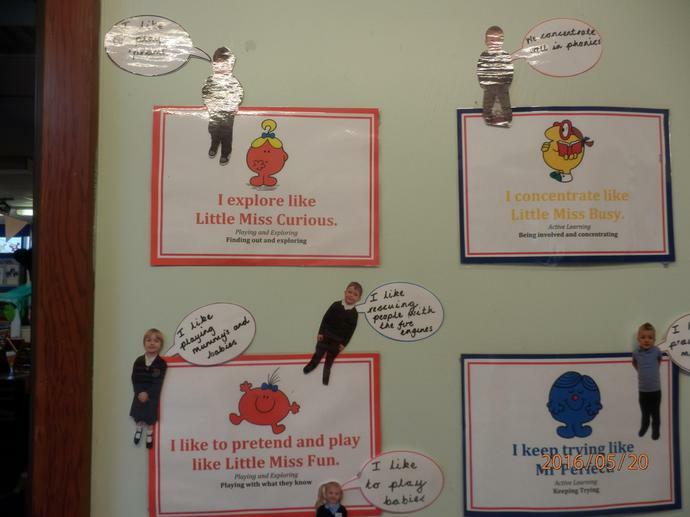 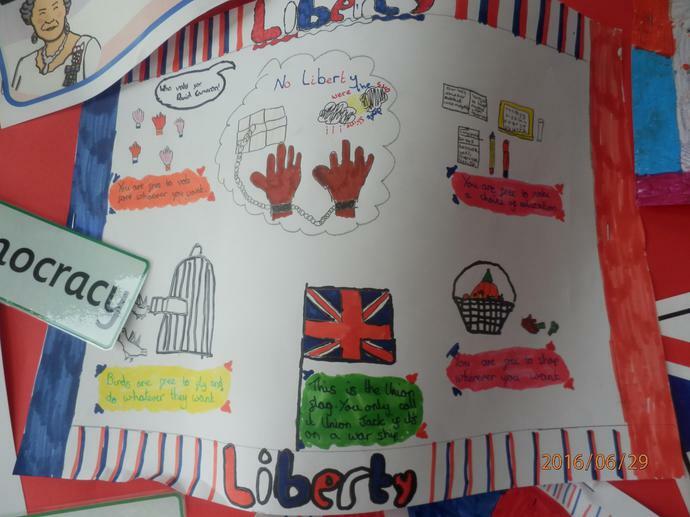 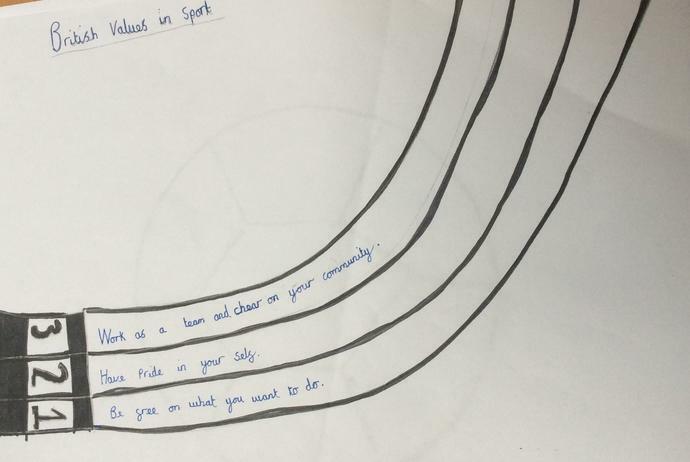 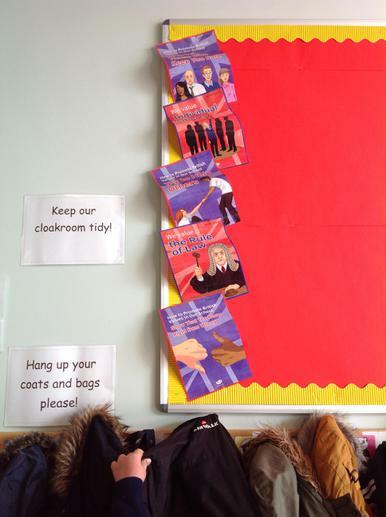 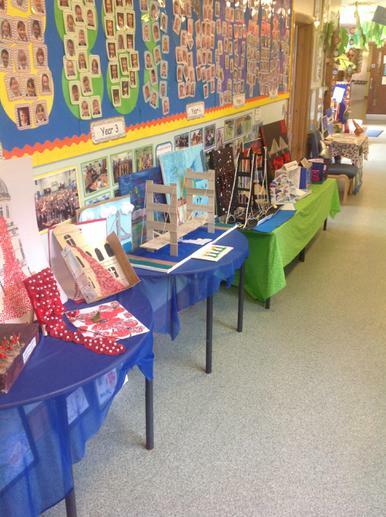 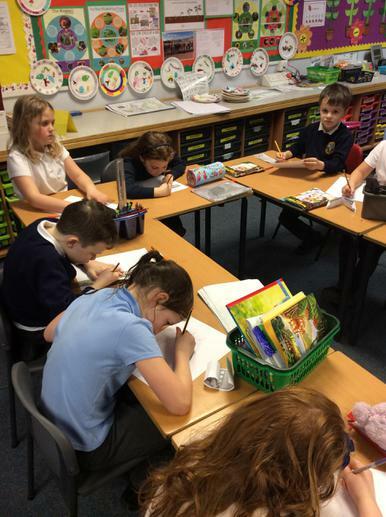 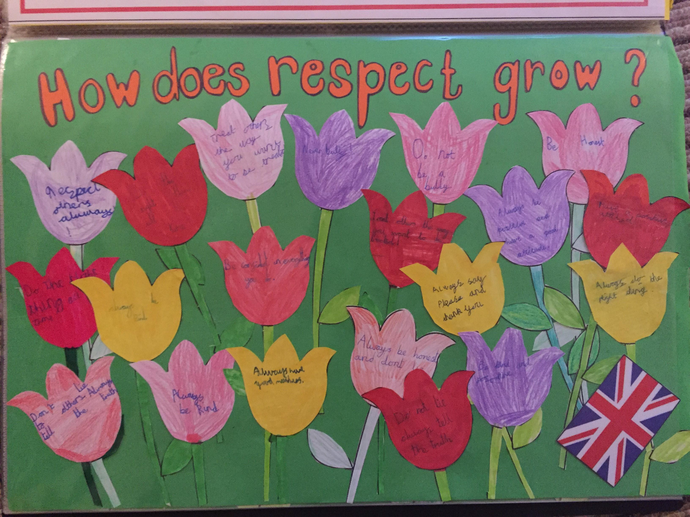 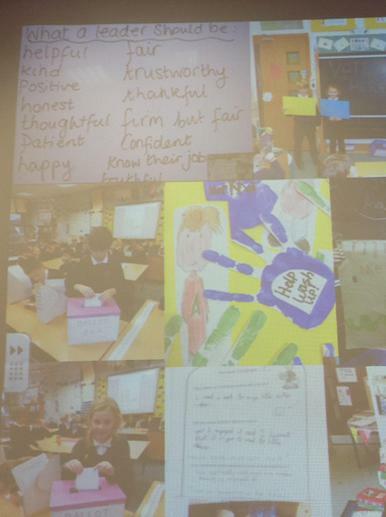 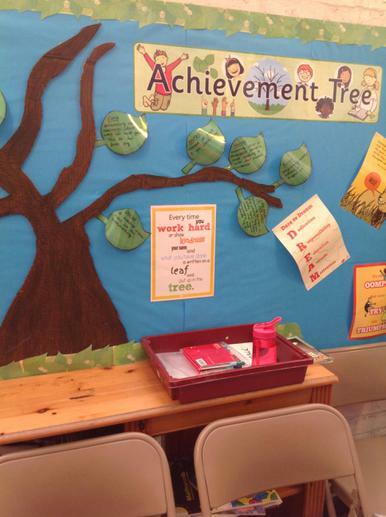 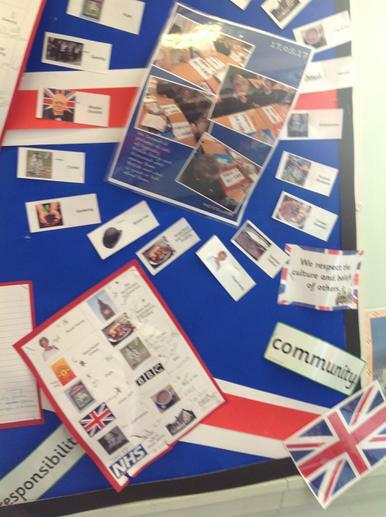 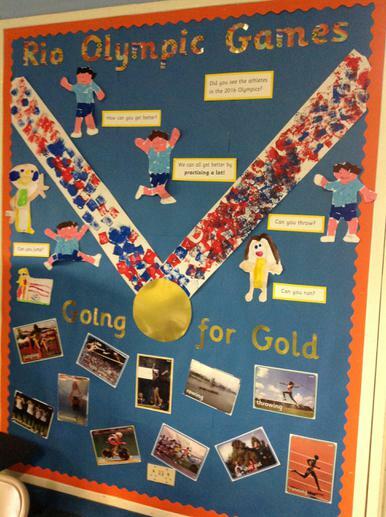 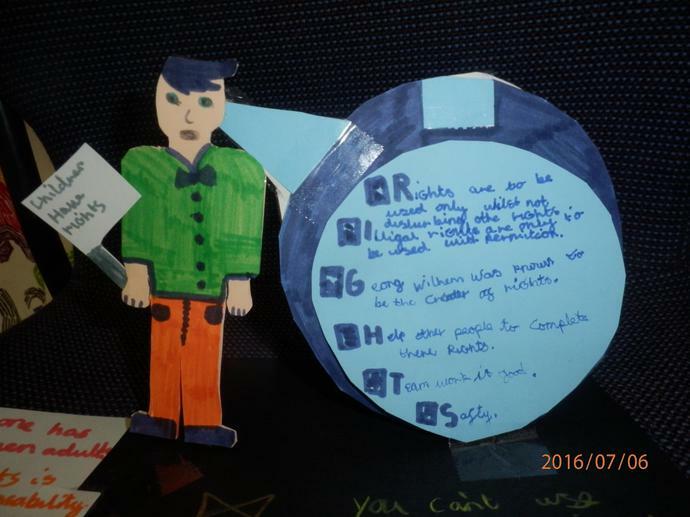 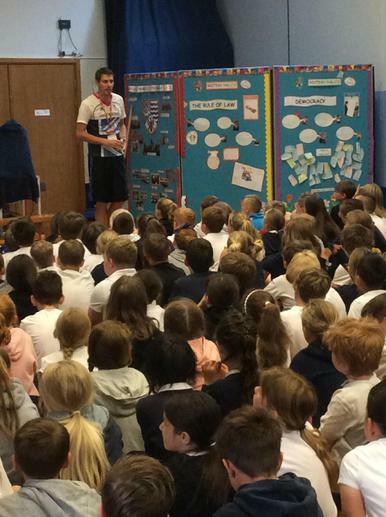 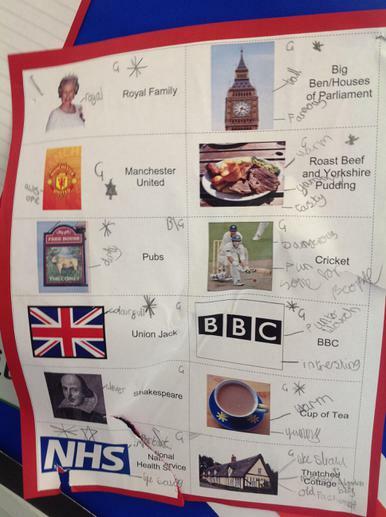 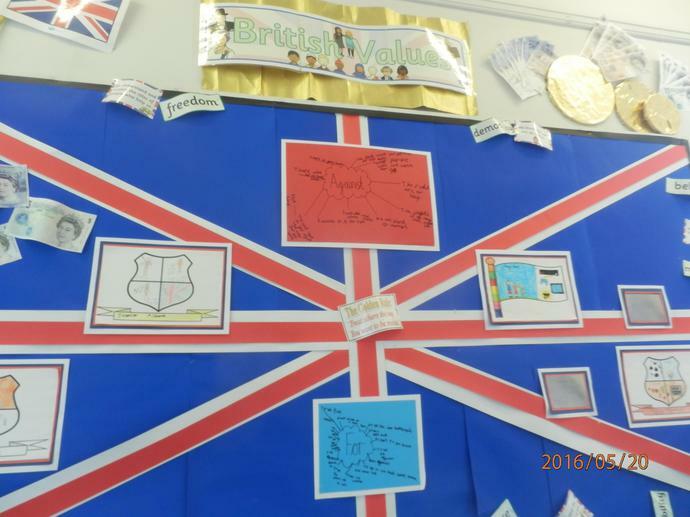 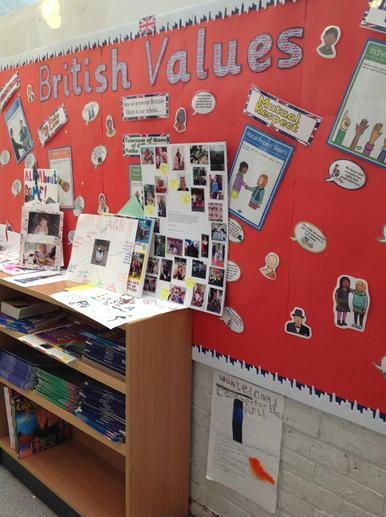 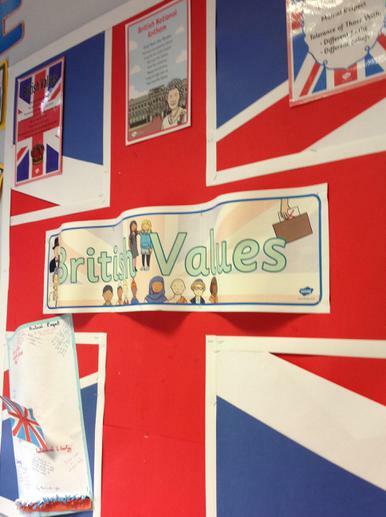 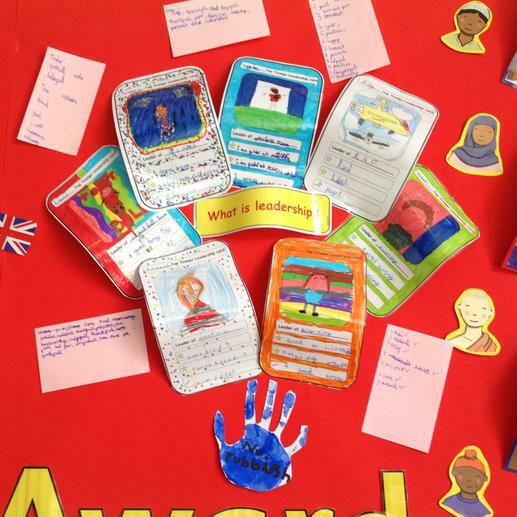 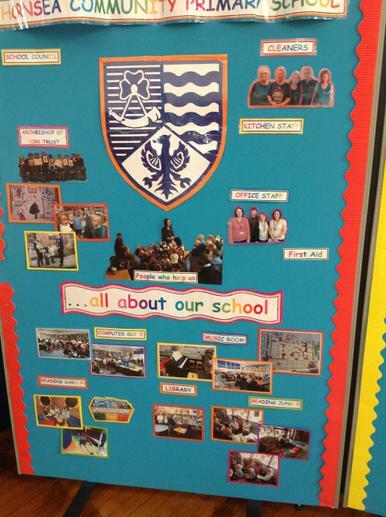 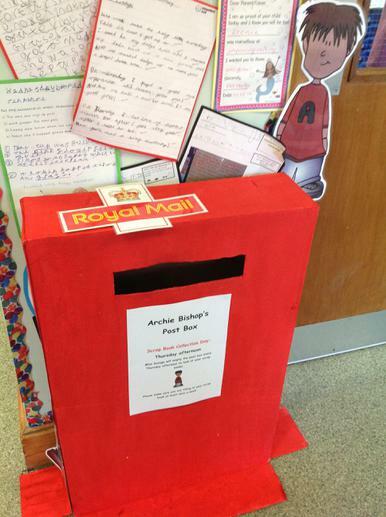 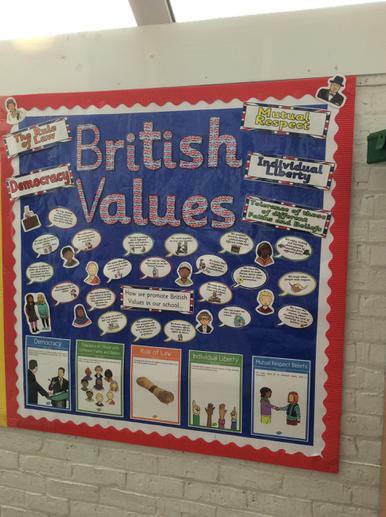 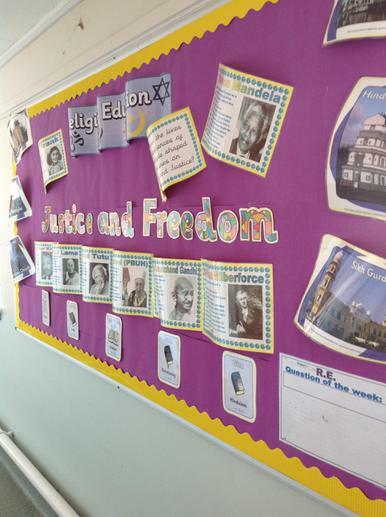 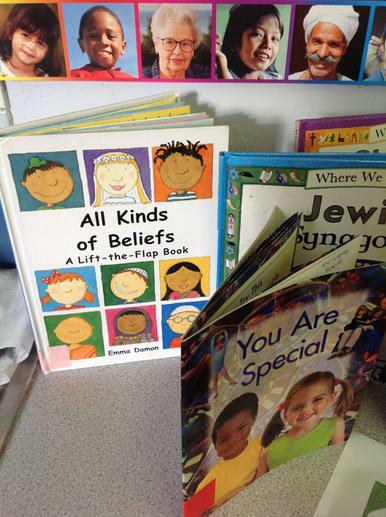 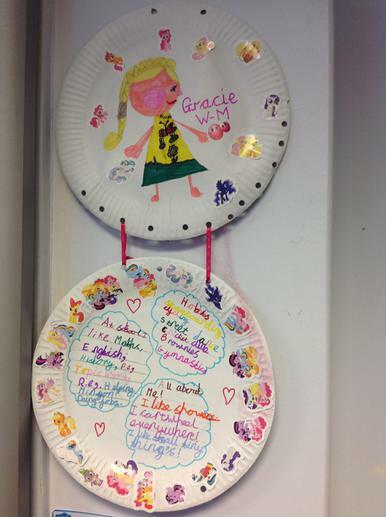 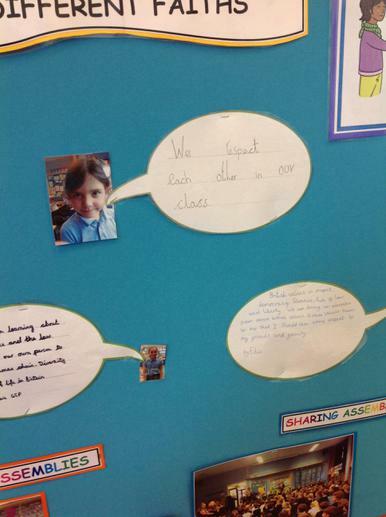 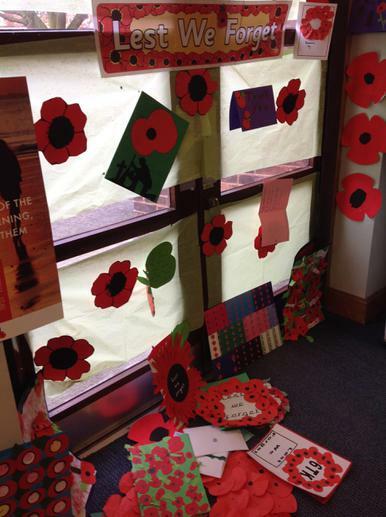 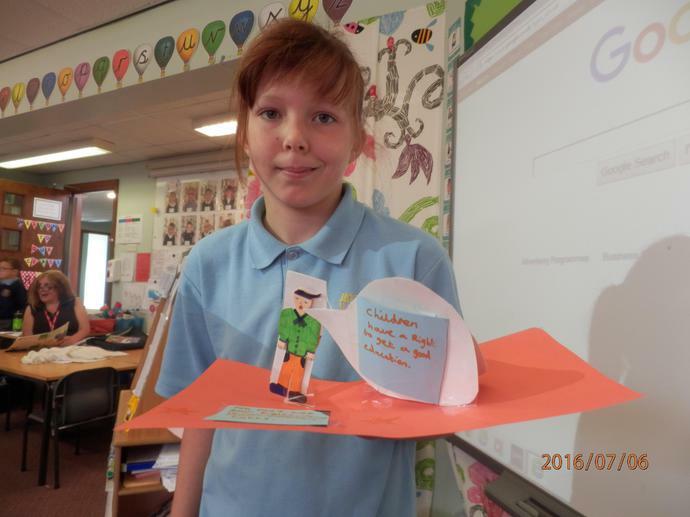 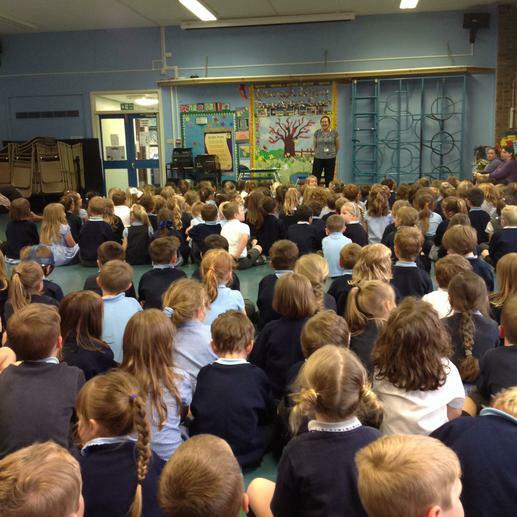 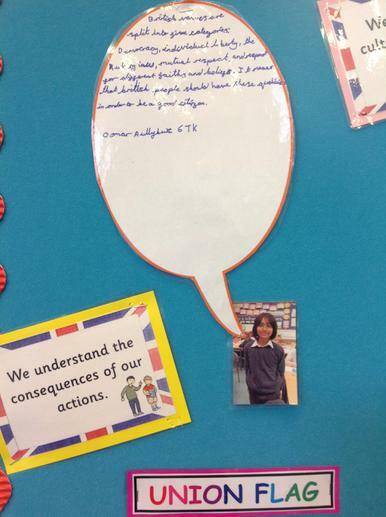 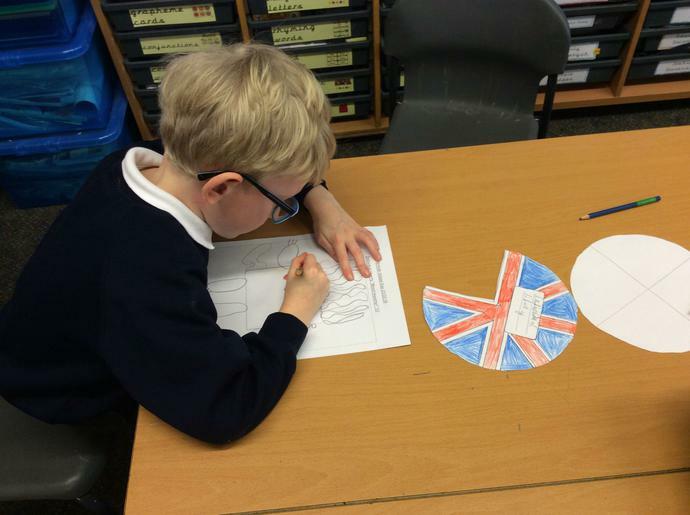 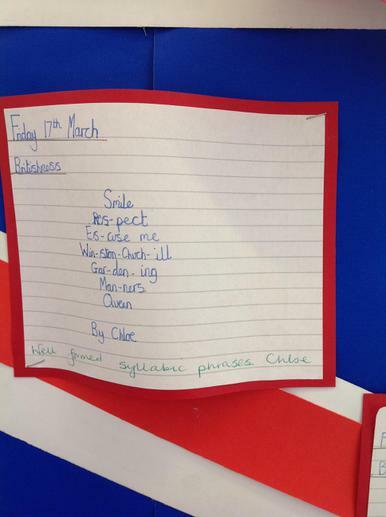 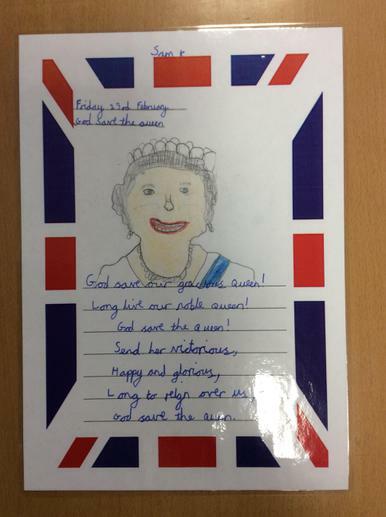 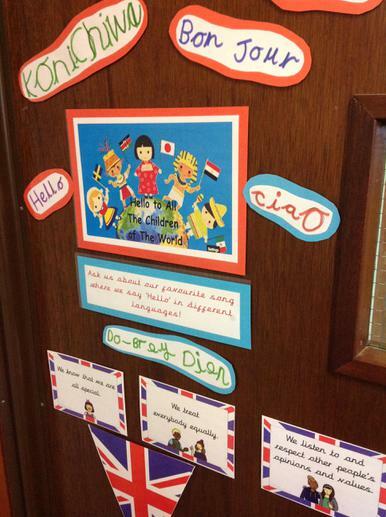 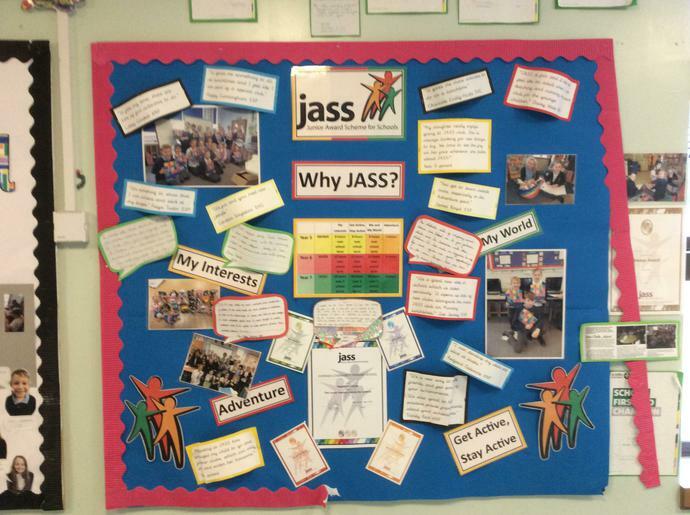 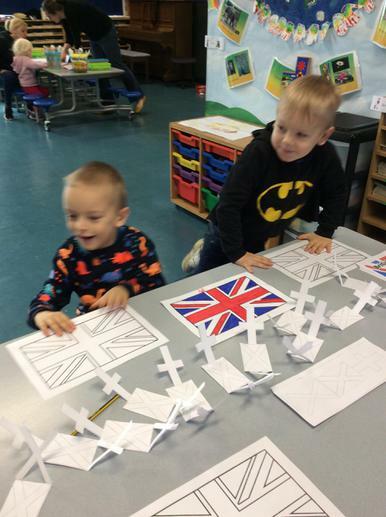 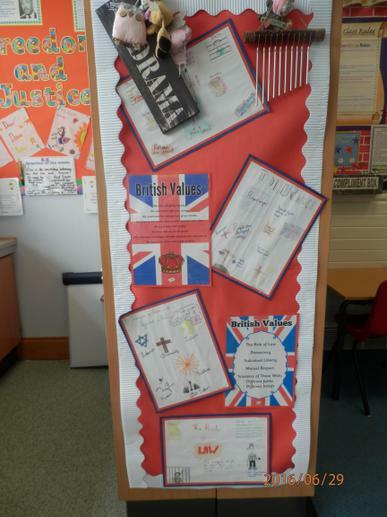 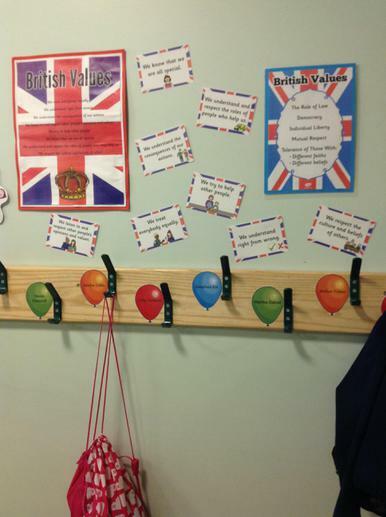 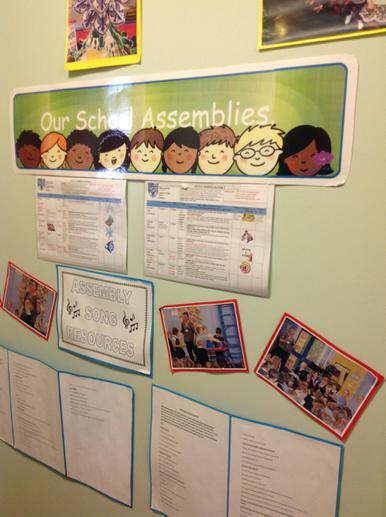 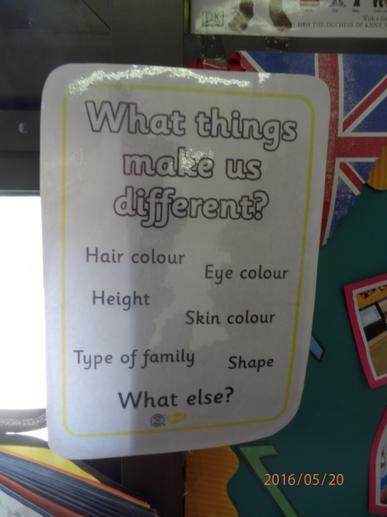 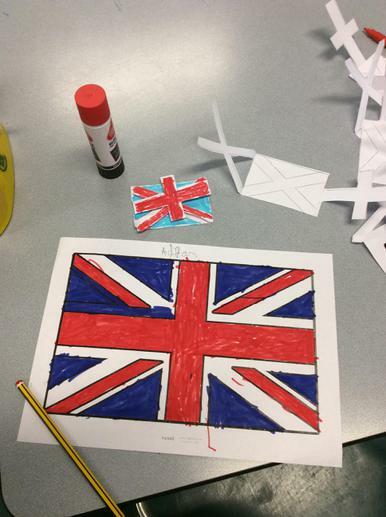 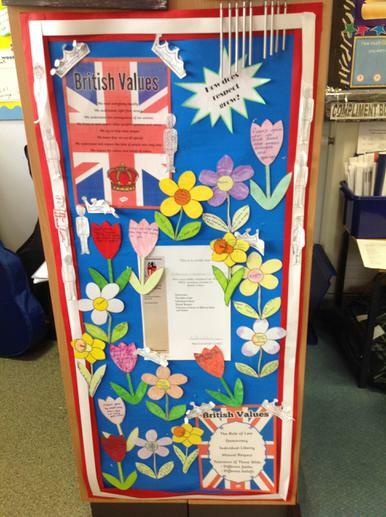 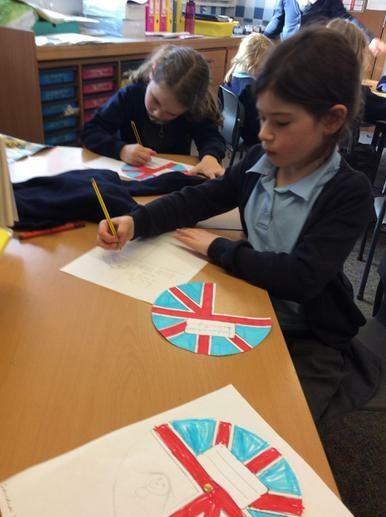 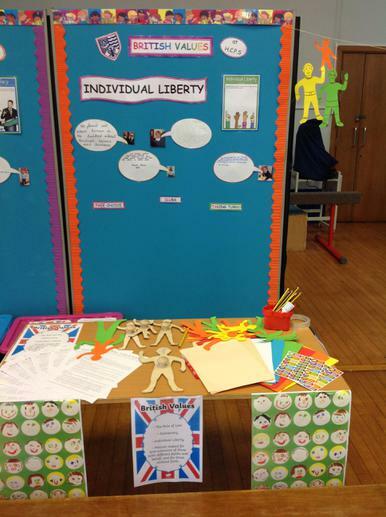 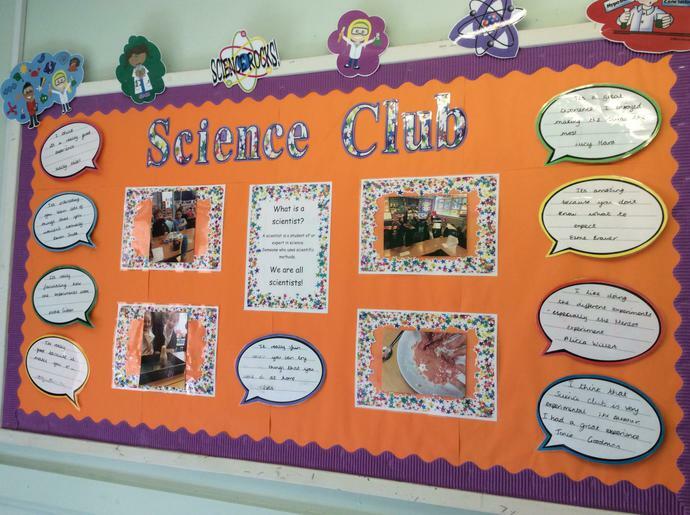 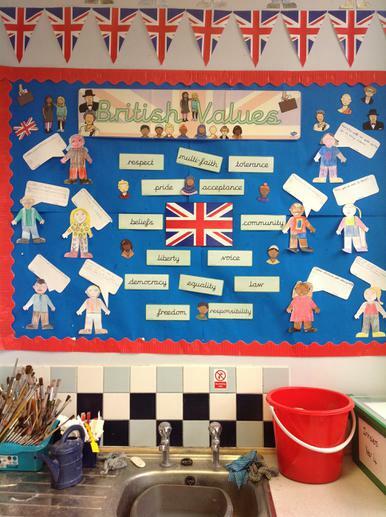 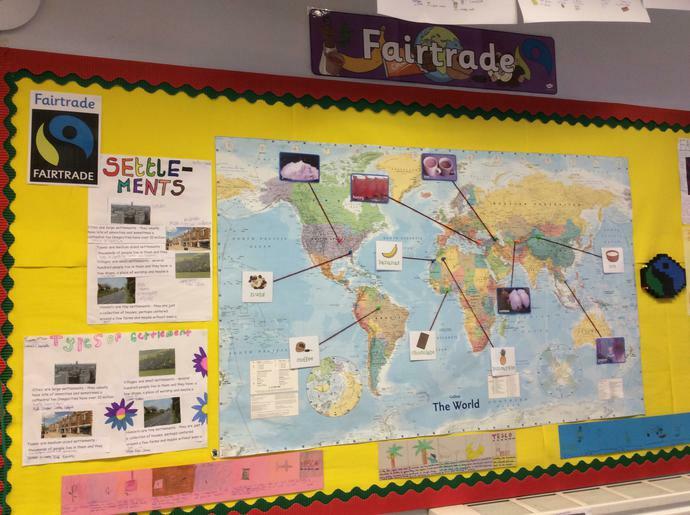 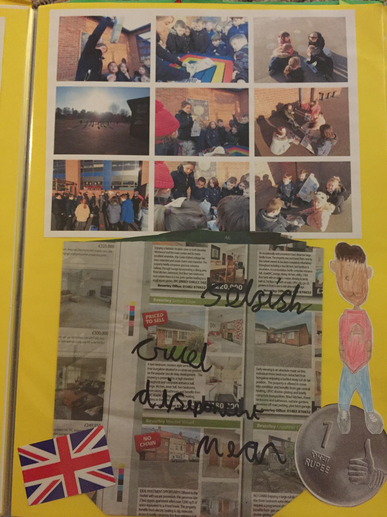 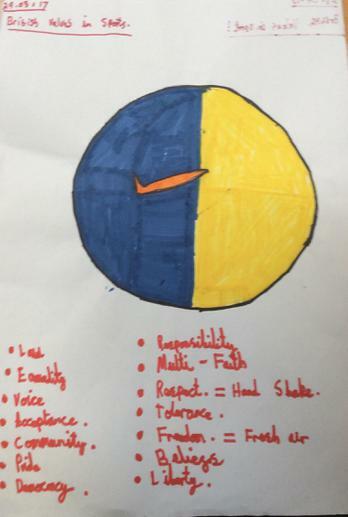 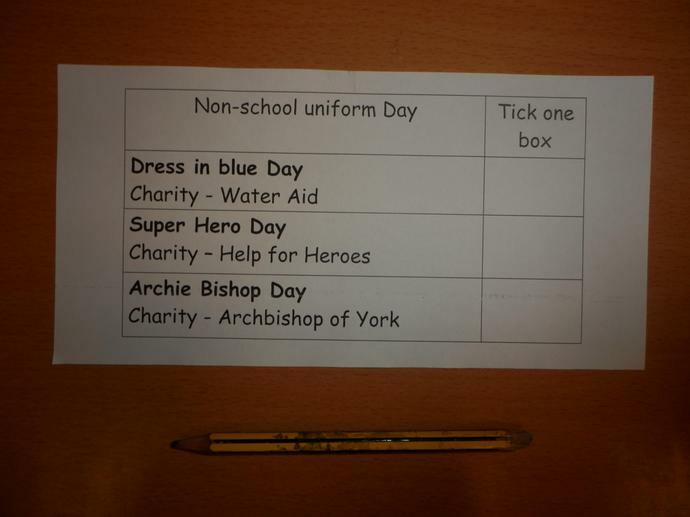 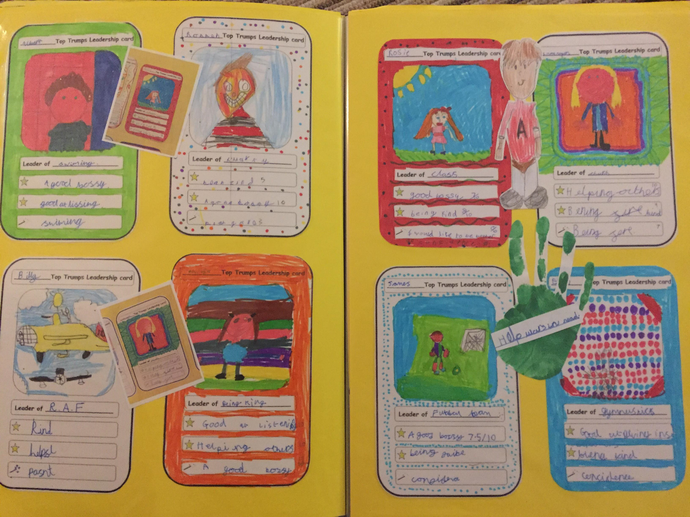 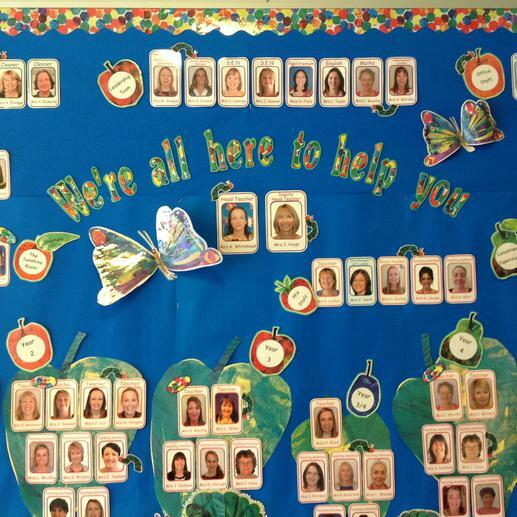 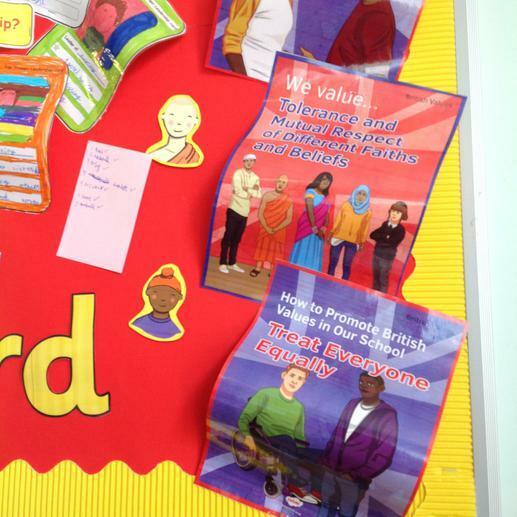 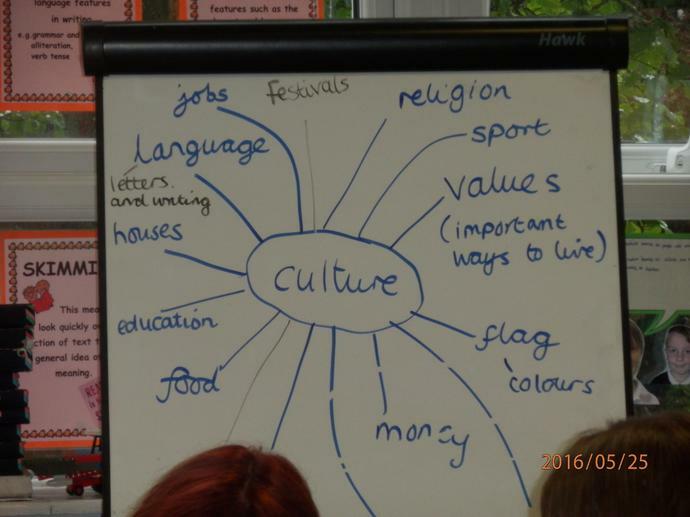 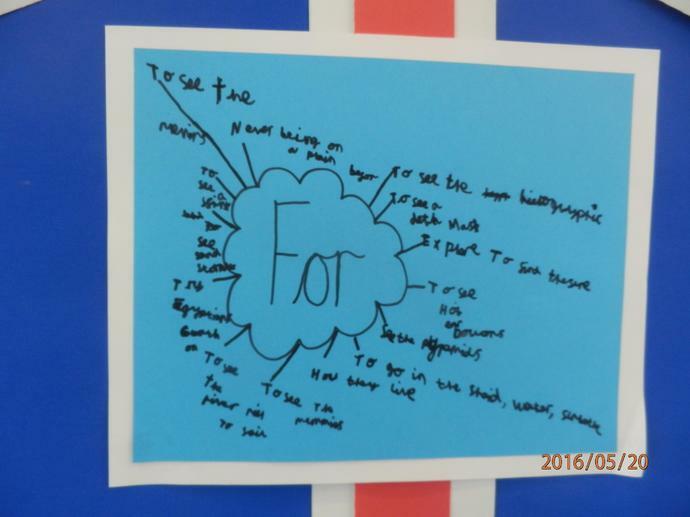 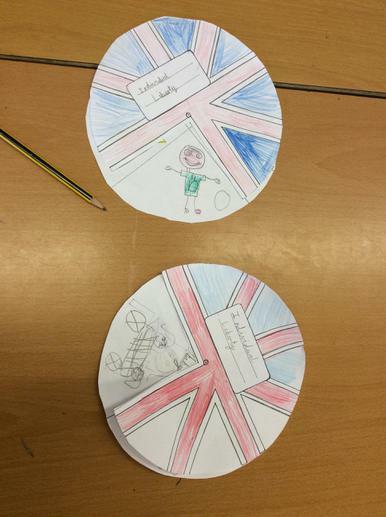 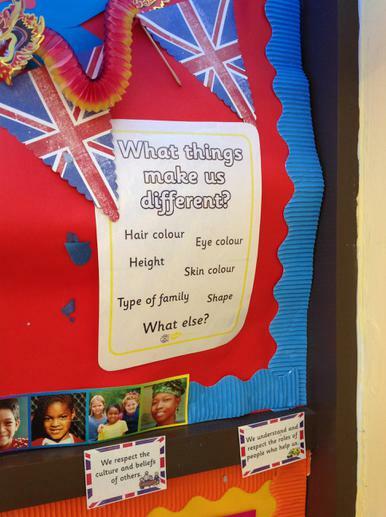 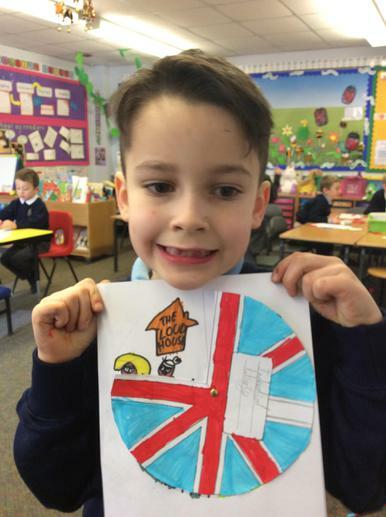 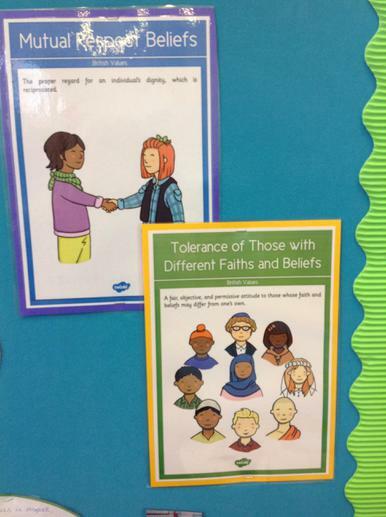 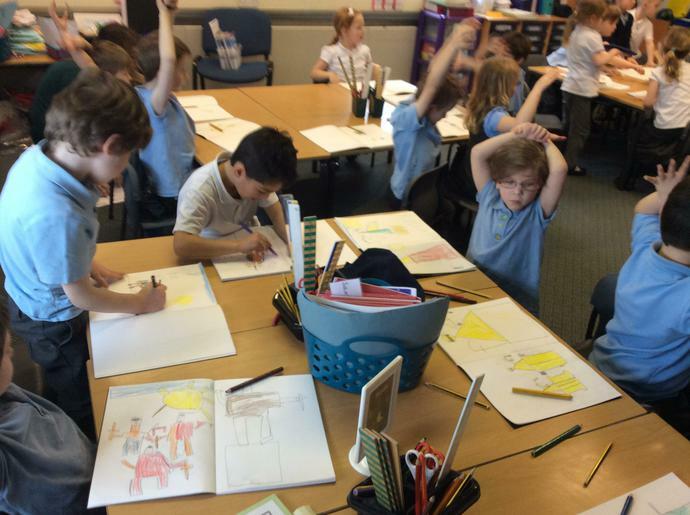 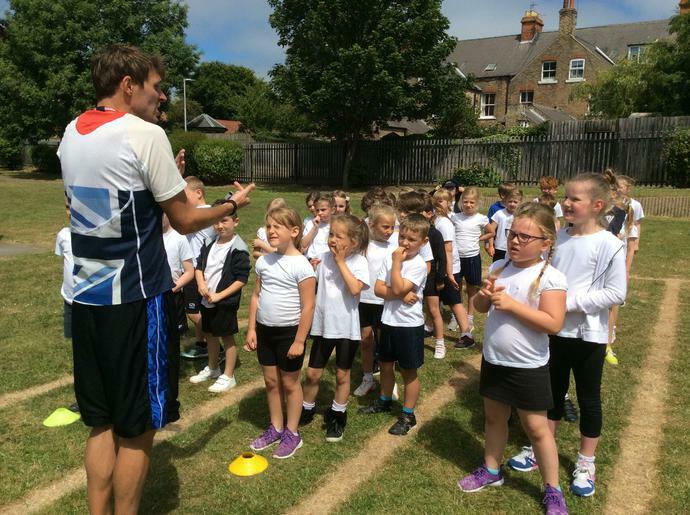 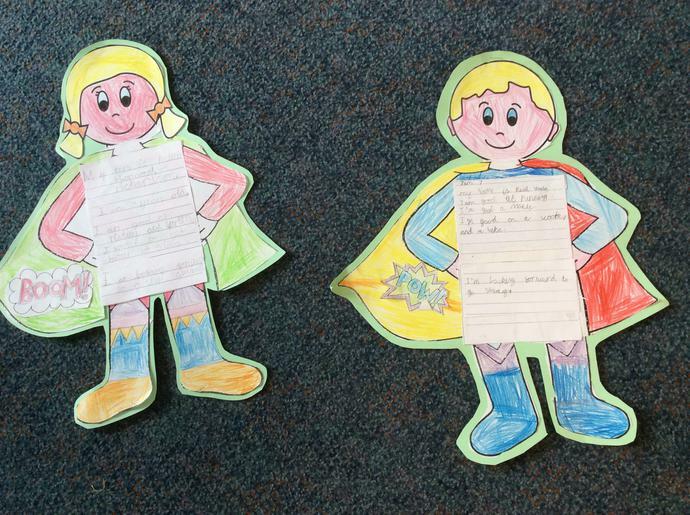 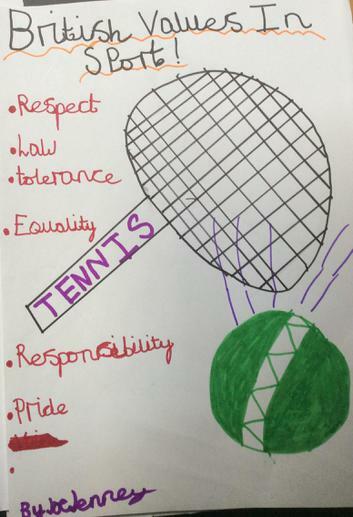 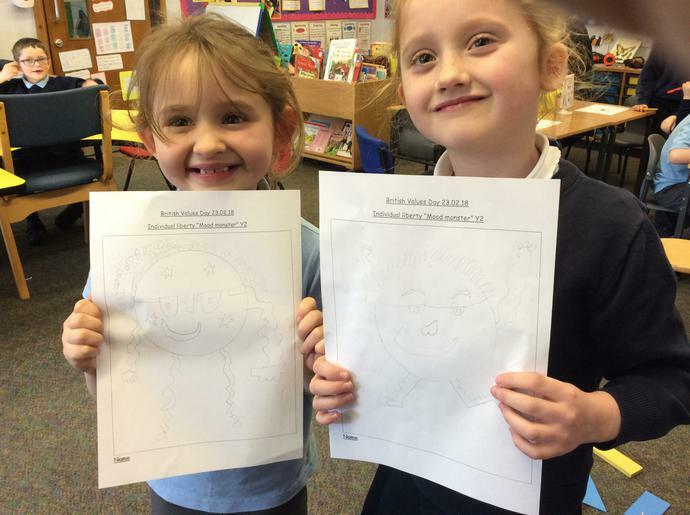 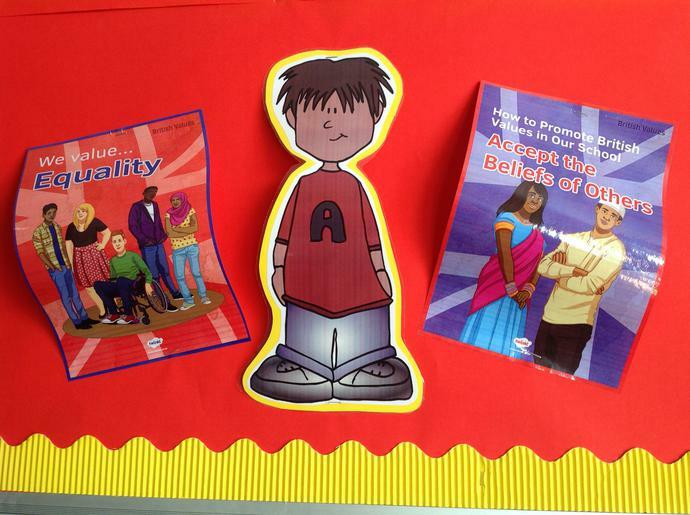 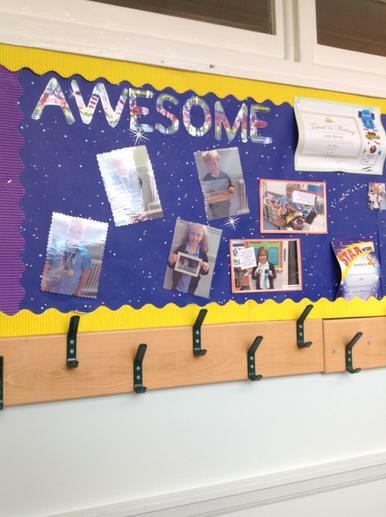 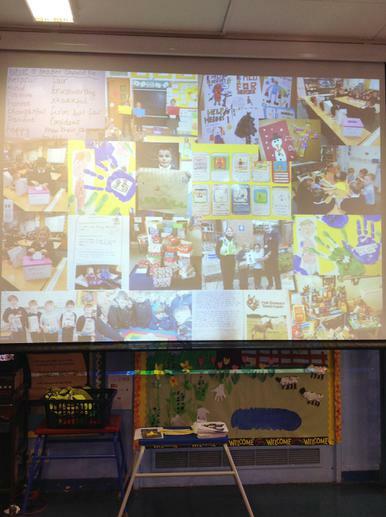 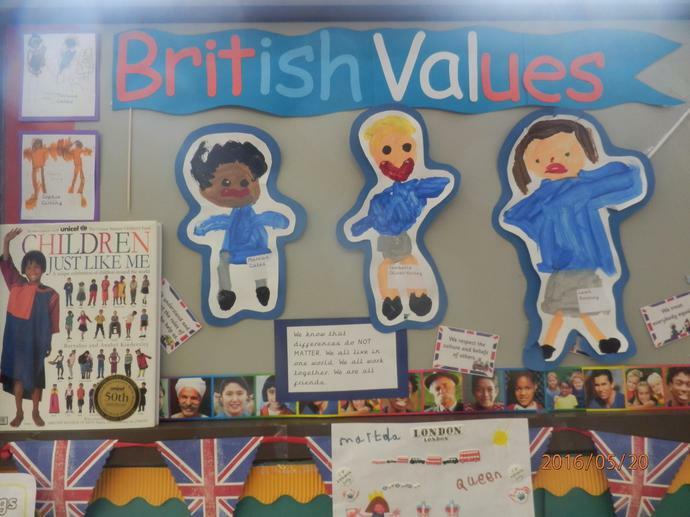 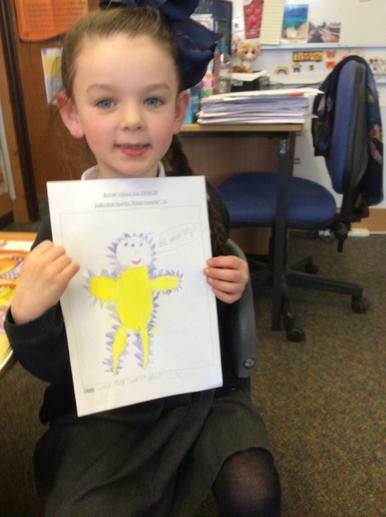 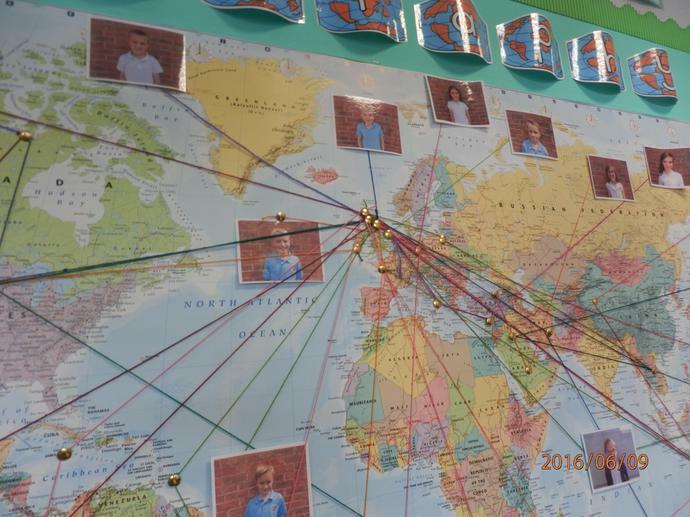 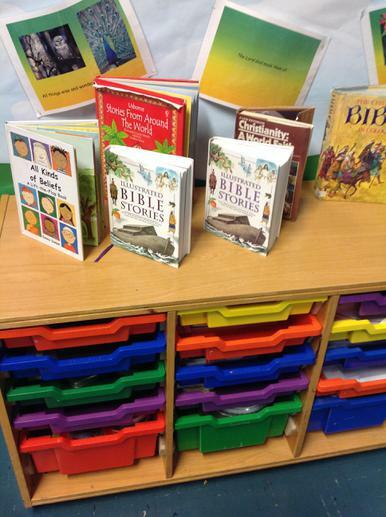 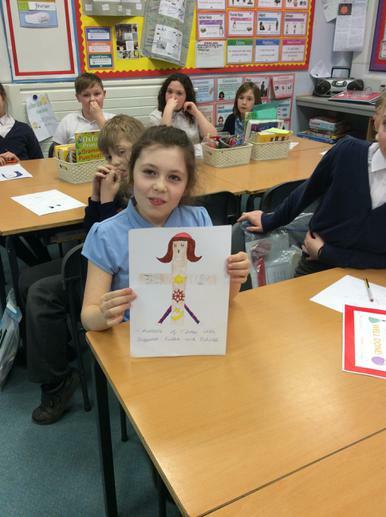 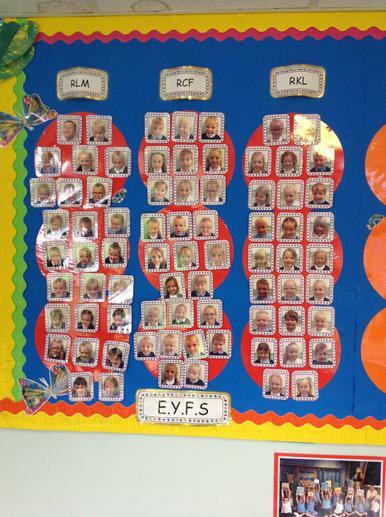 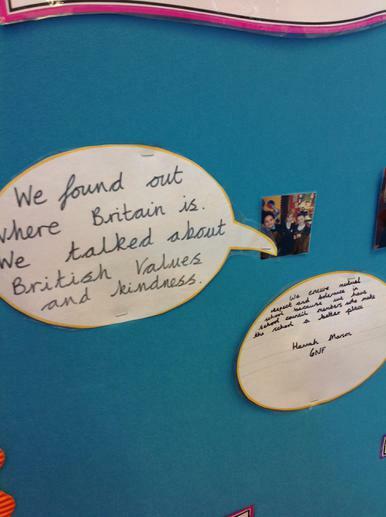 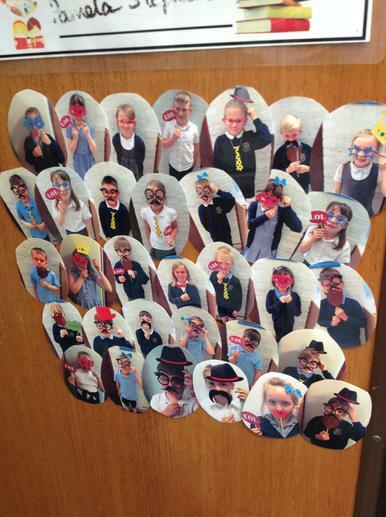 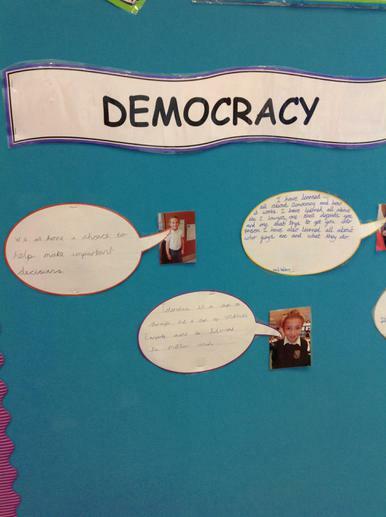 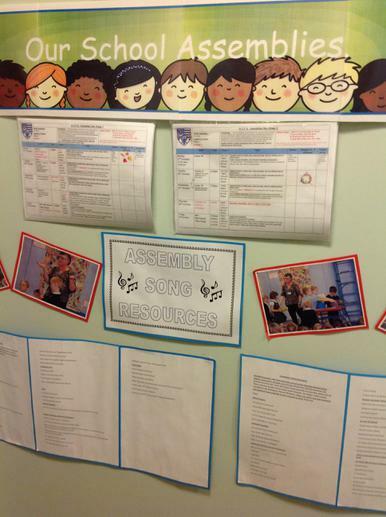 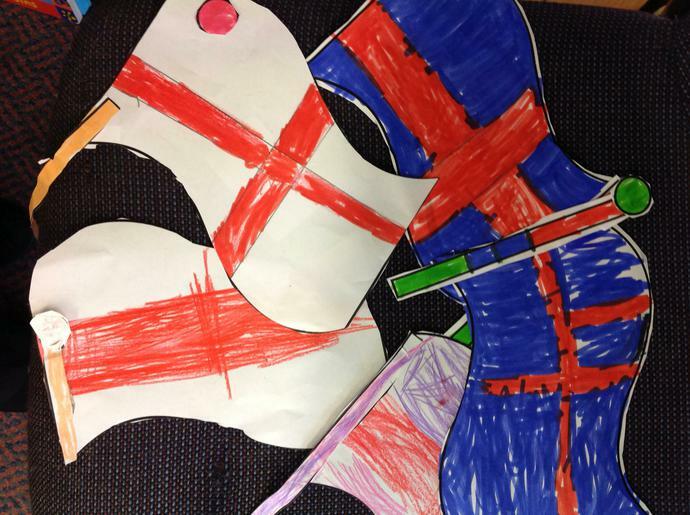 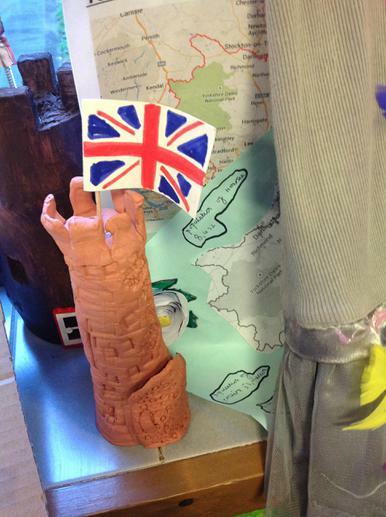 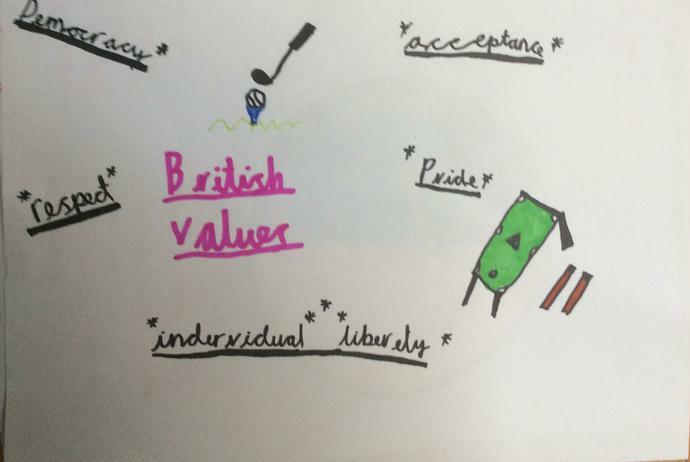 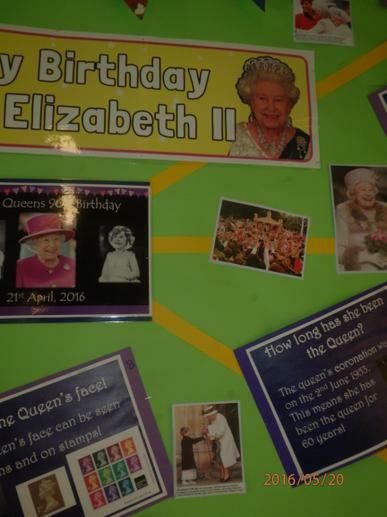 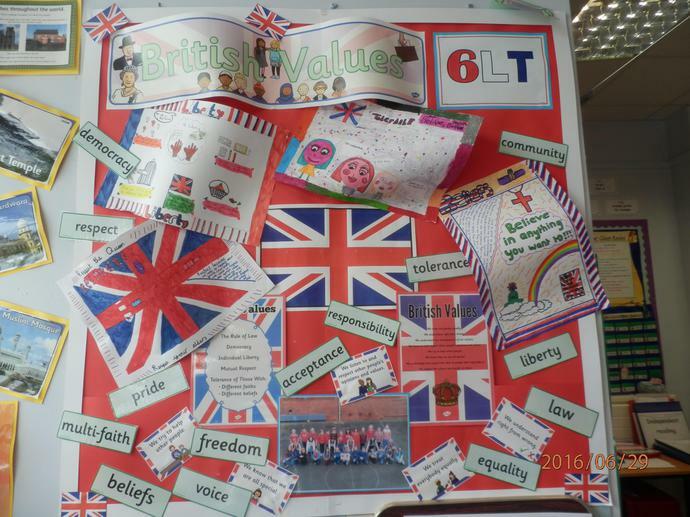 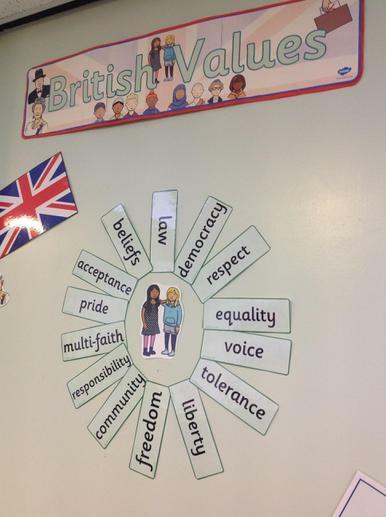 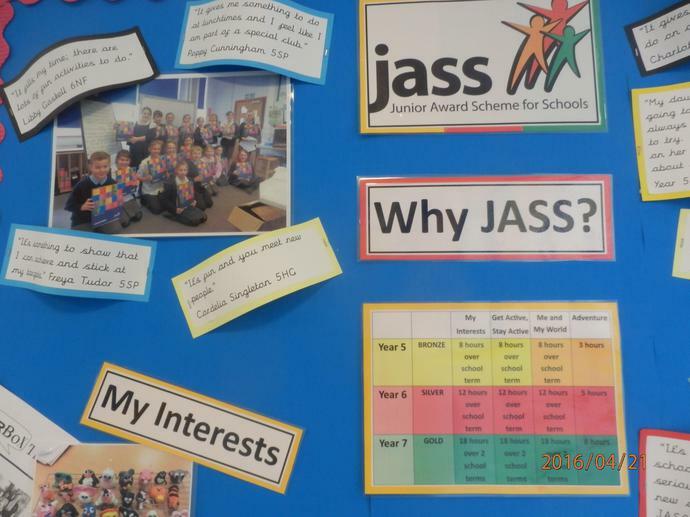 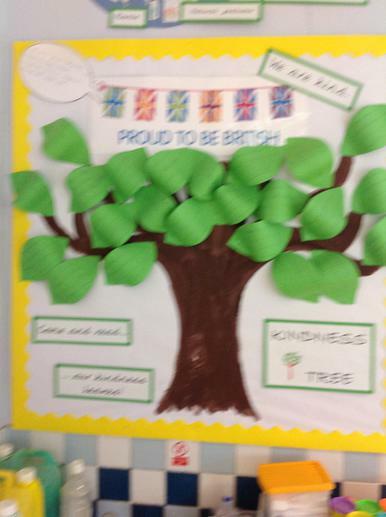 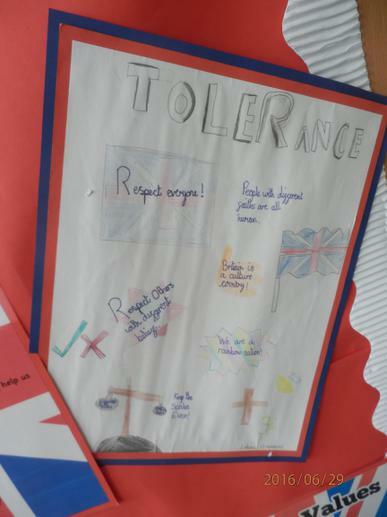 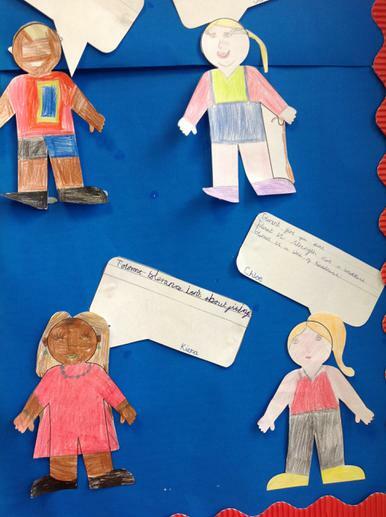 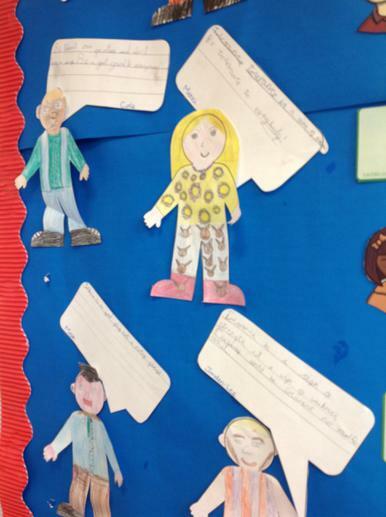 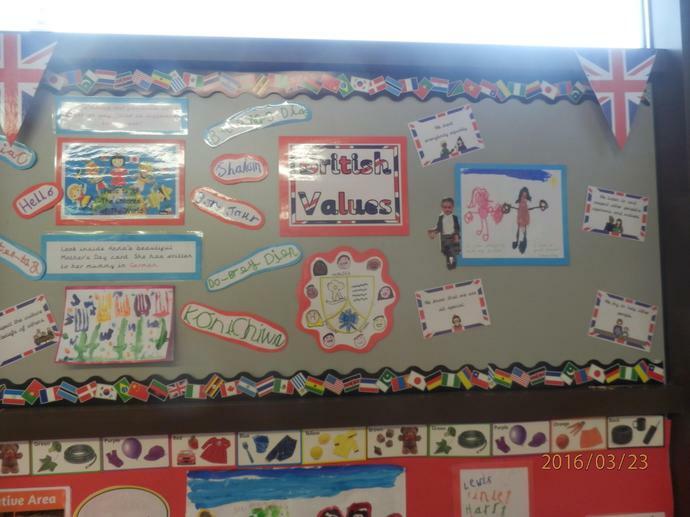 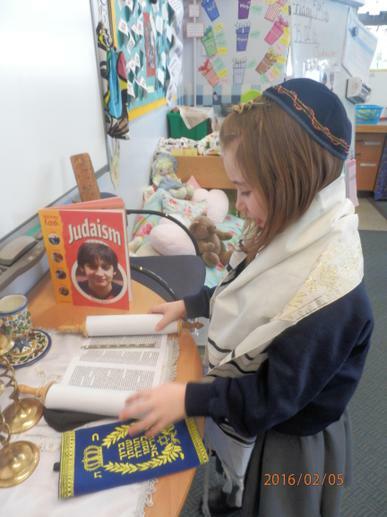 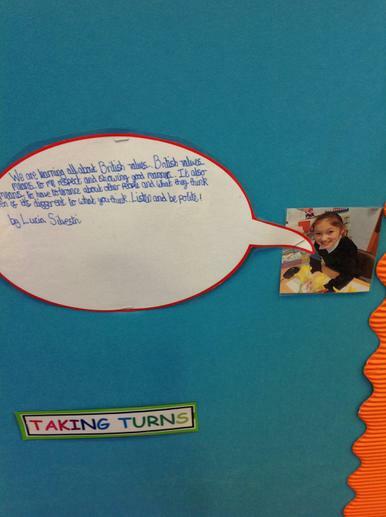 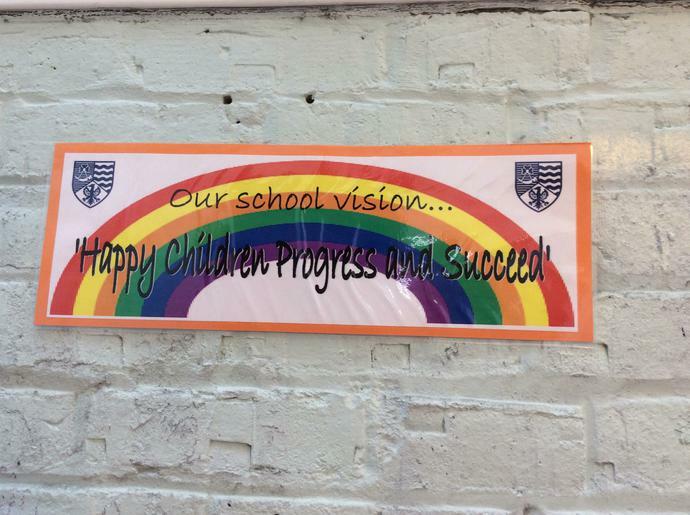 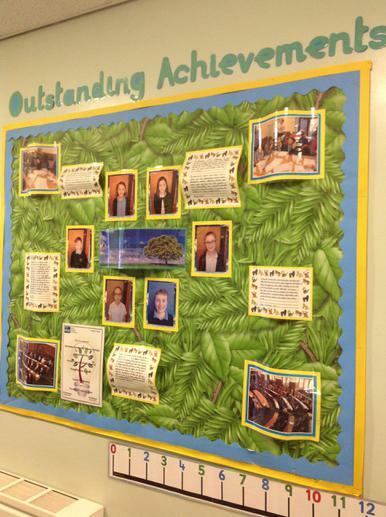 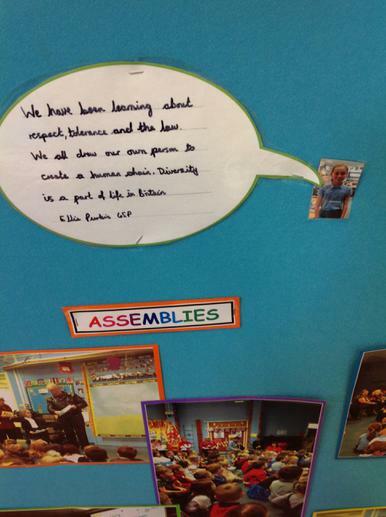 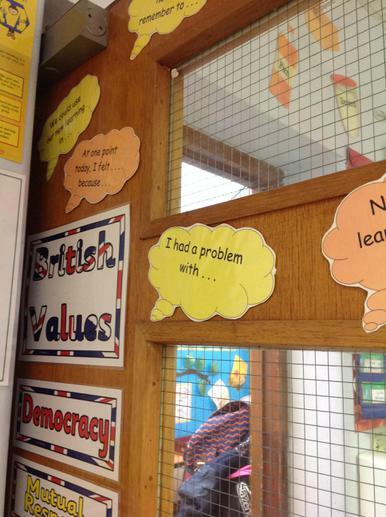 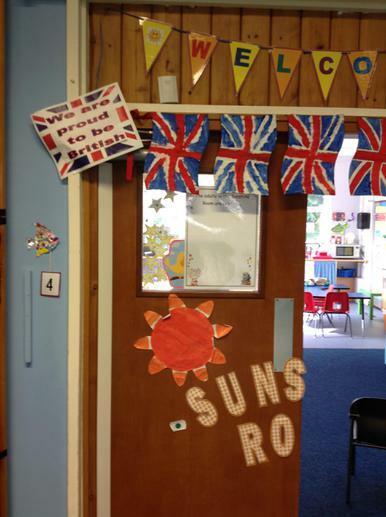 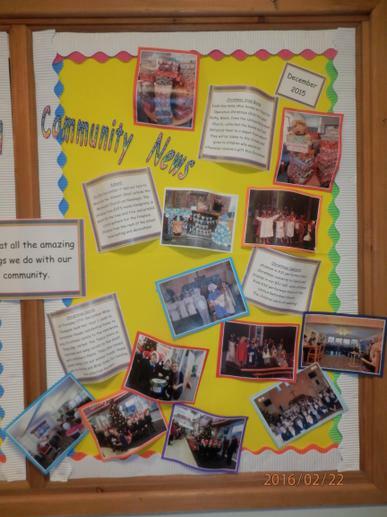 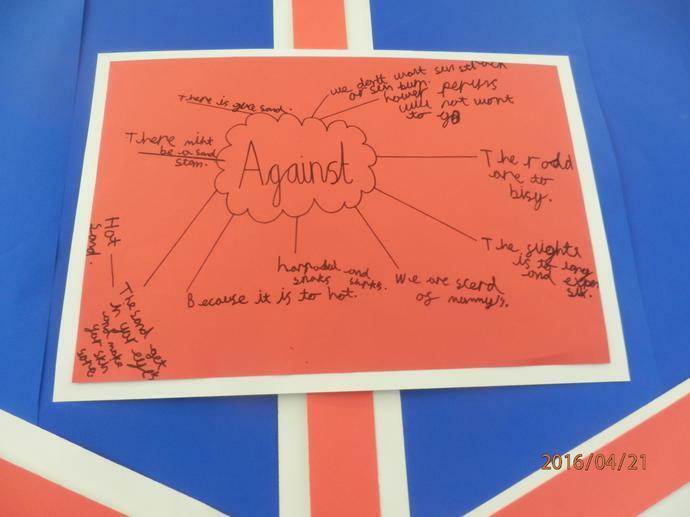 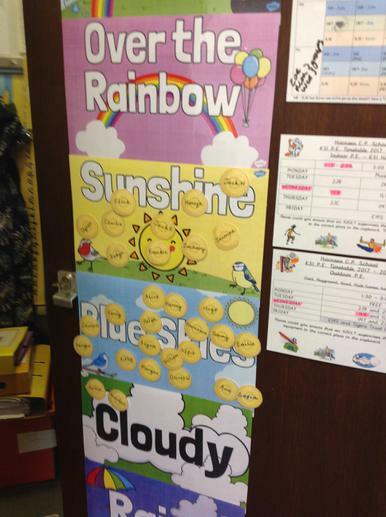 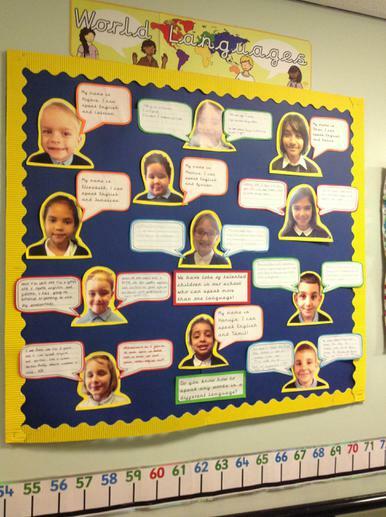 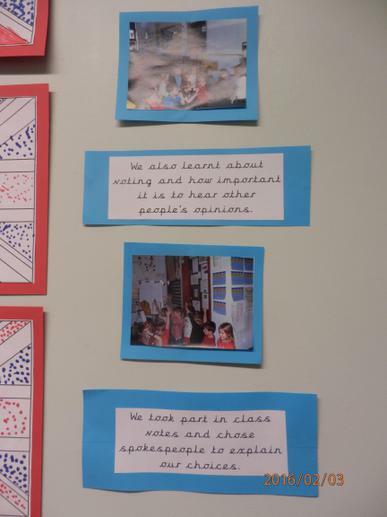 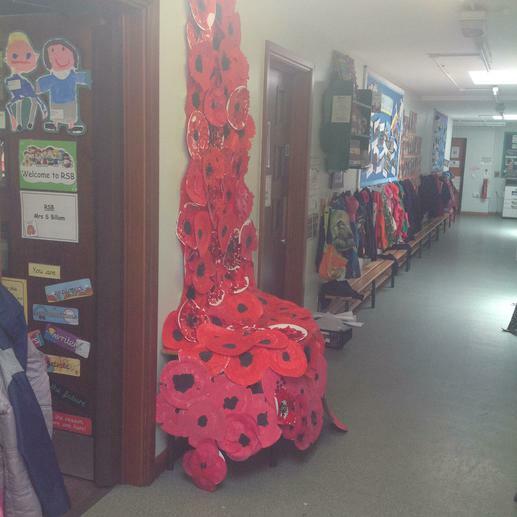 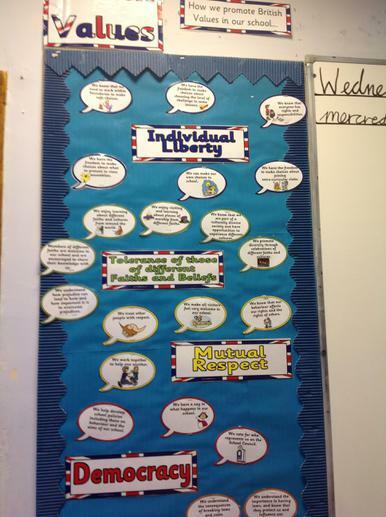 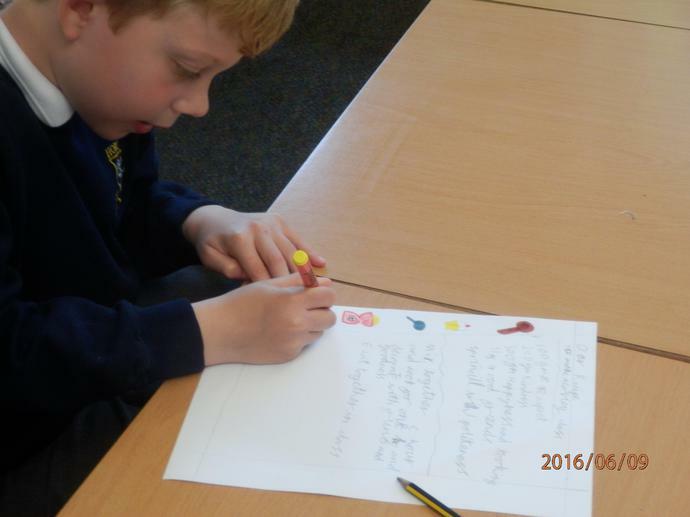 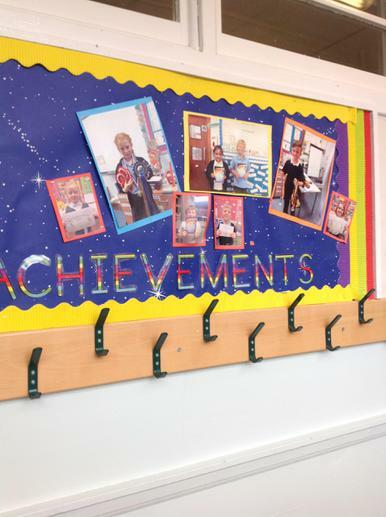 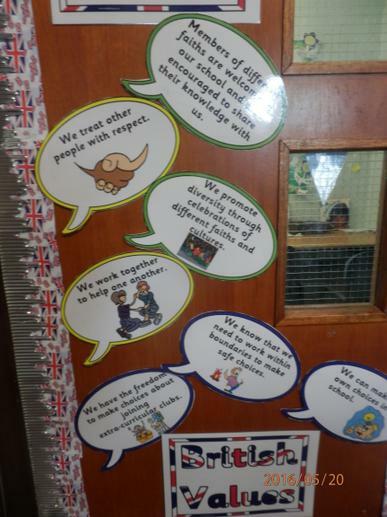 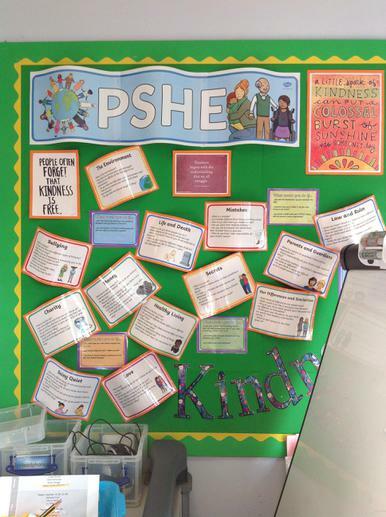 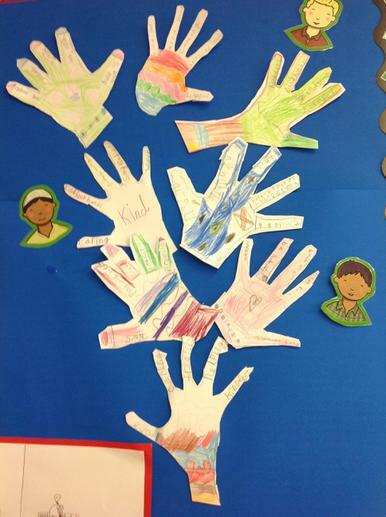 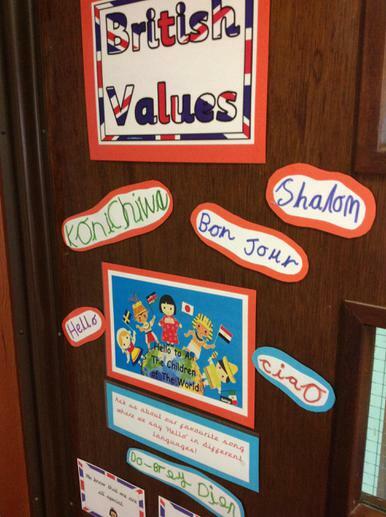 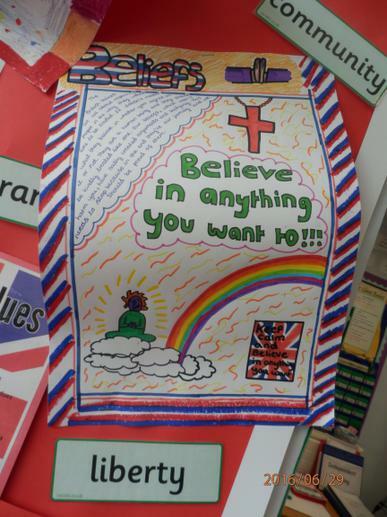 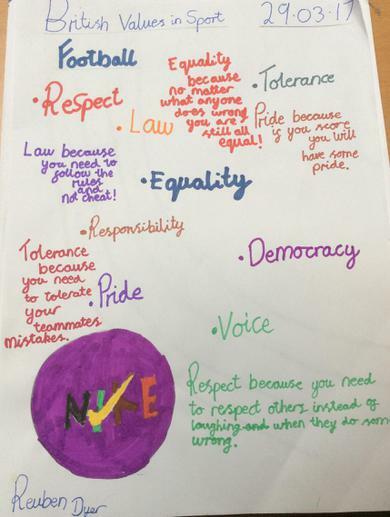 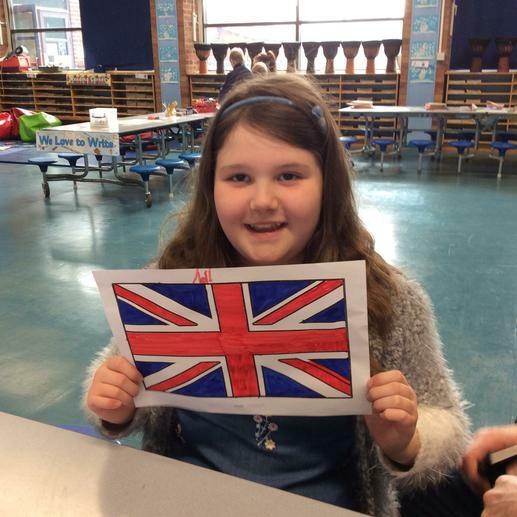 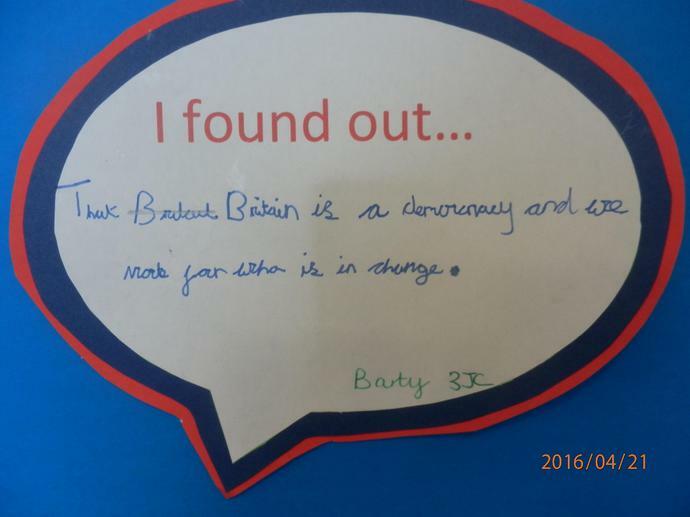 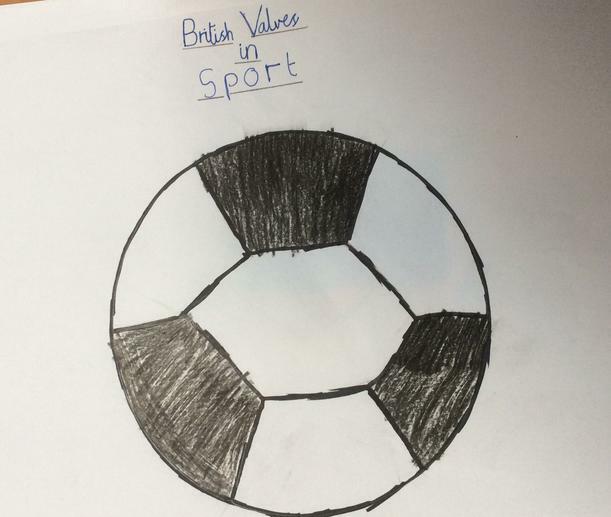 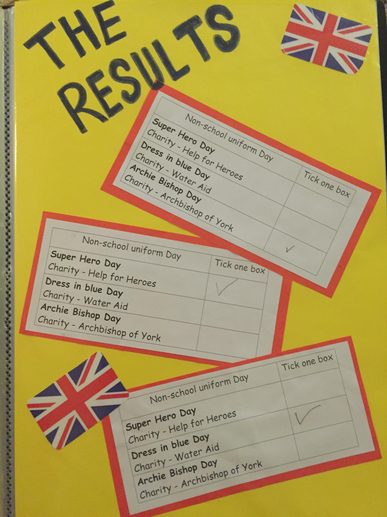 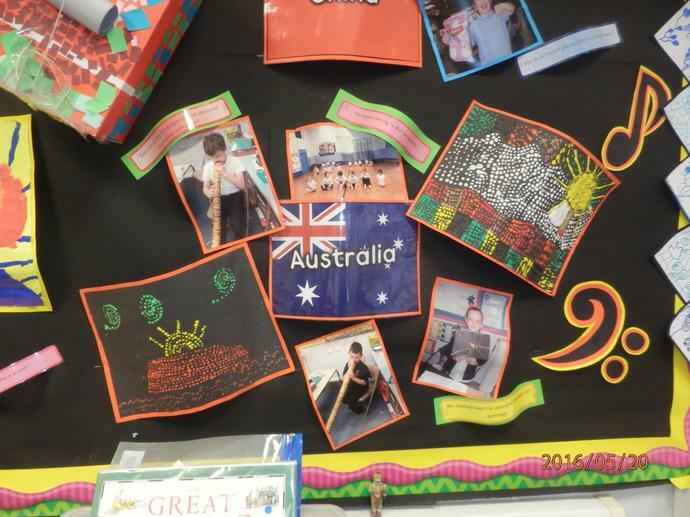 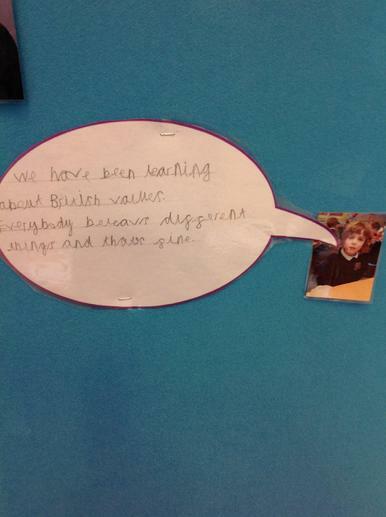 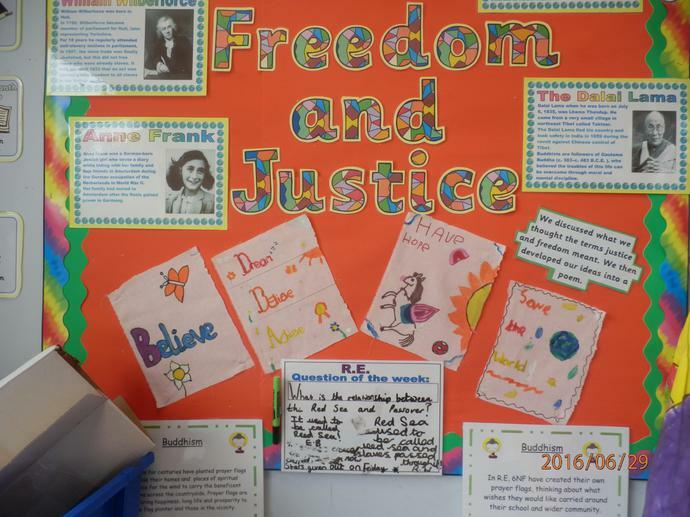 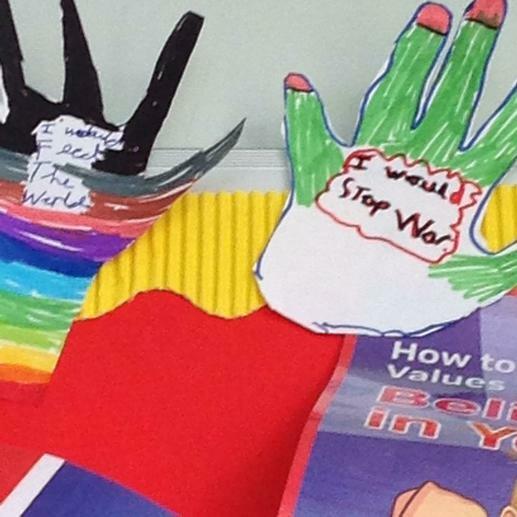 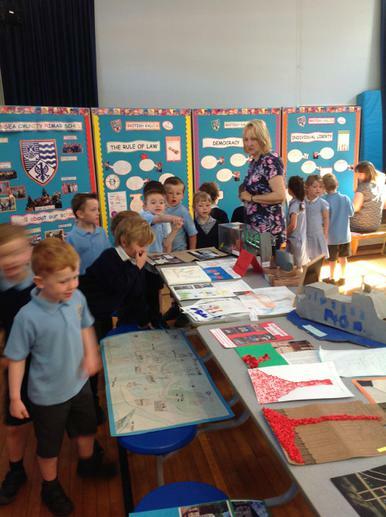 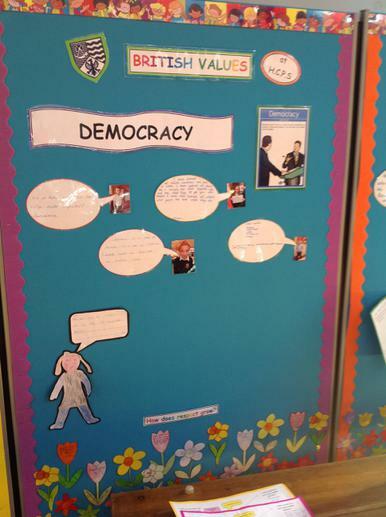 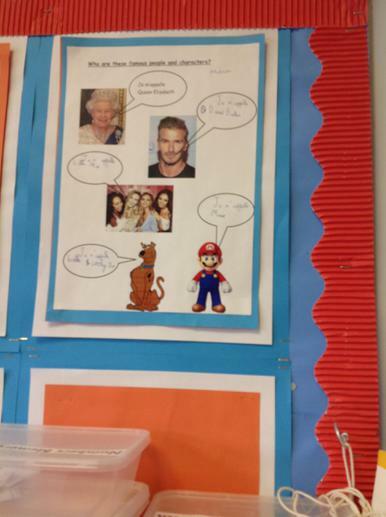 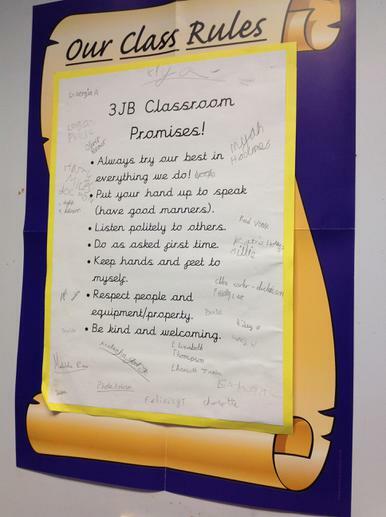 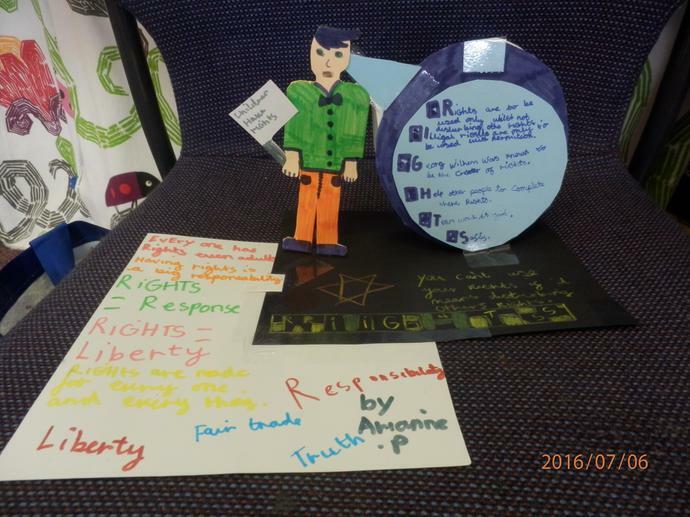 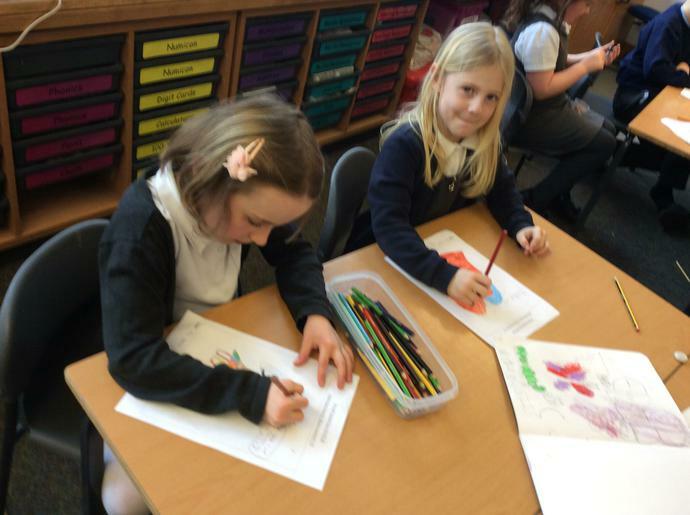 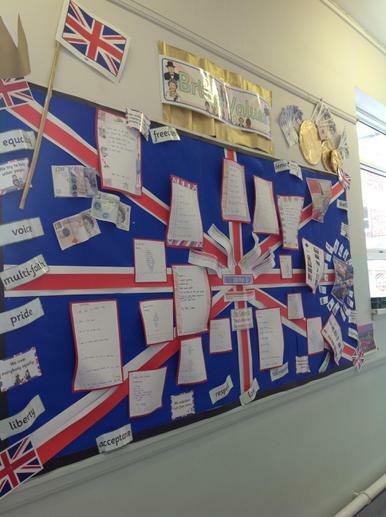 The children have been learning about British Values throughout their school curriculum and activities. 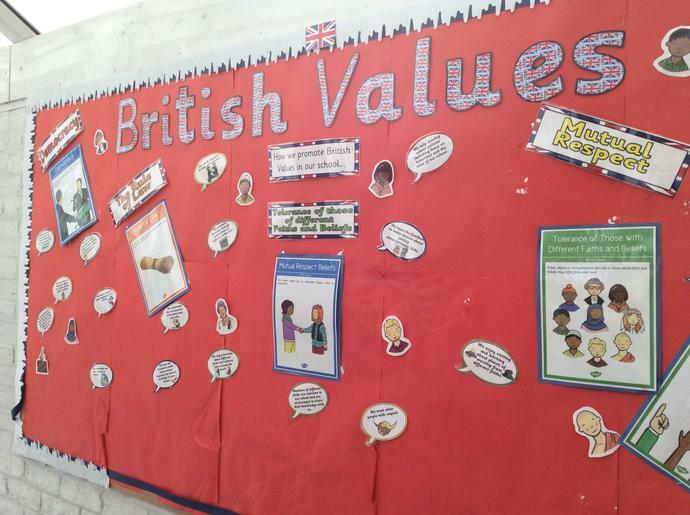 British Values Day 17th March. 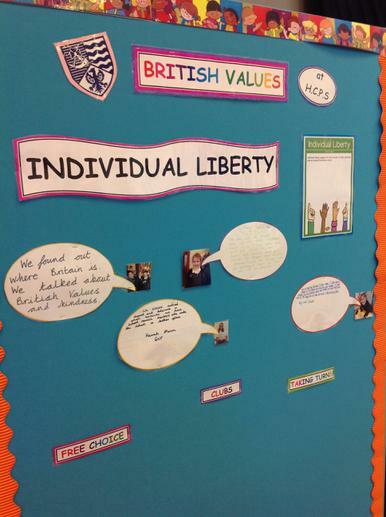 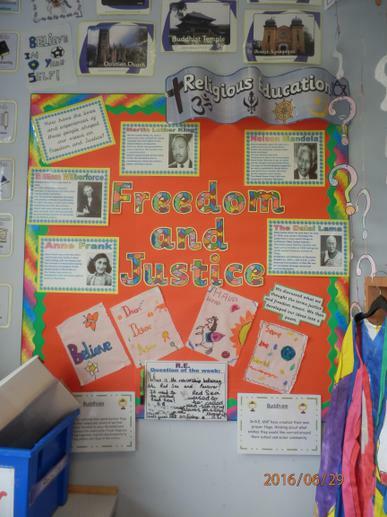 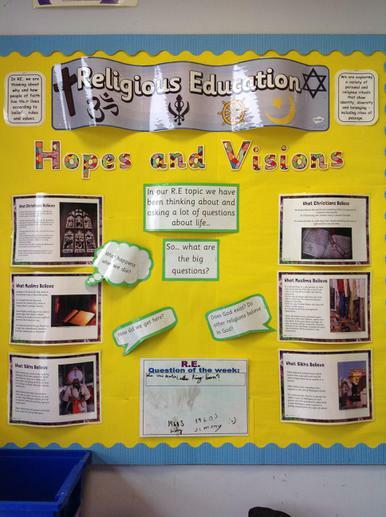 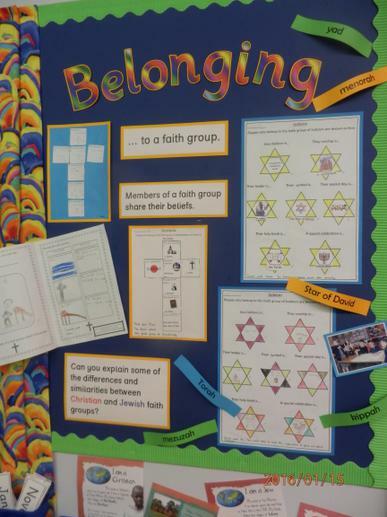 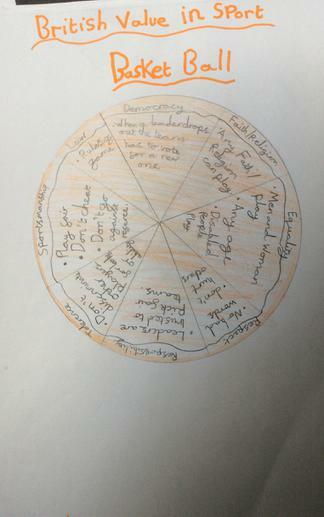 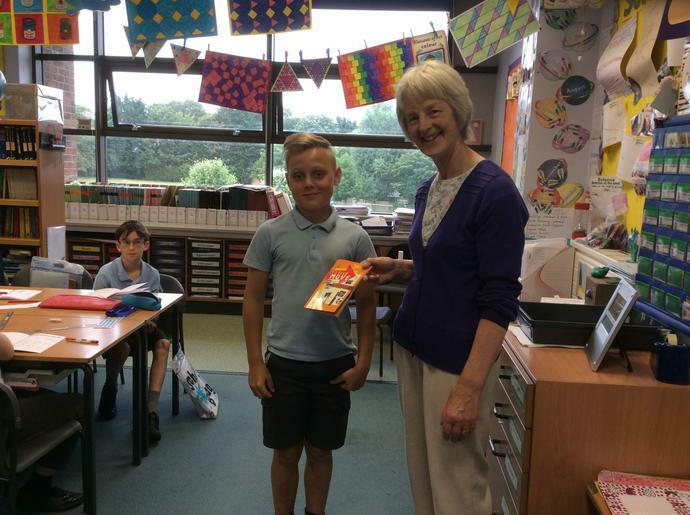 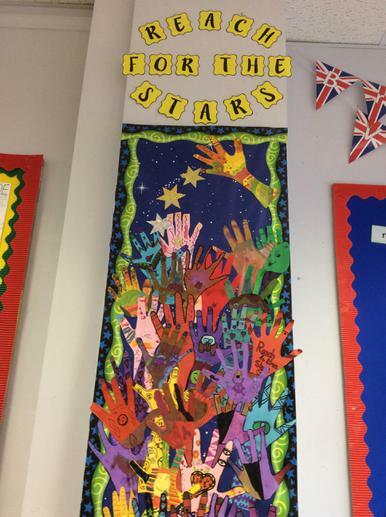 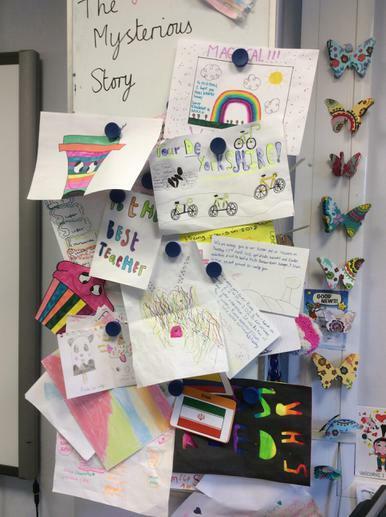 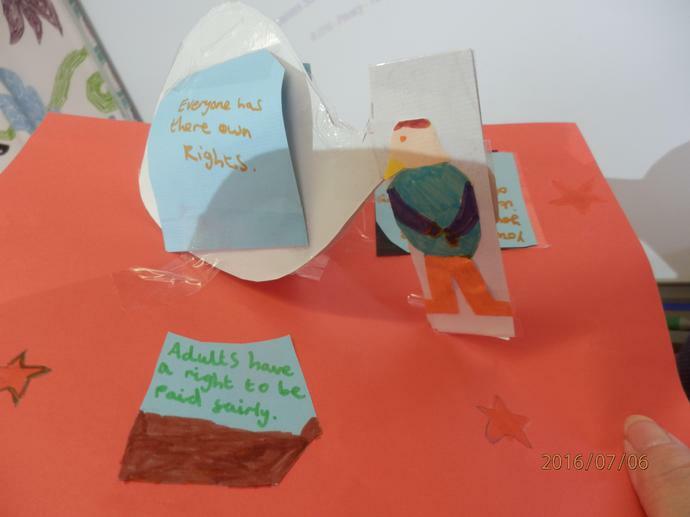 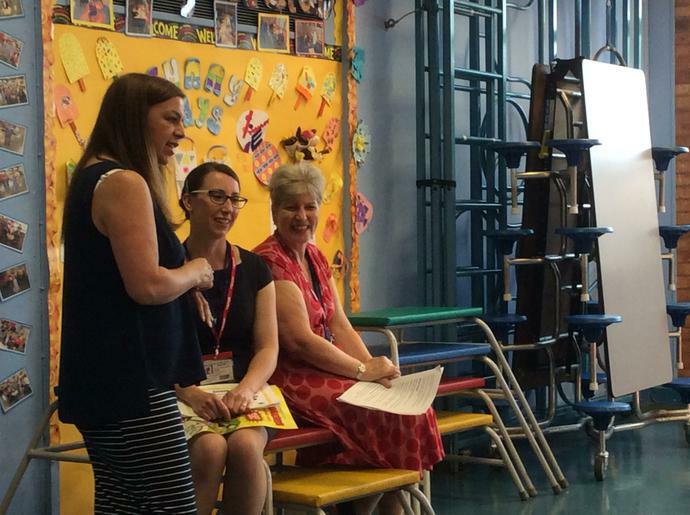 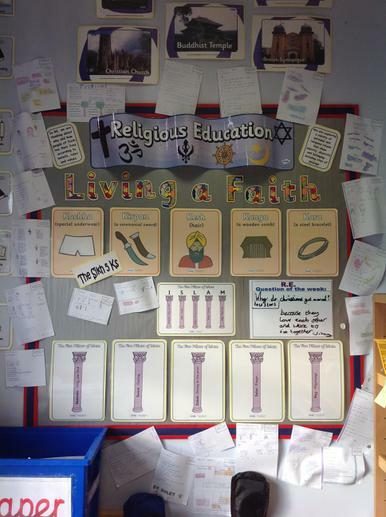 Teachers were invited to choose to explore any aspect of the fundamental British values of democracy, the rule of law, individual liberty, and mutual respect and tolerance of those with different faiths and beliefs; to illustrate them in different ways and for the children to learn about each value. 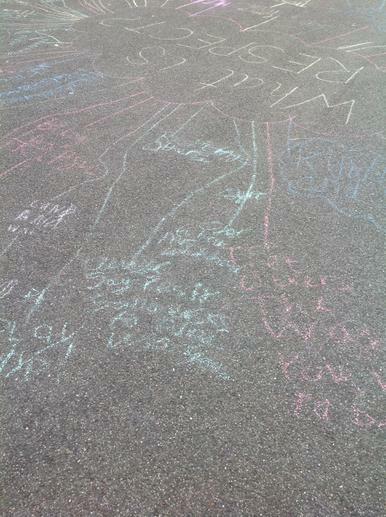 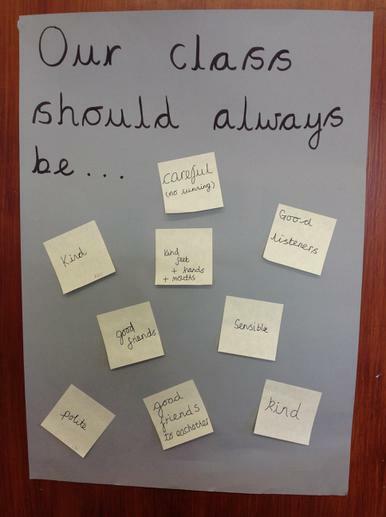 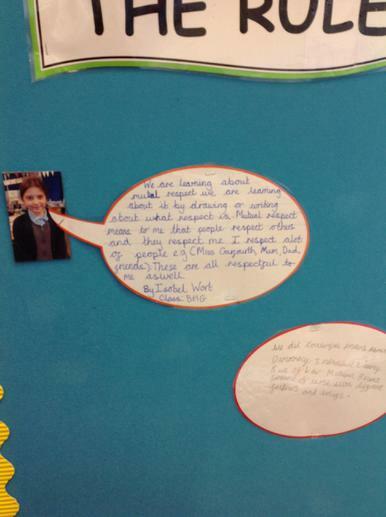 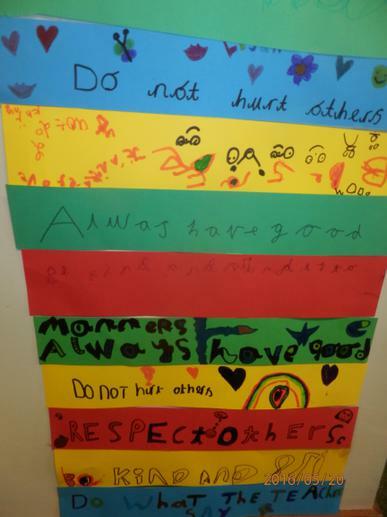 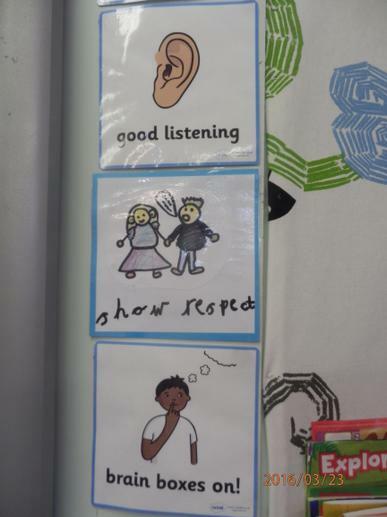 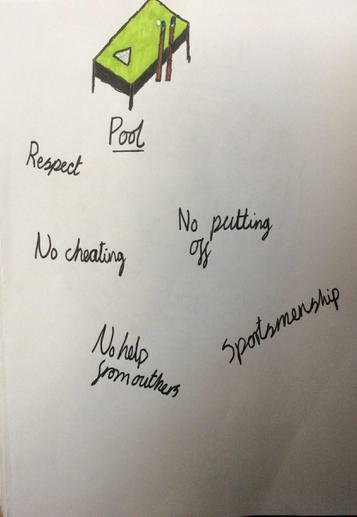 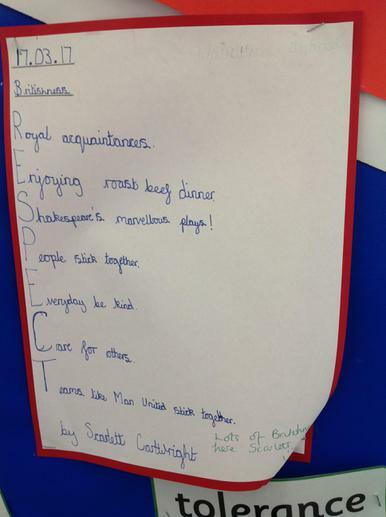 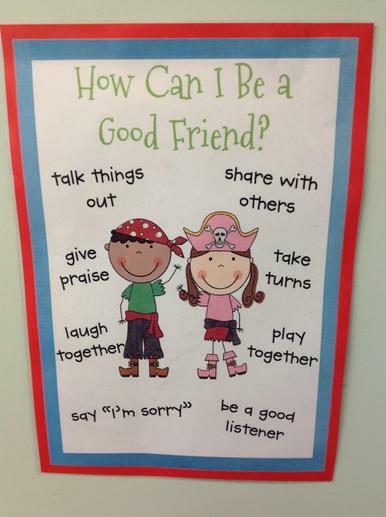 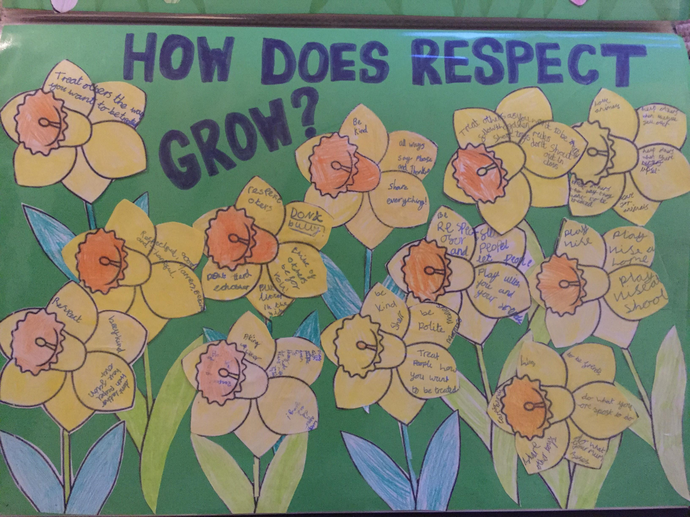 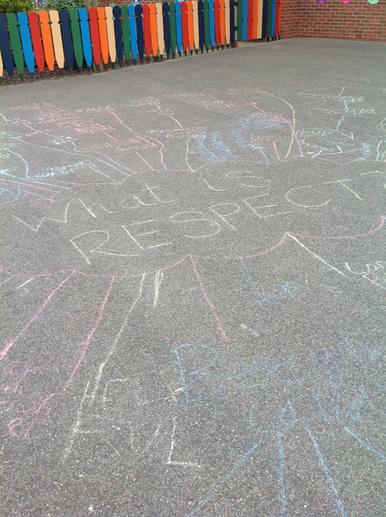 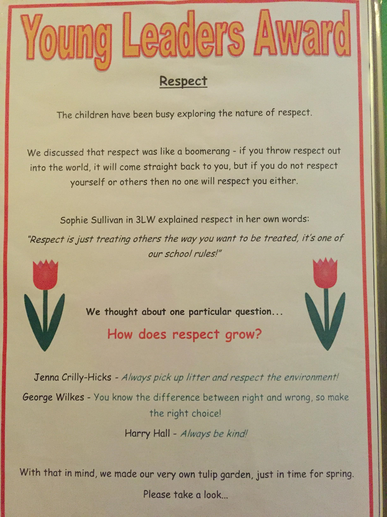 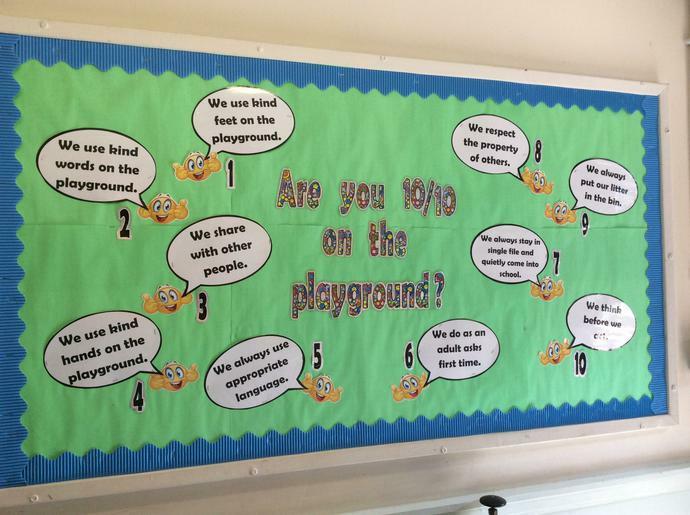 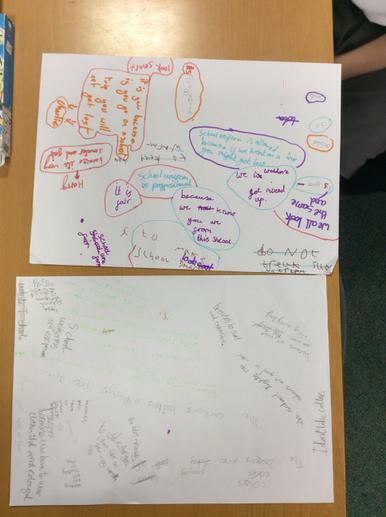 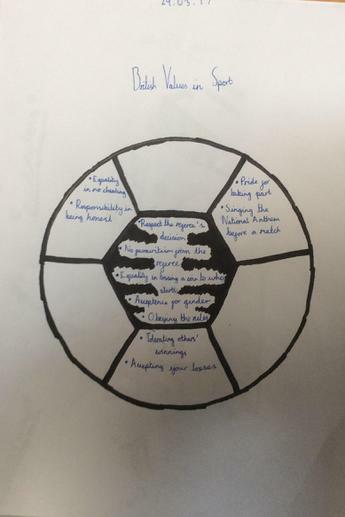 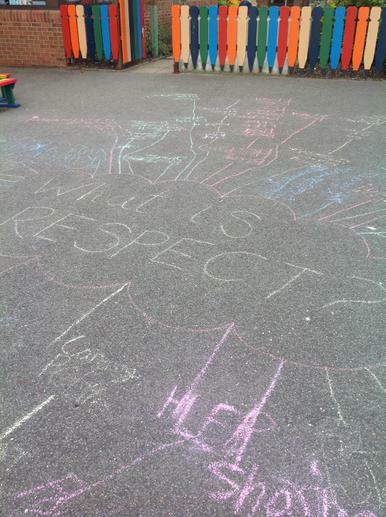 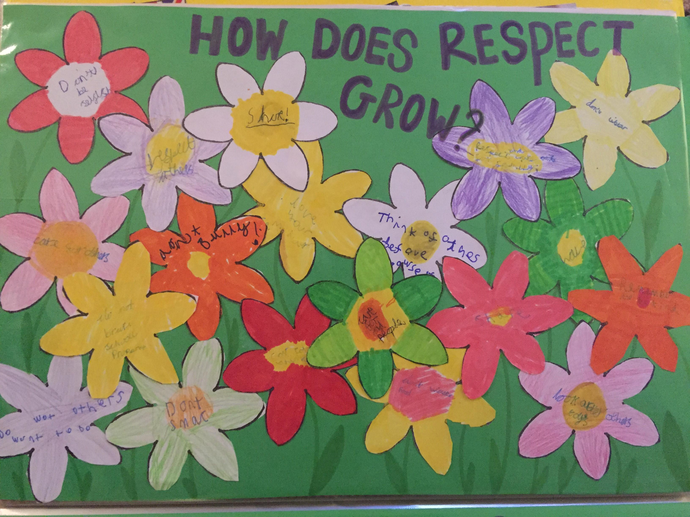 For example; Children in Year 4 drew their ideas about "respect" in chalk on the playground. 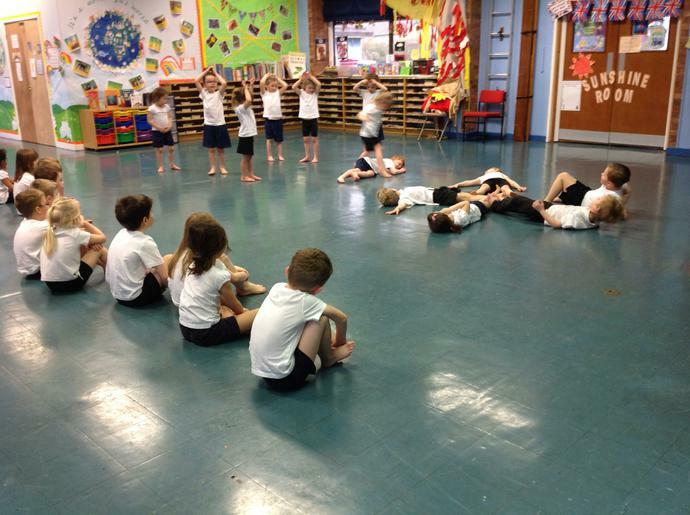 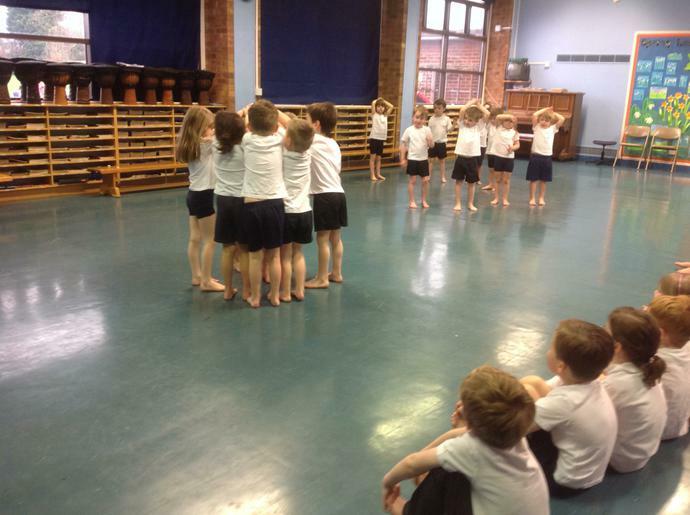 EYFS acted out the story of "The Lion and the Mouse" during PE to learn about kindness, tolerance of others and mutual respect.